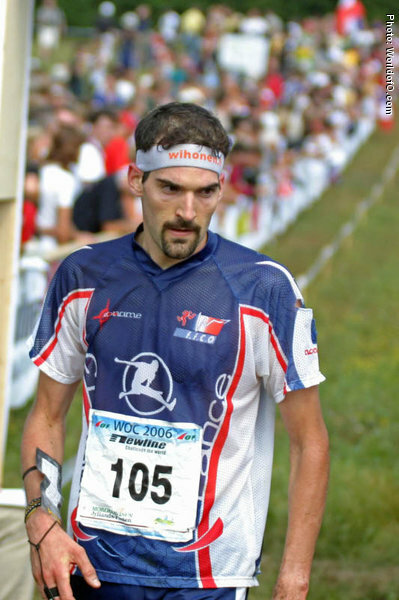 Was known as The King of Middle distance for many years, with an impressive line of wins in international championships over the middle distance. 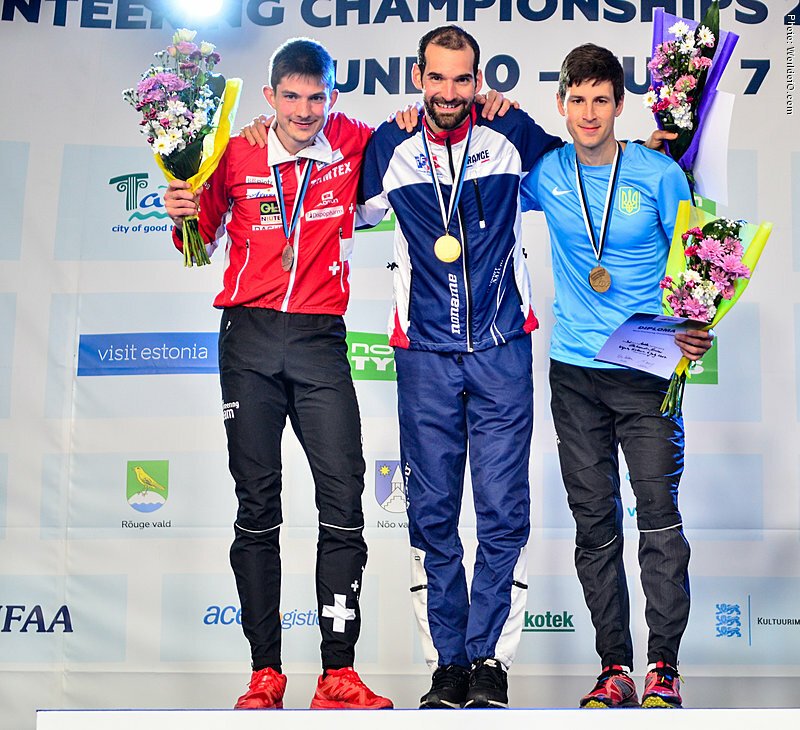 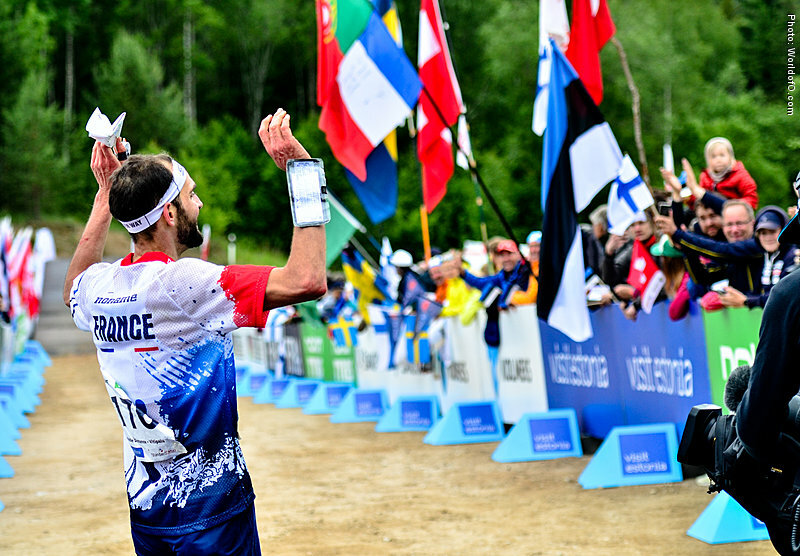 Over the years developed more as a long distance runner as well - taking the gold at the WOC long distance in 2011, 2013, 2014 and 2015 while struggling to win his favourite discipline, the middle distance. 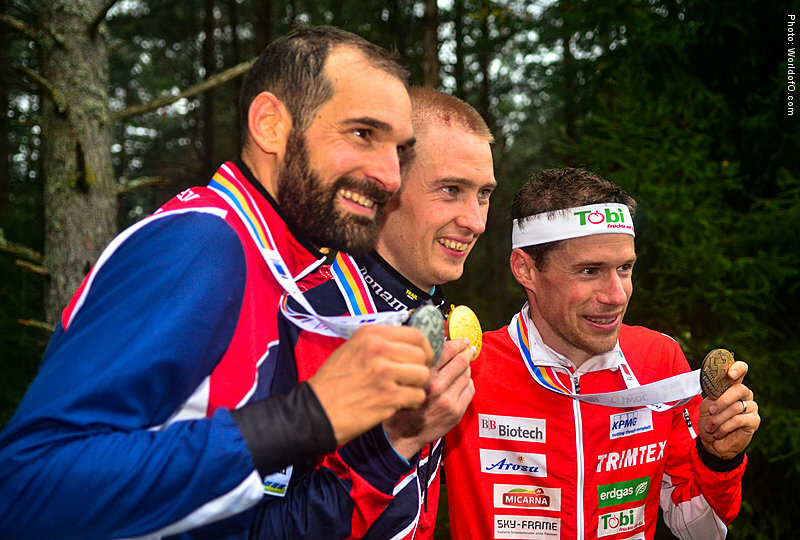 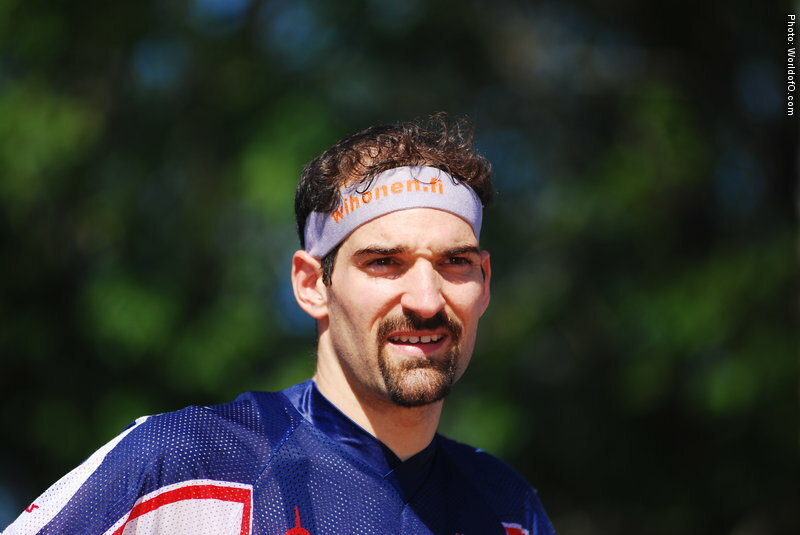 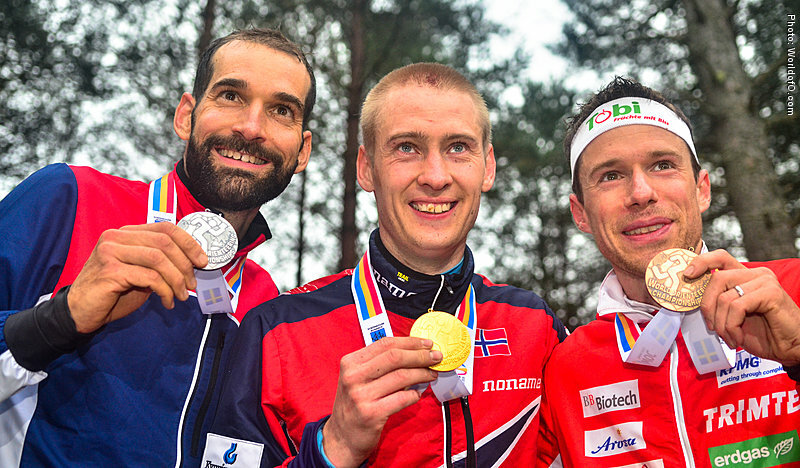 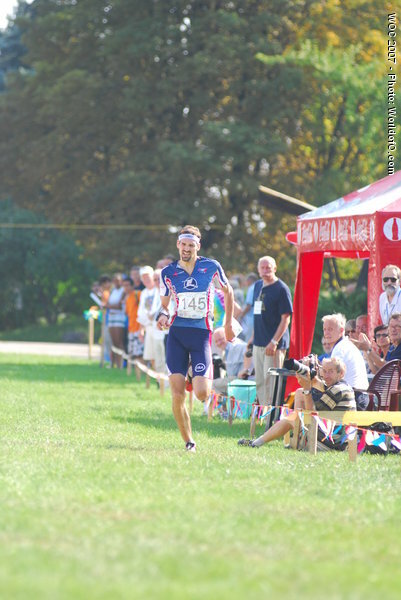 Also has a gold medal from WOC sprint in Kiev in 2007 where he took the sprint-middle double. 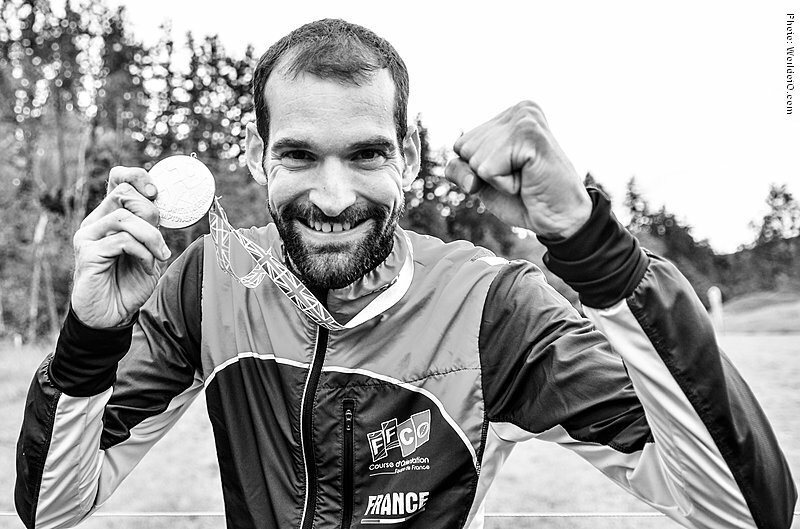 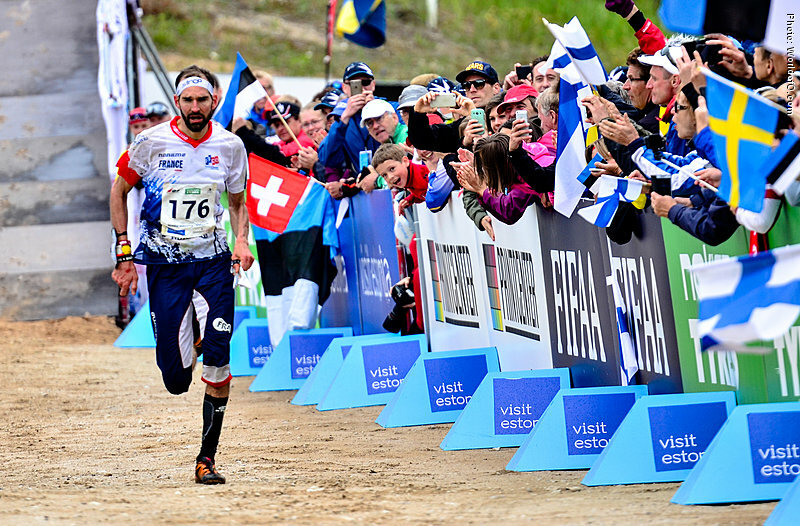 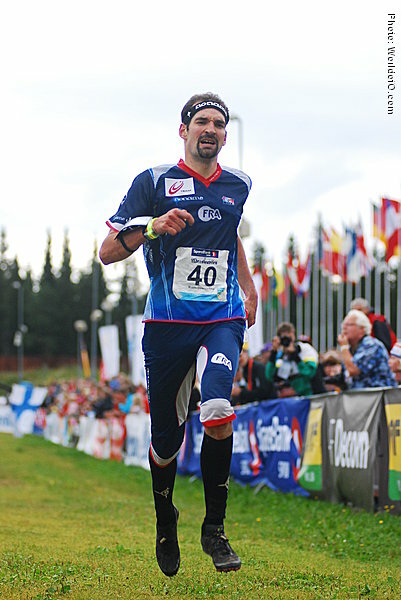 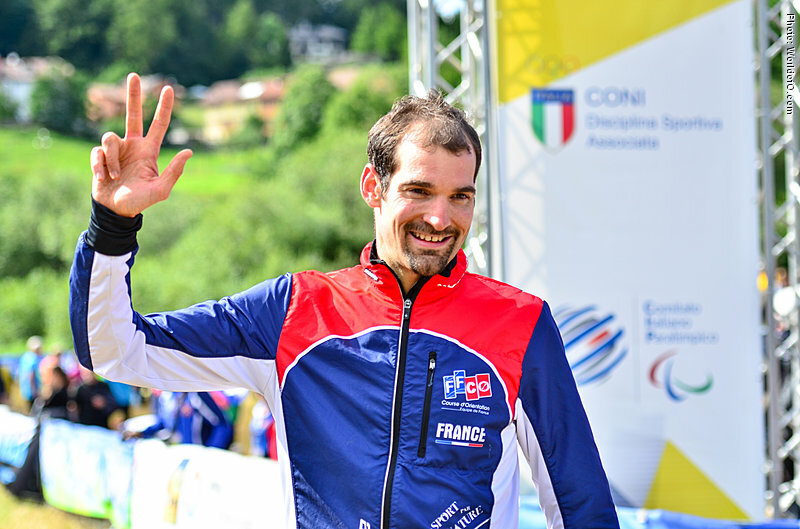 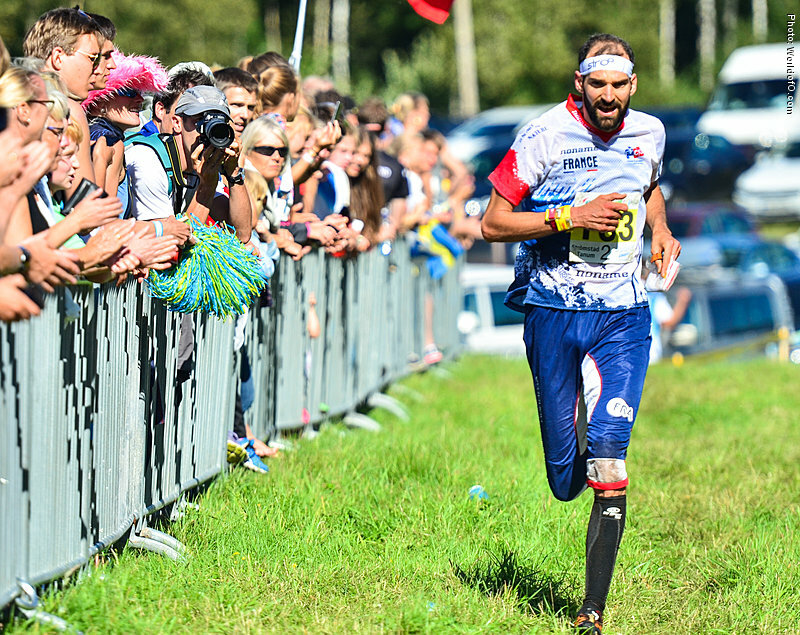 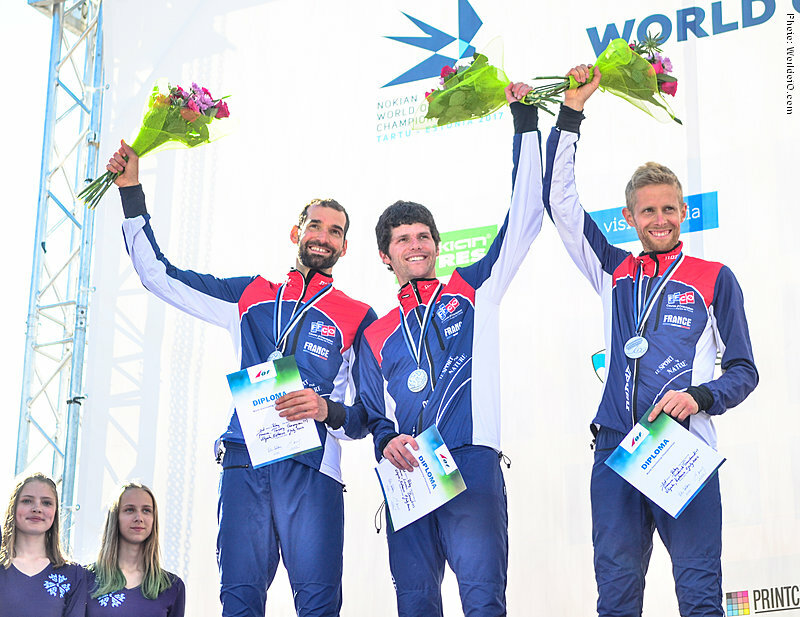 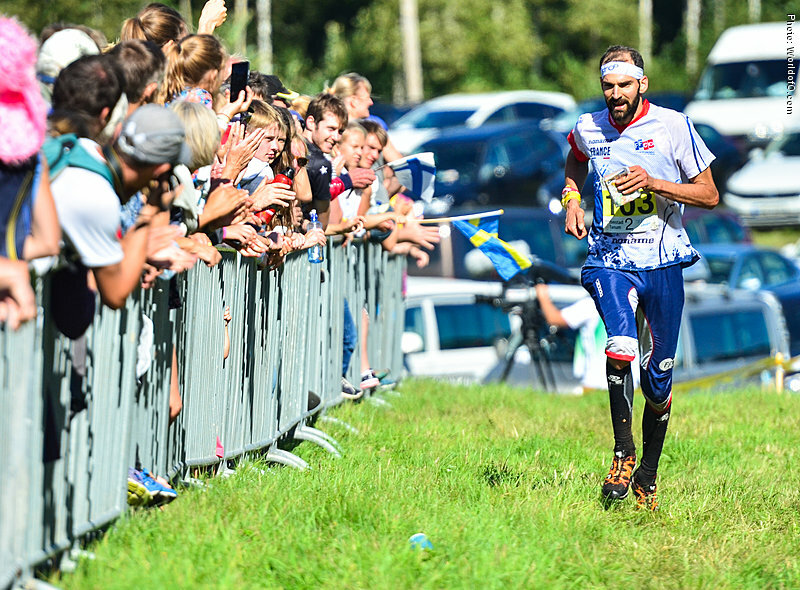 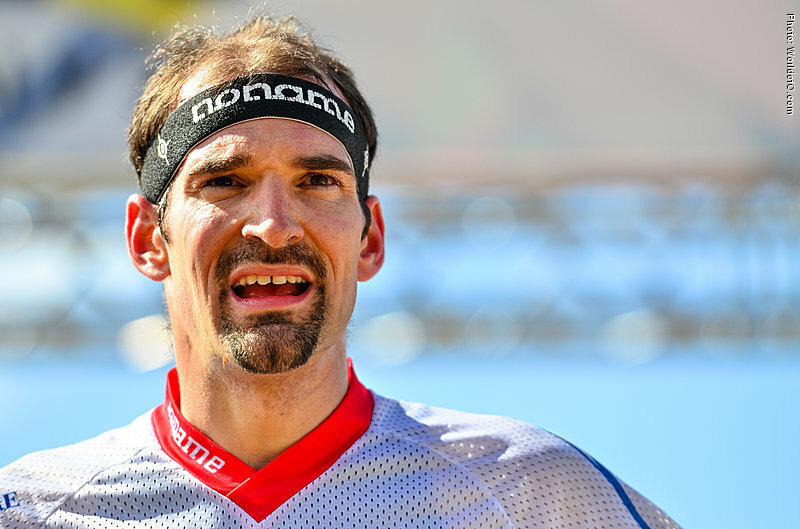 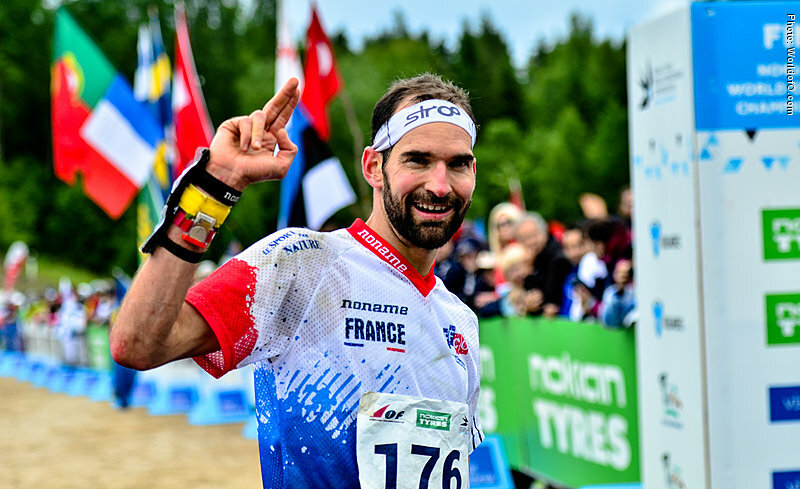 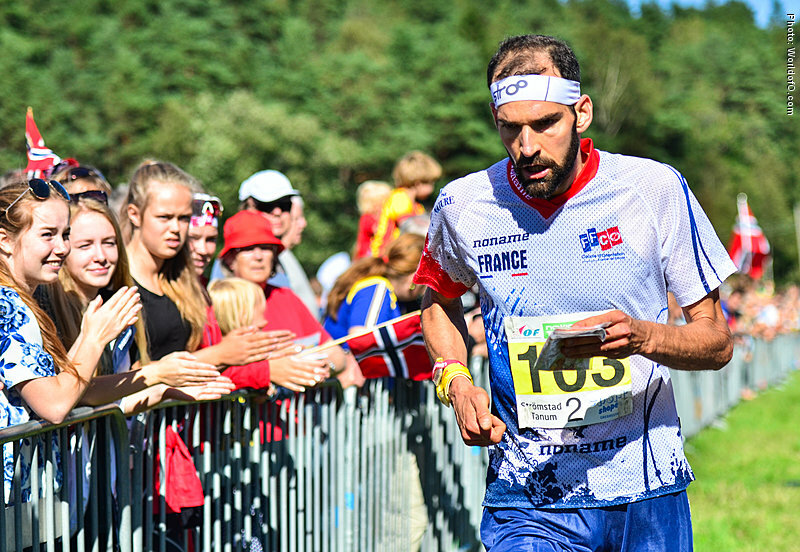 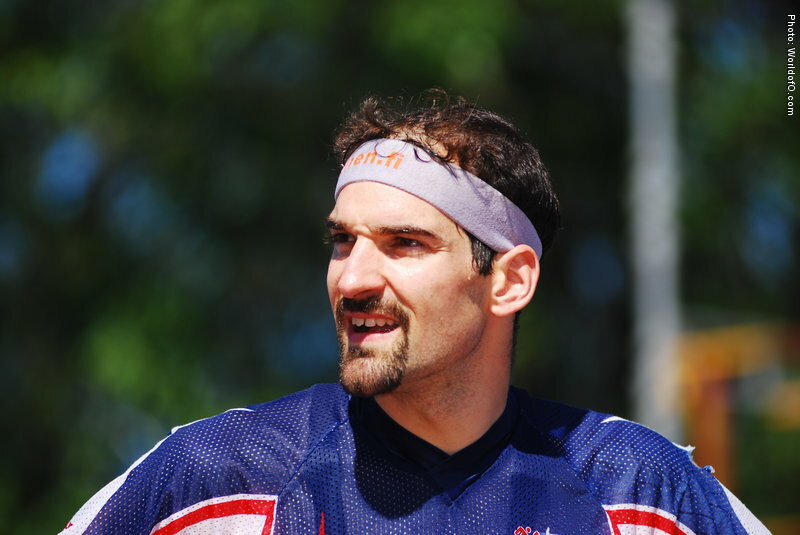 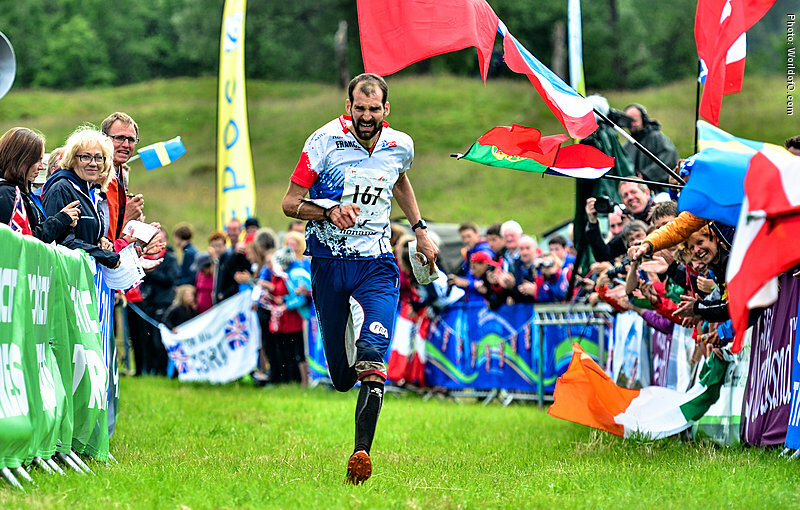 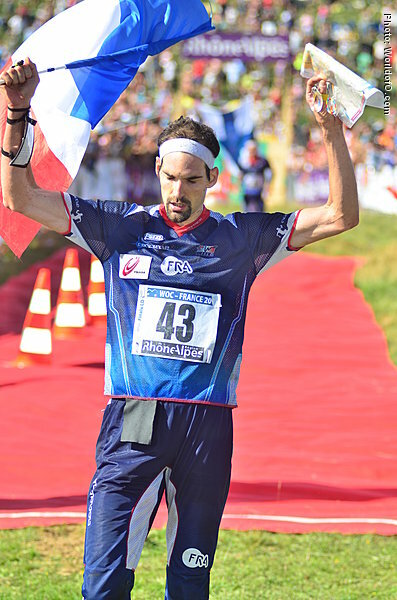 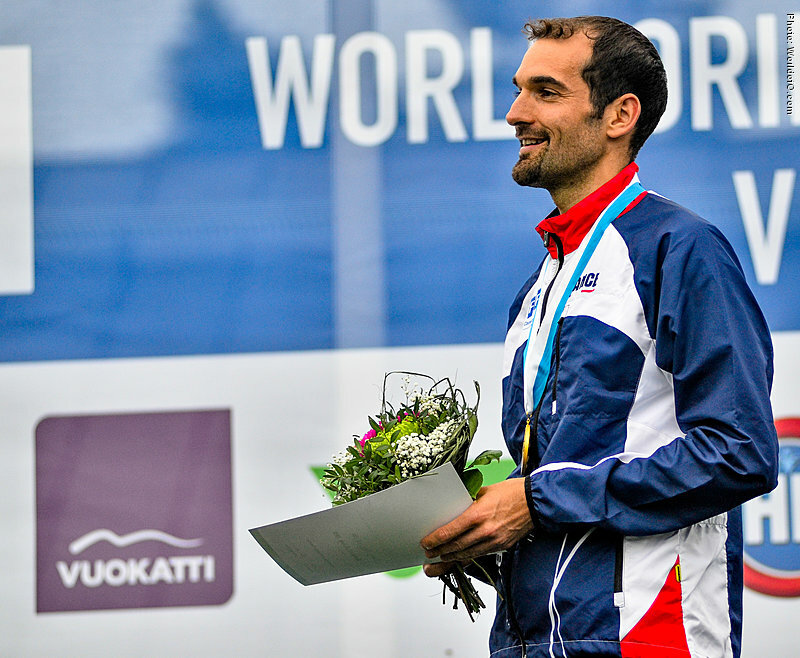 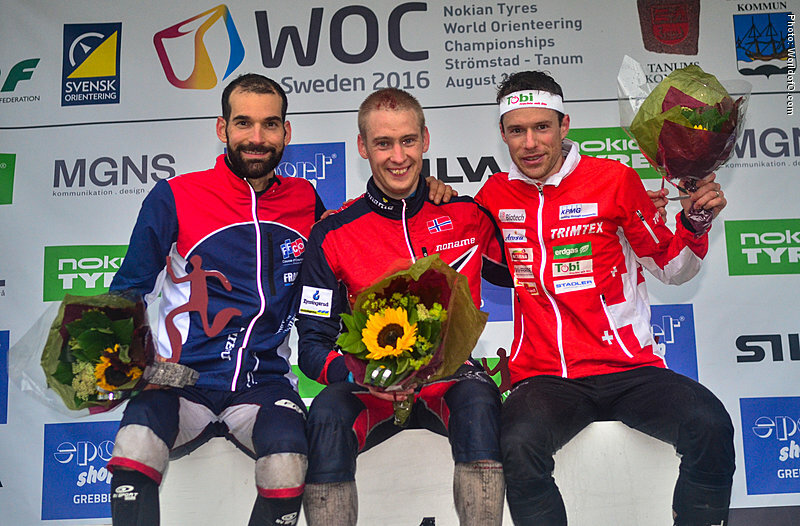 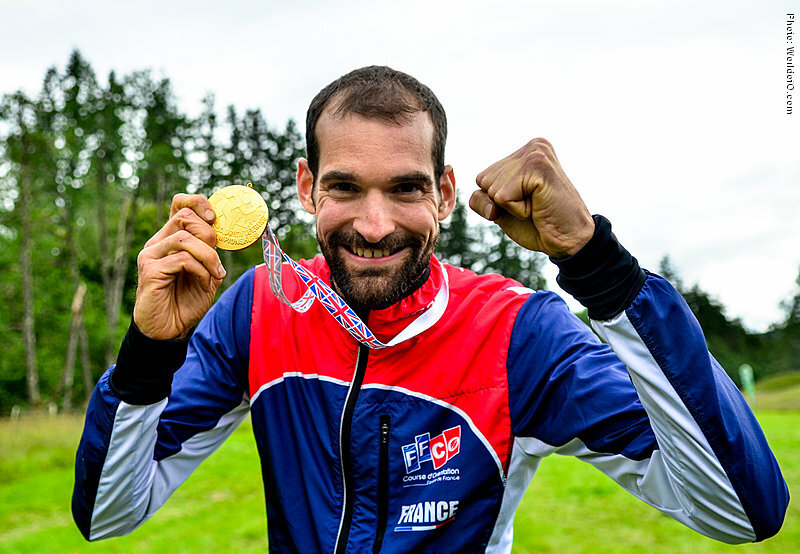 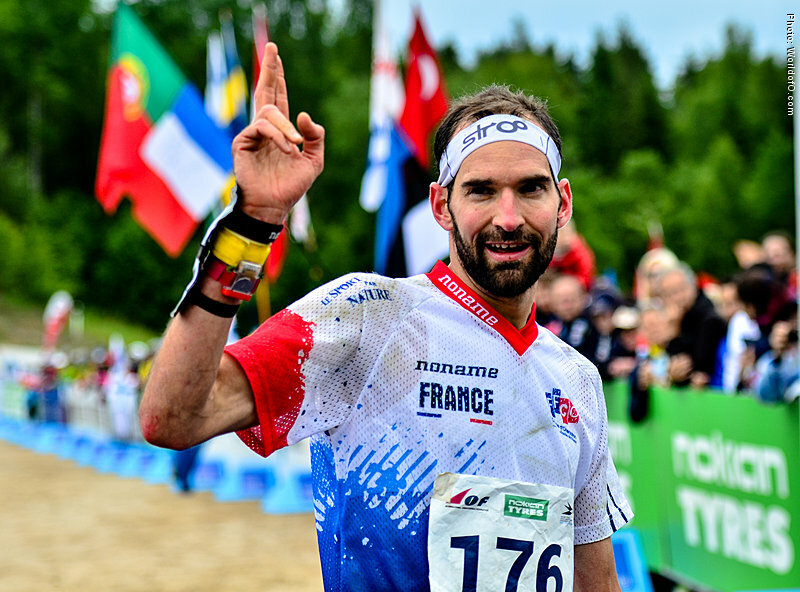 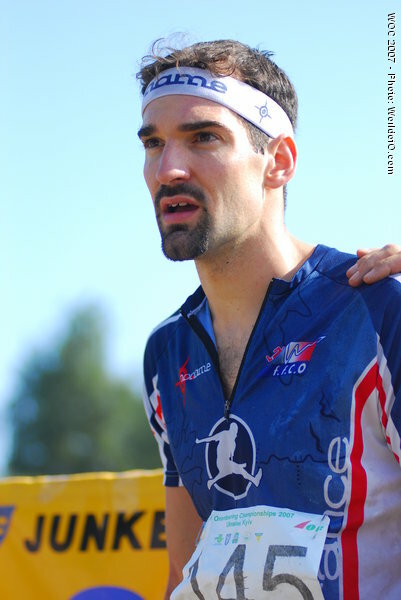 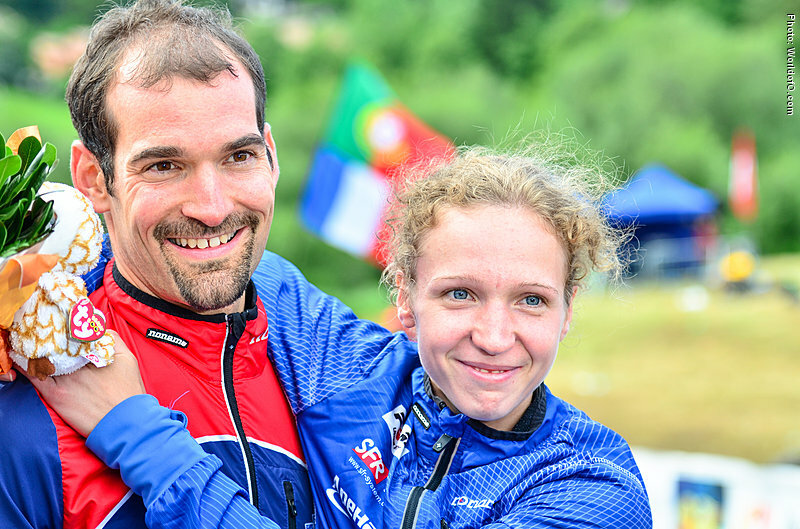 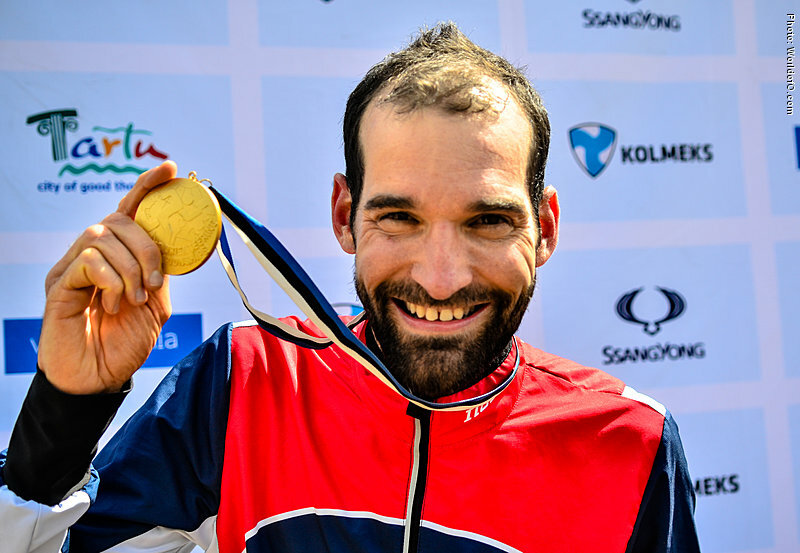 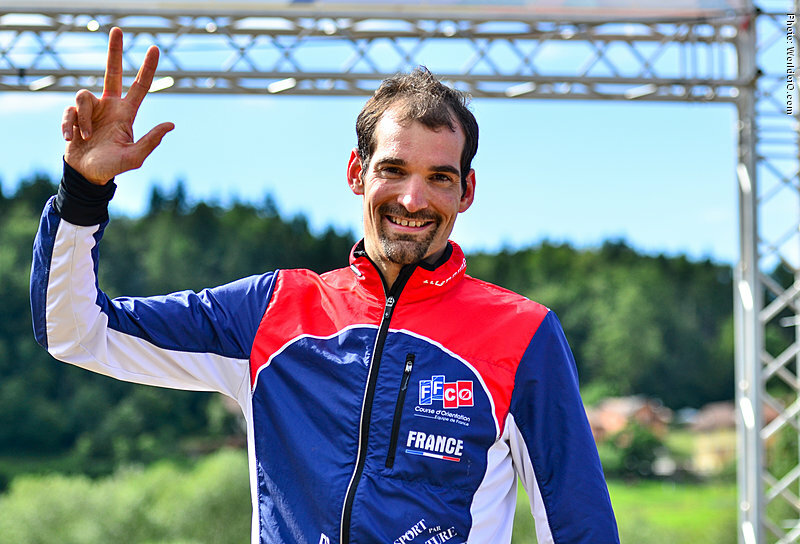 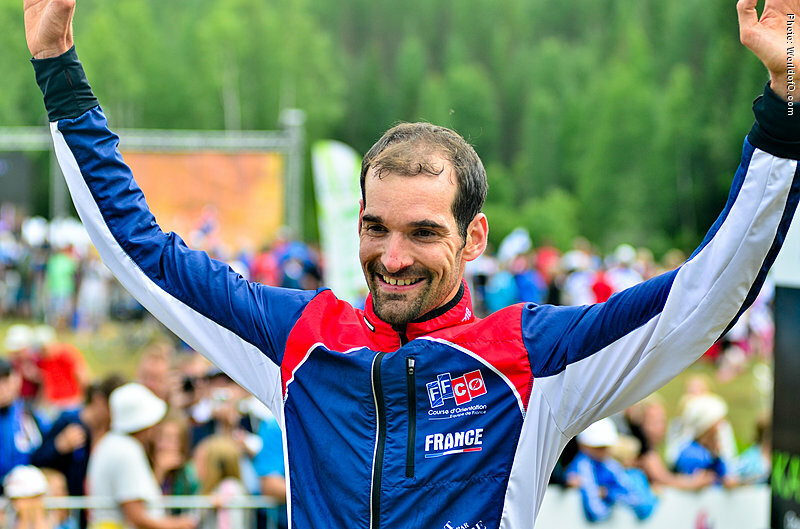 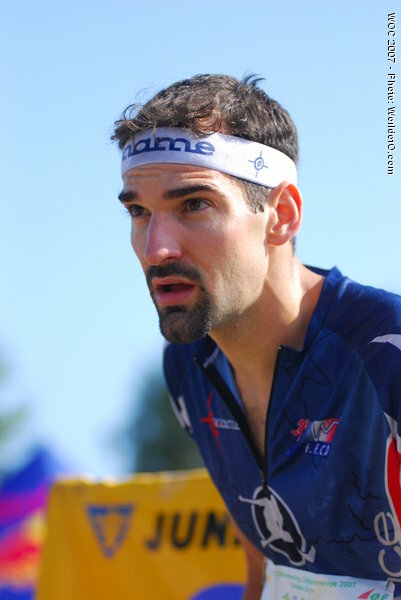 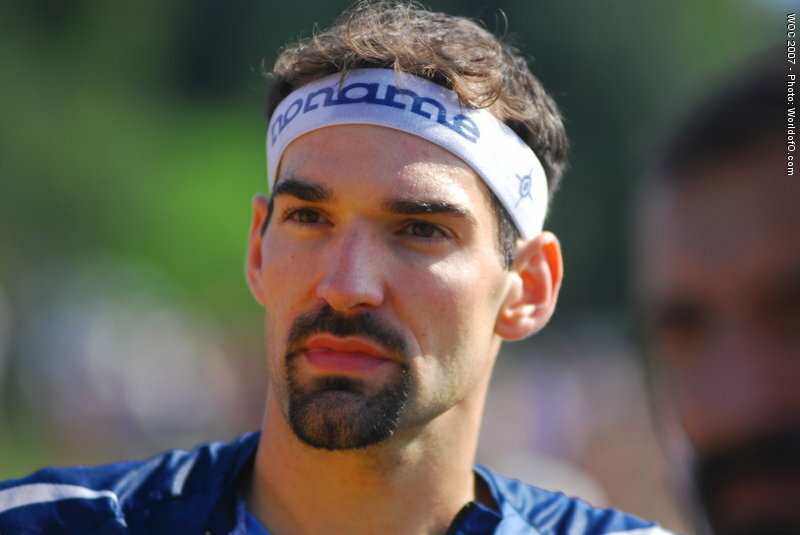 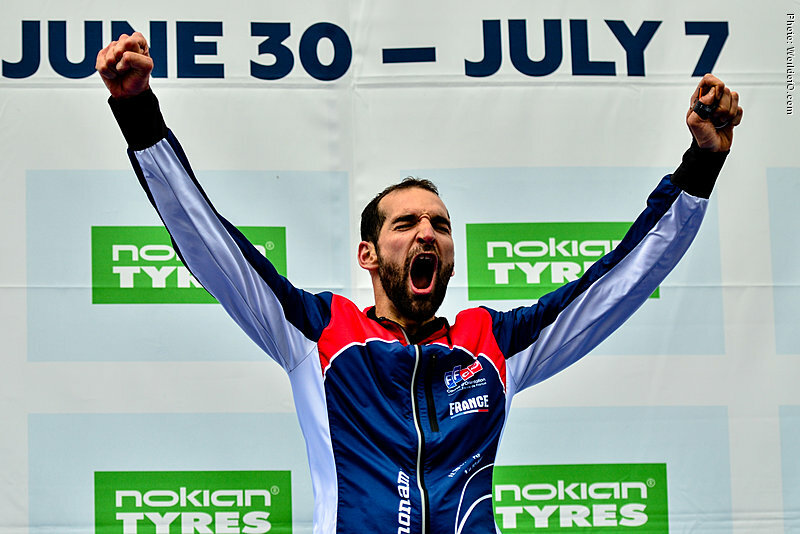 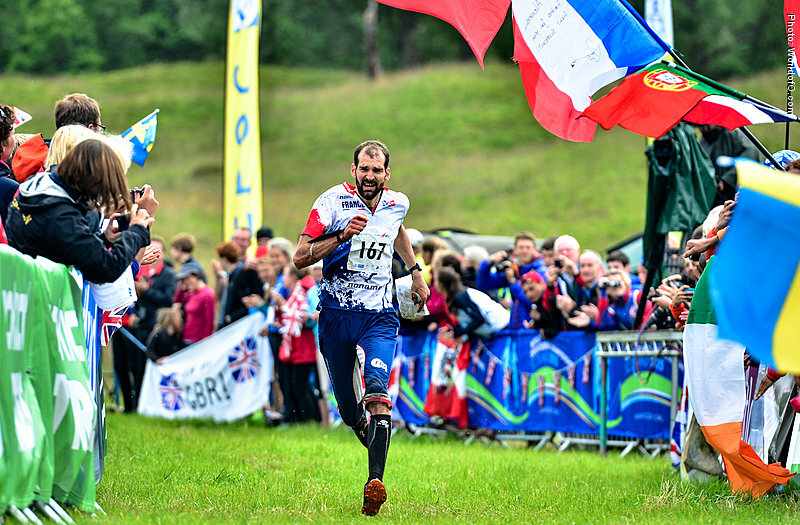 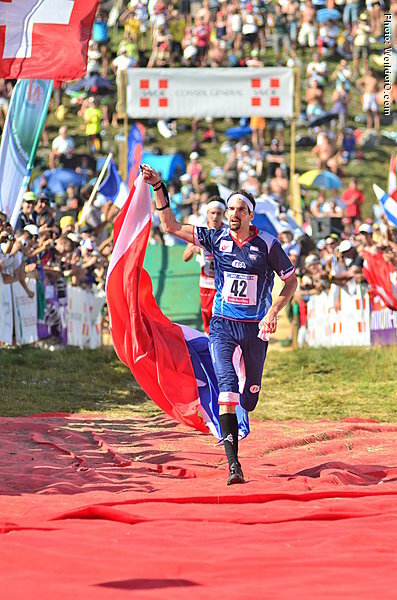 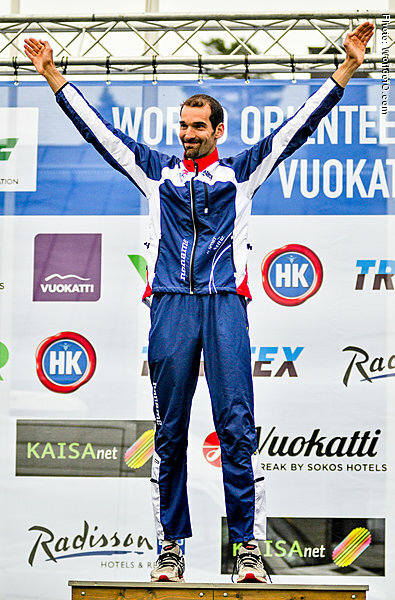 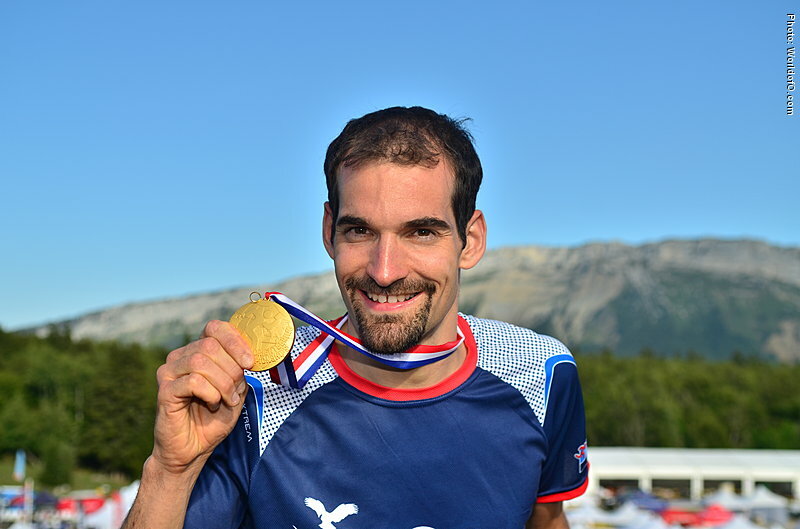 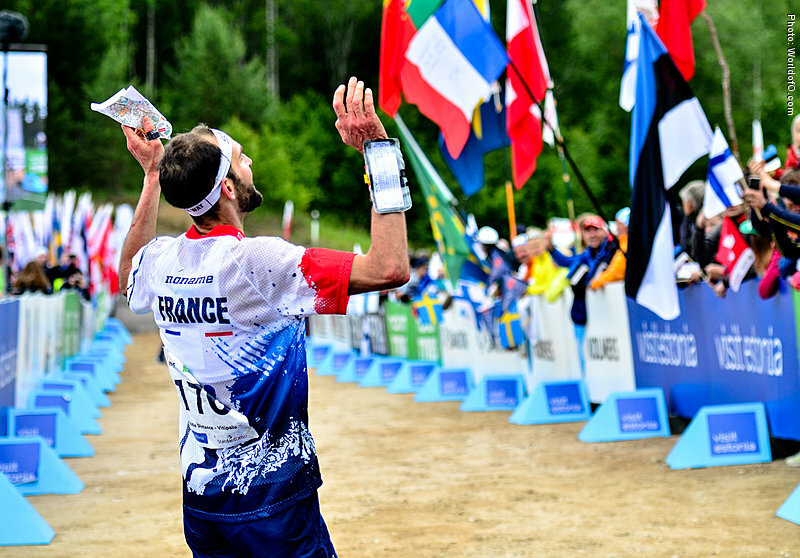 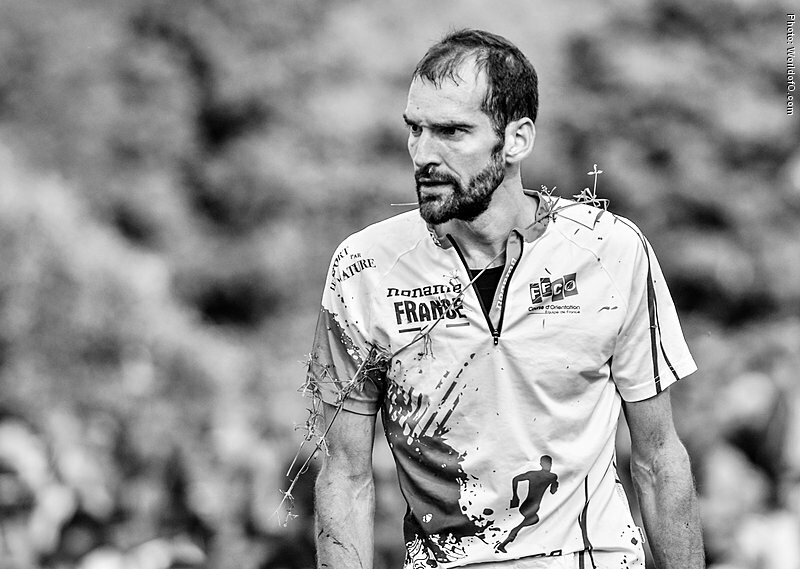 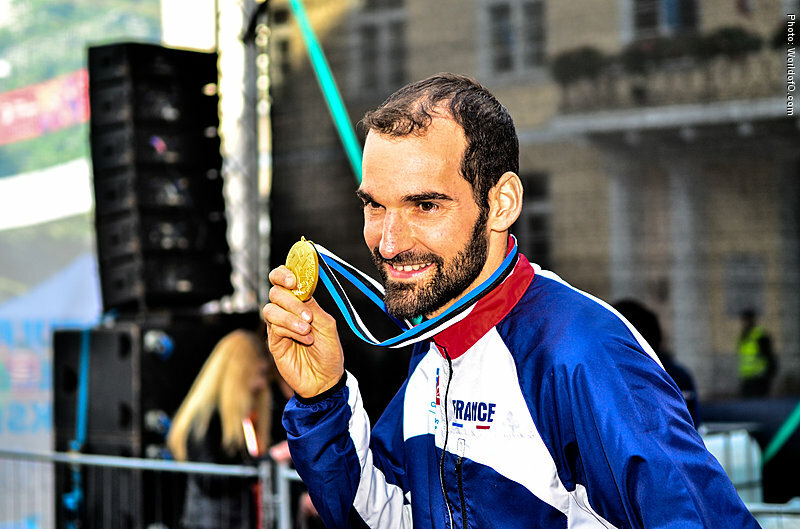 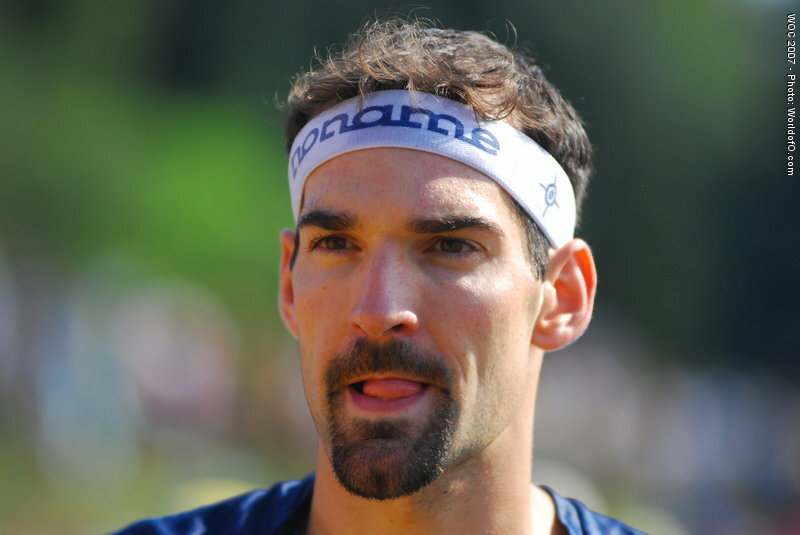 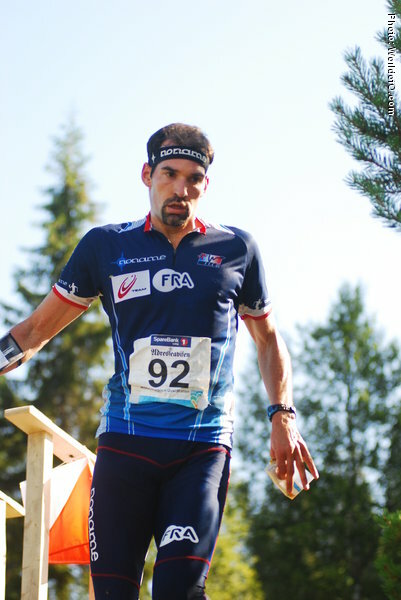 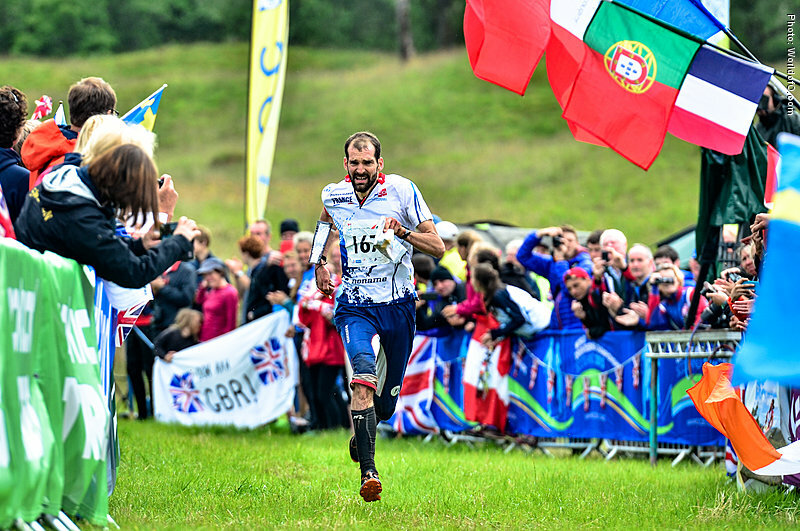 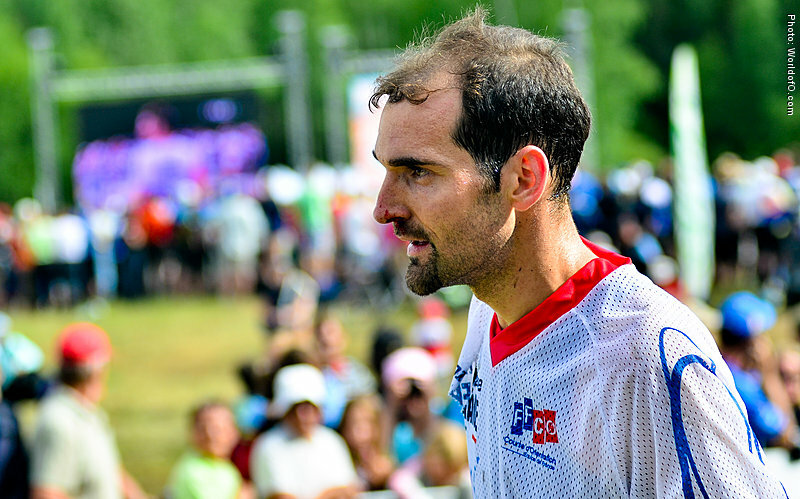 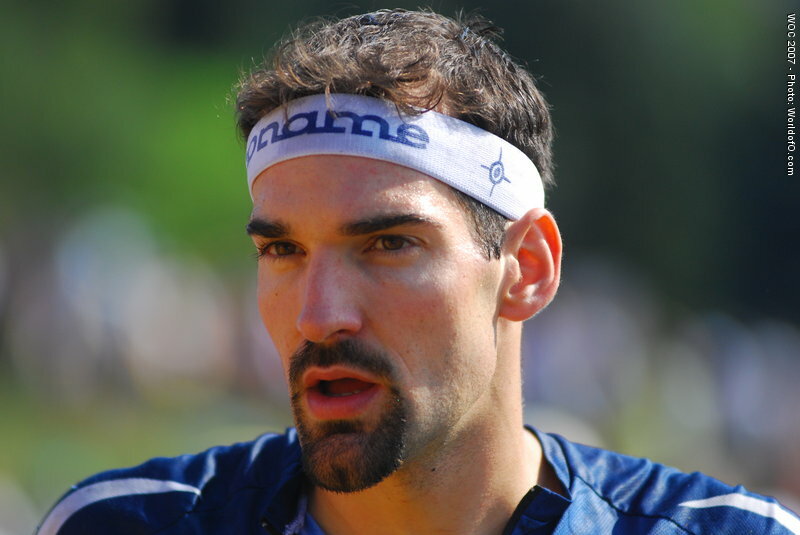 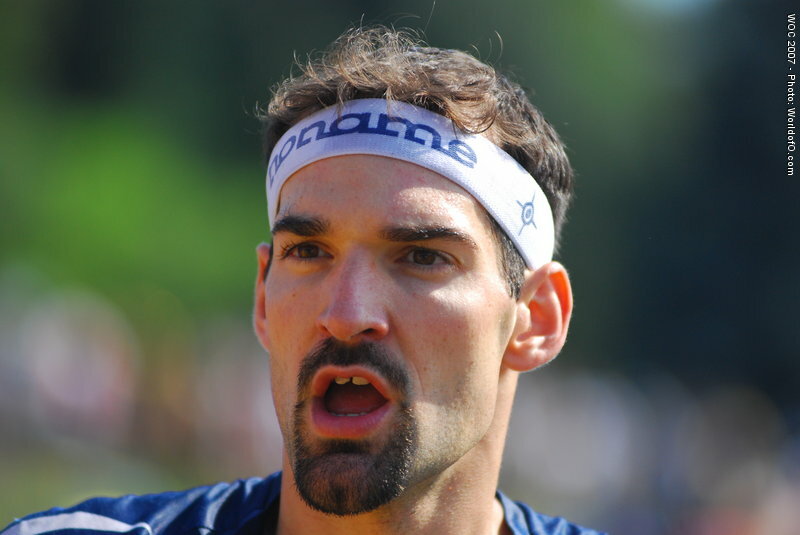 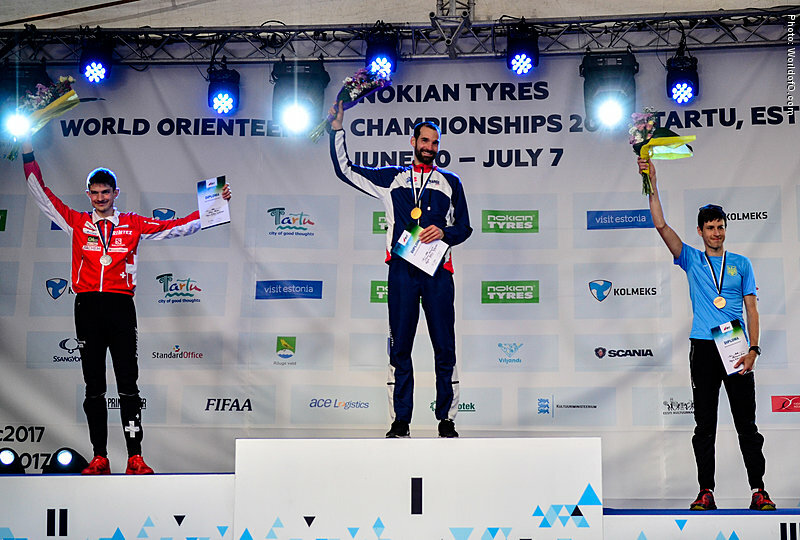 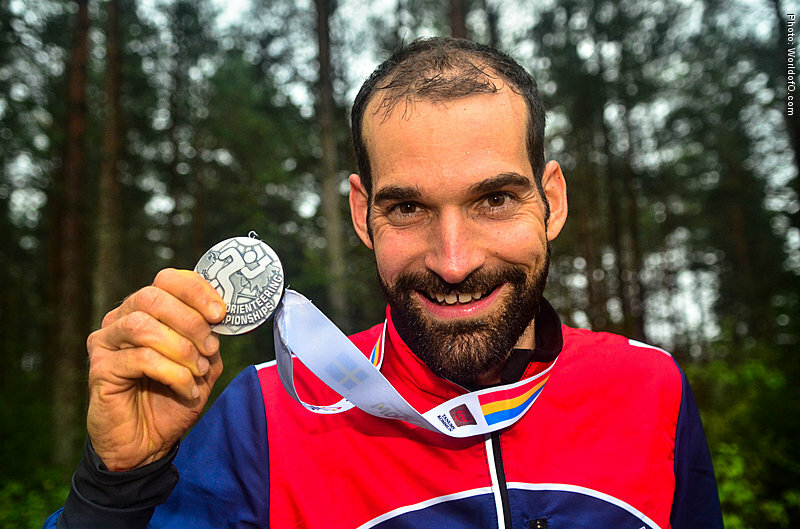 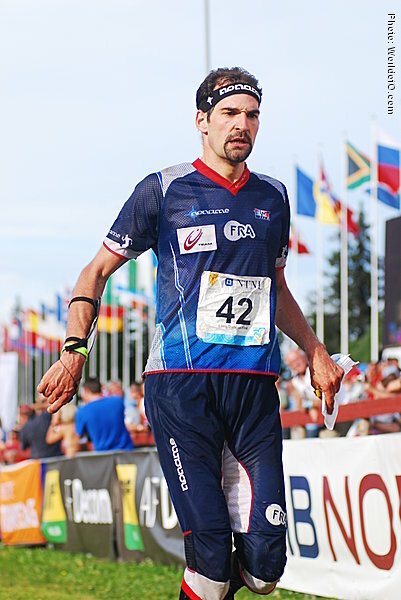 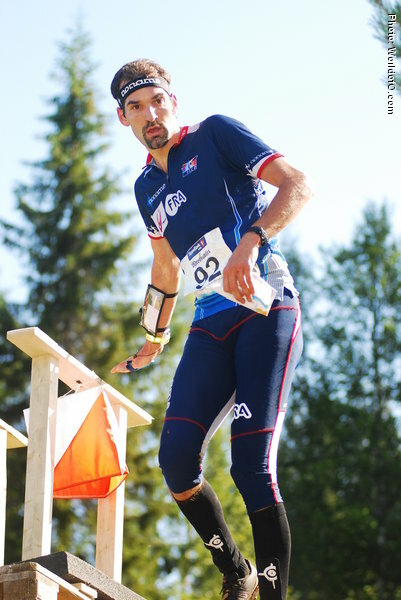 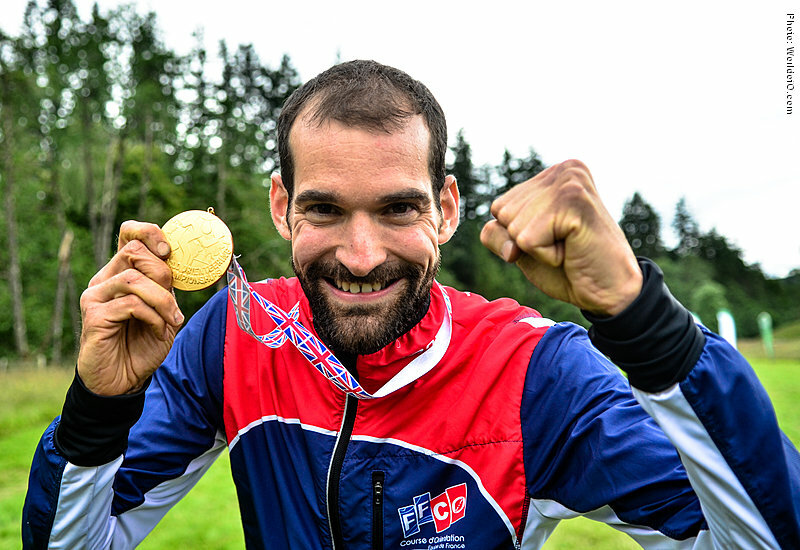 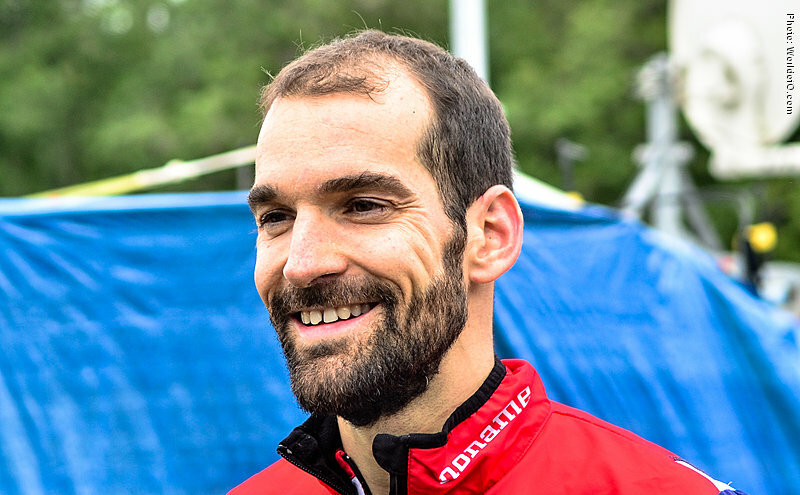 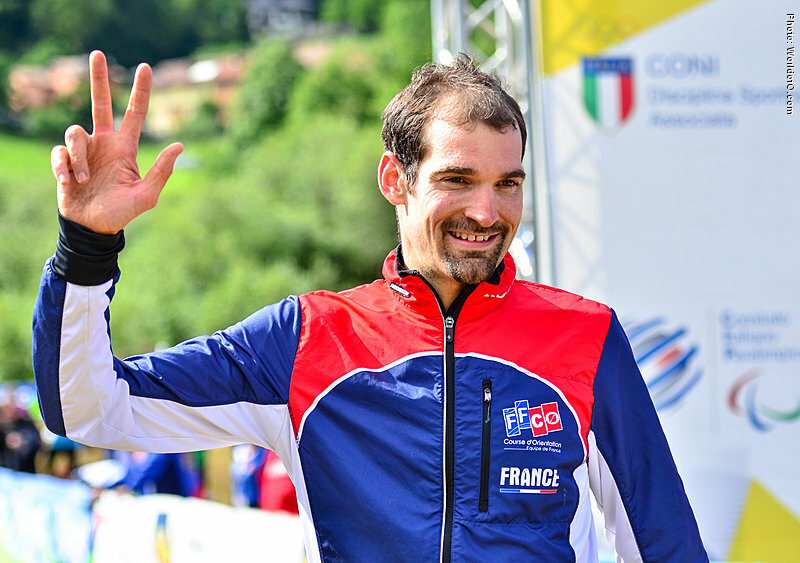 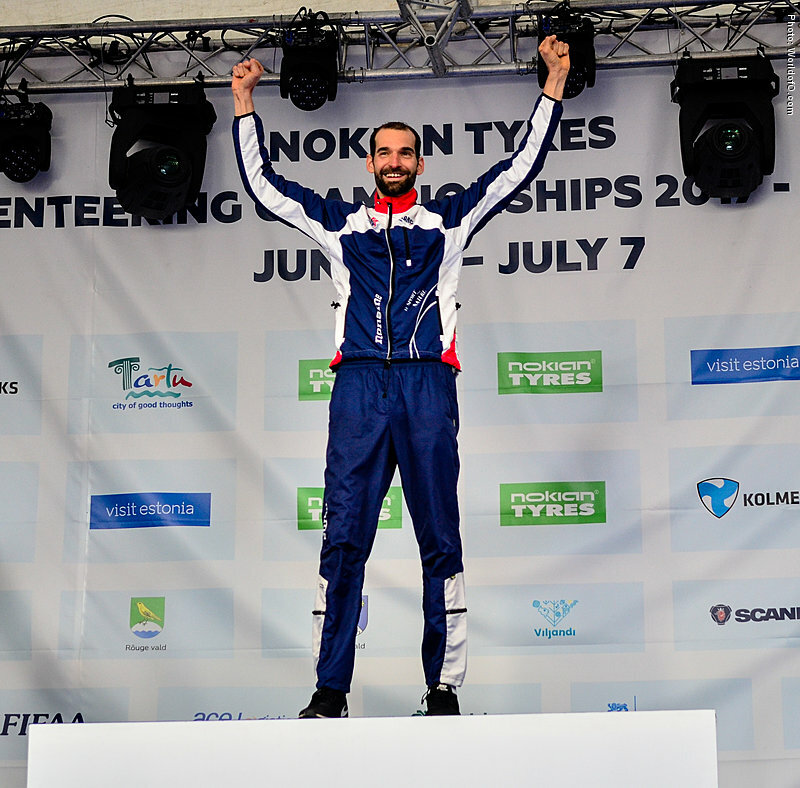 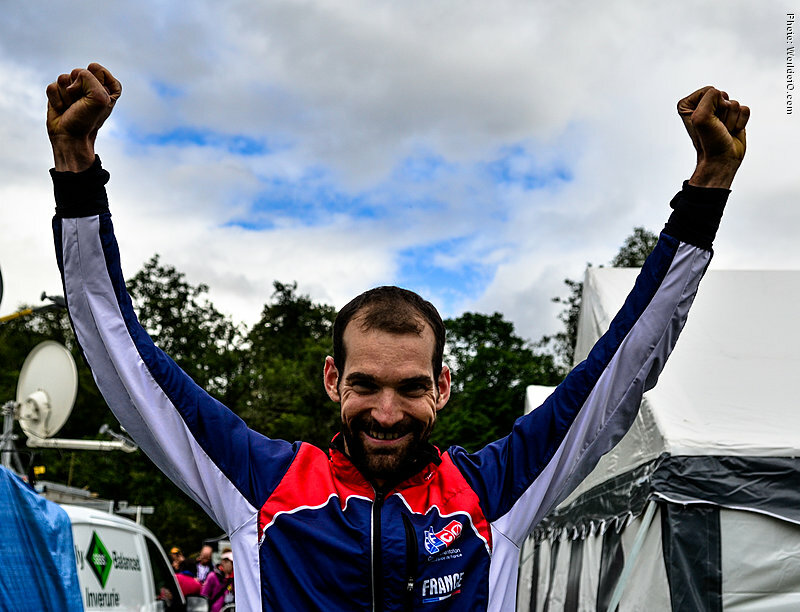 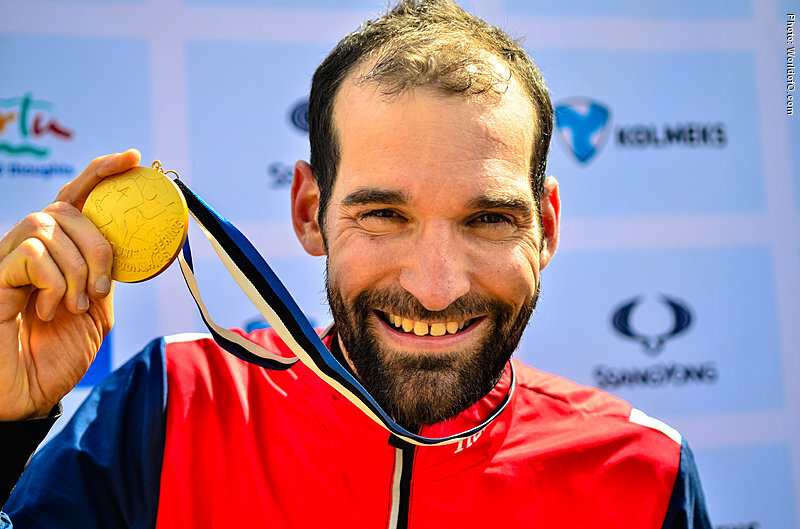 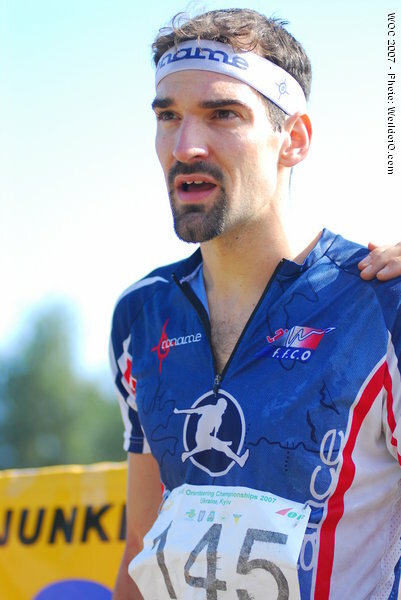 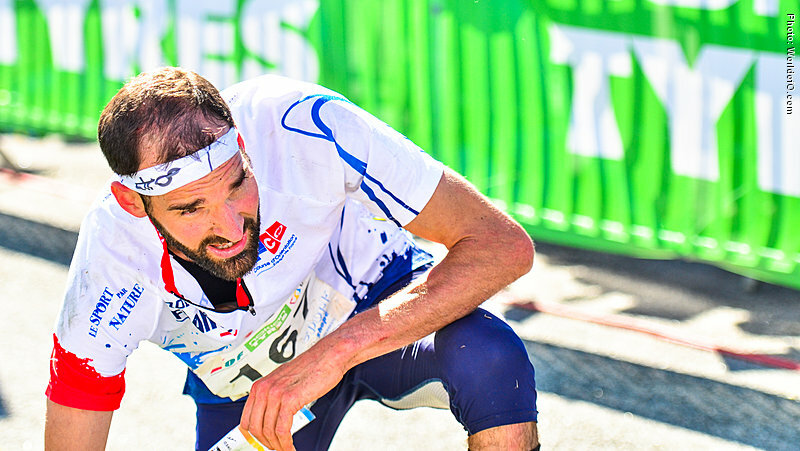 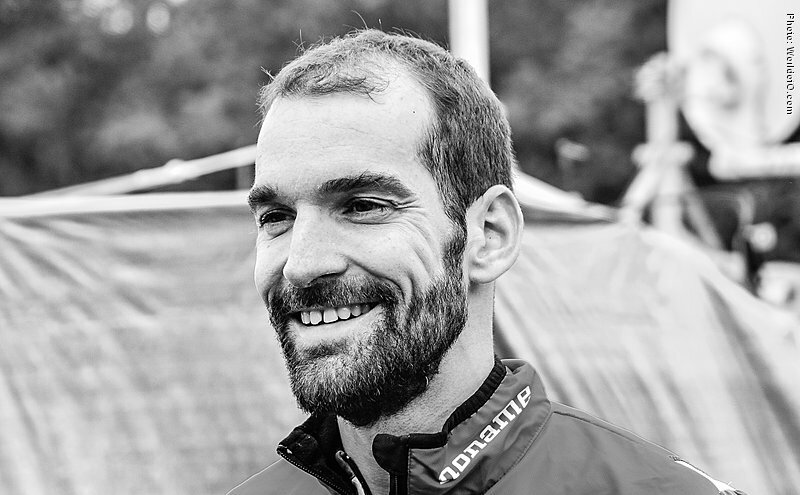 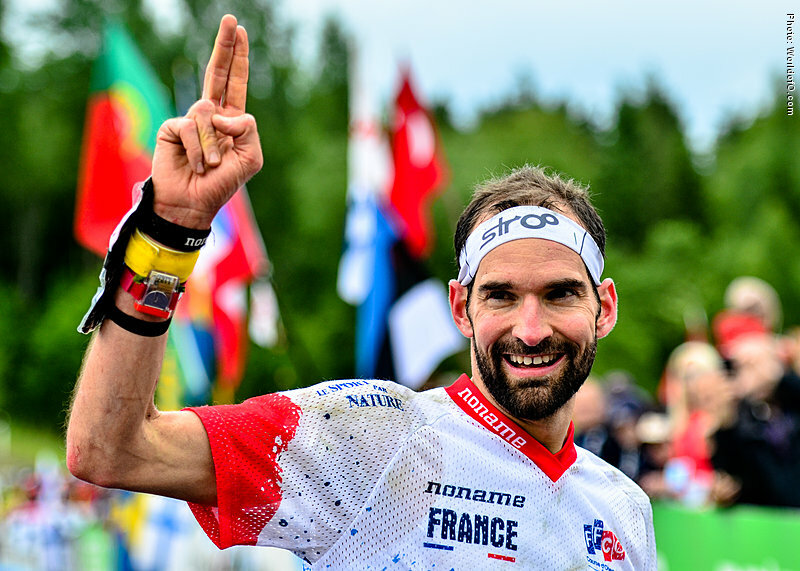 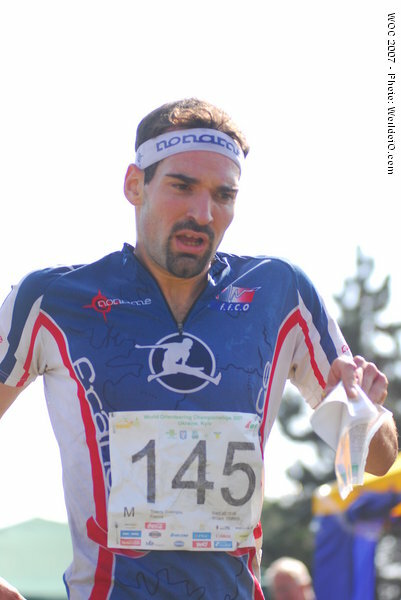 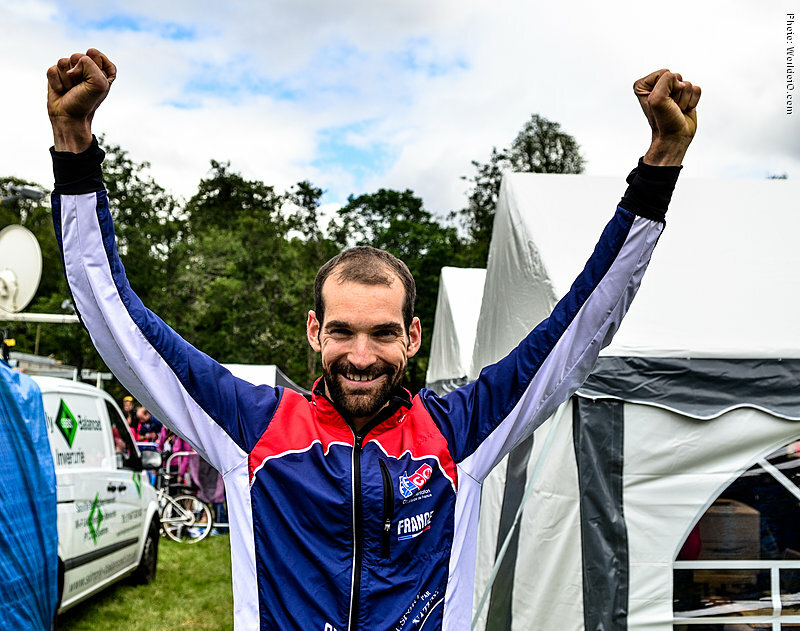 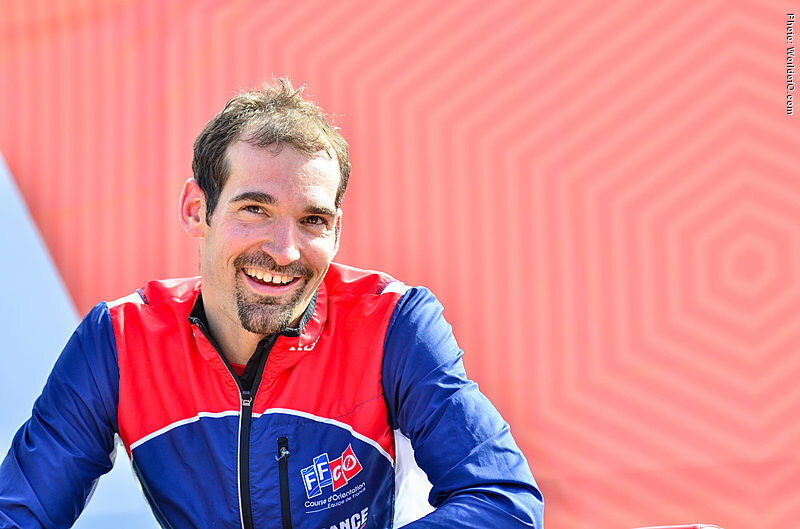 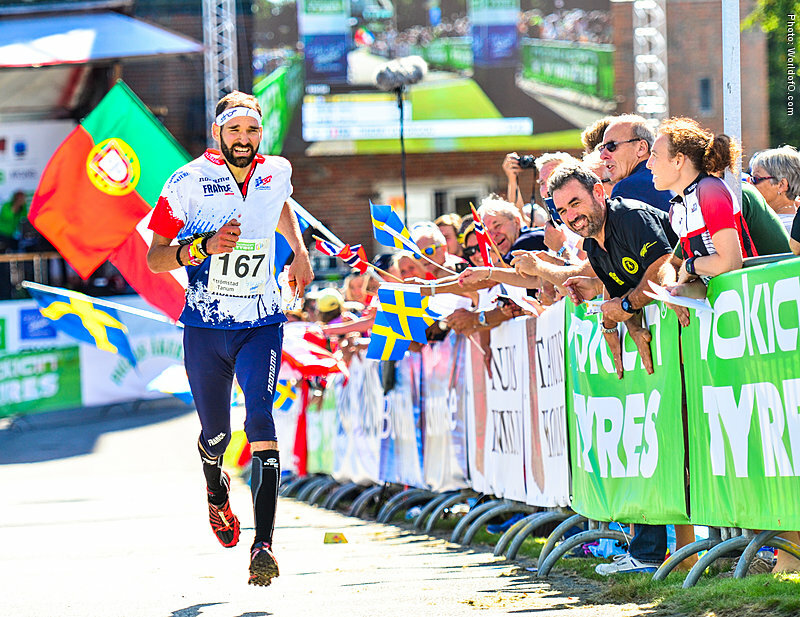 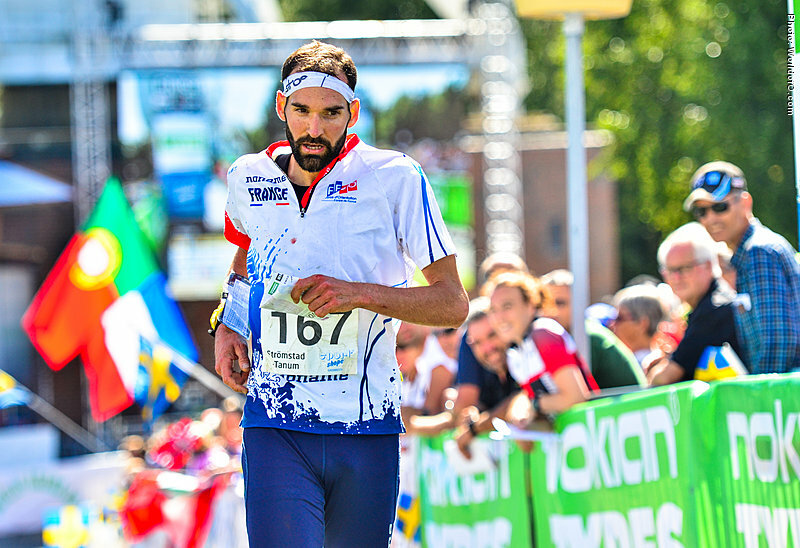 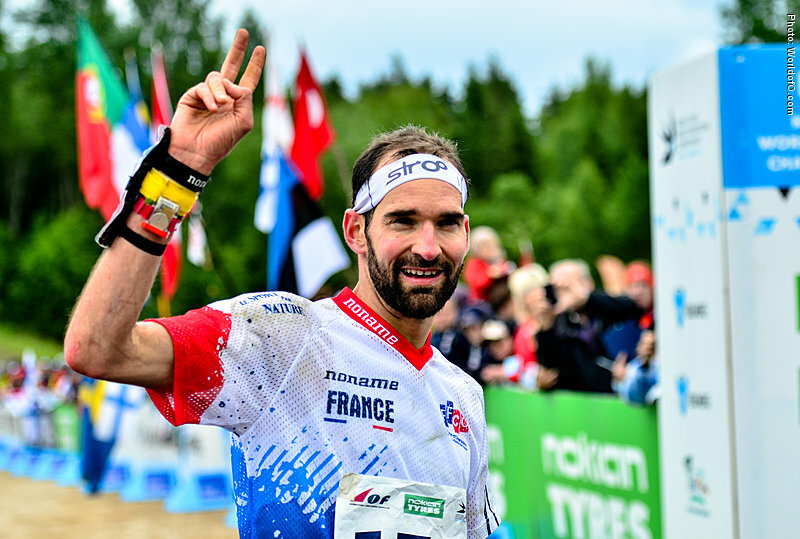 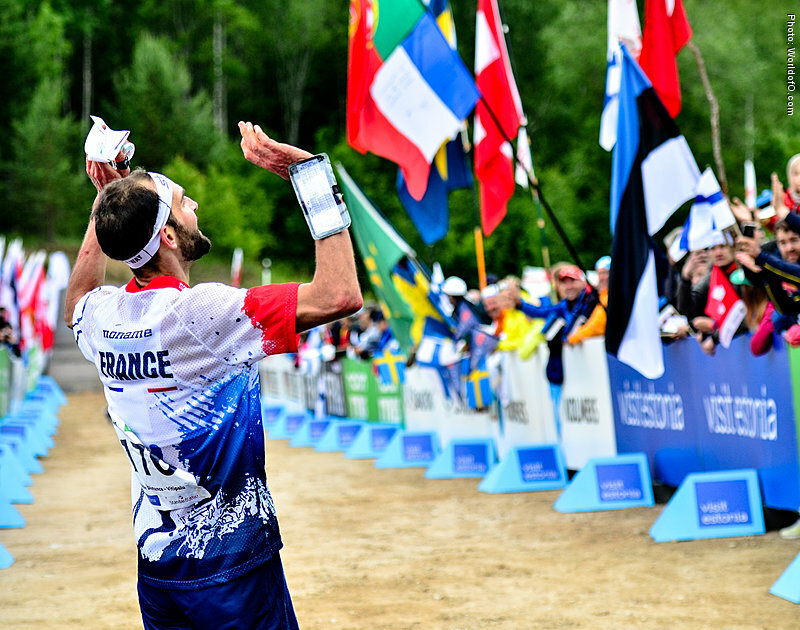 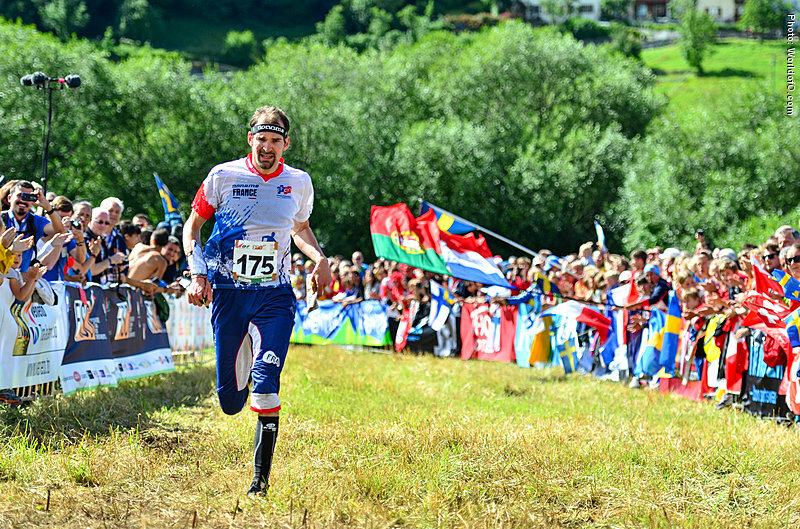 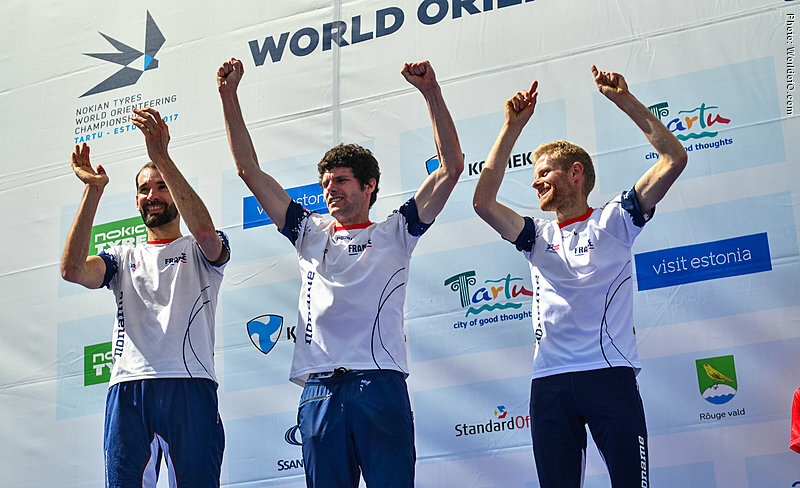 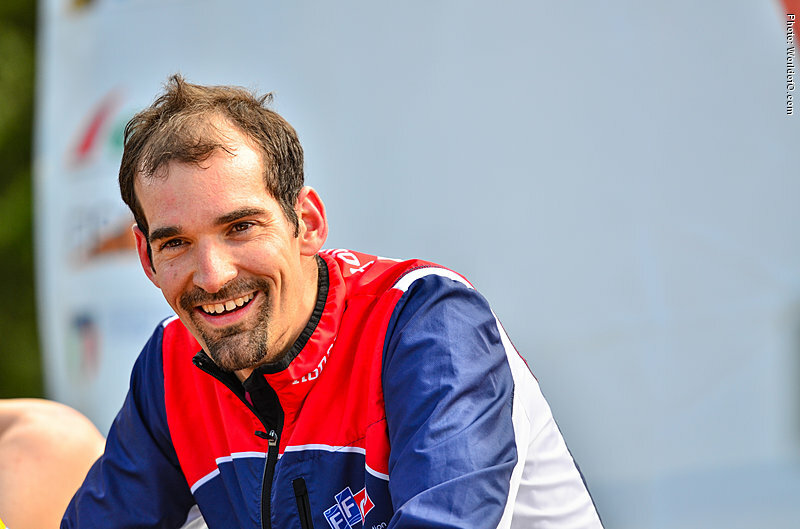 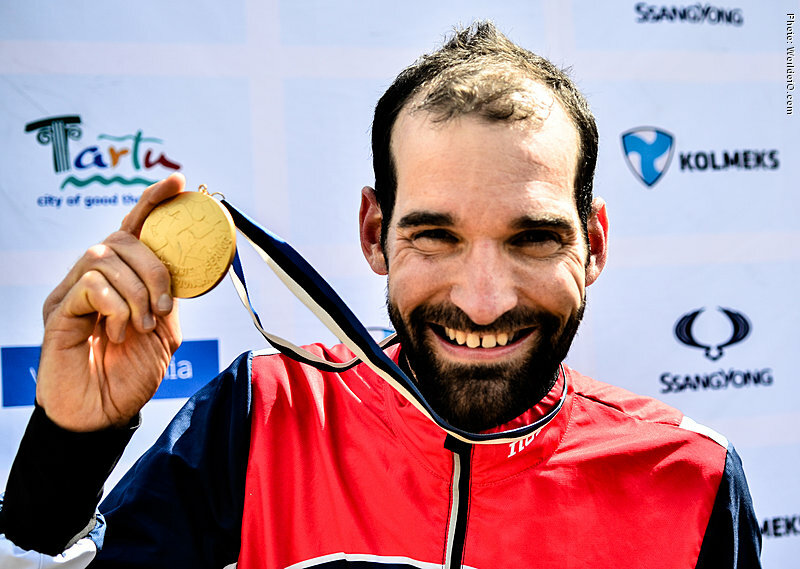 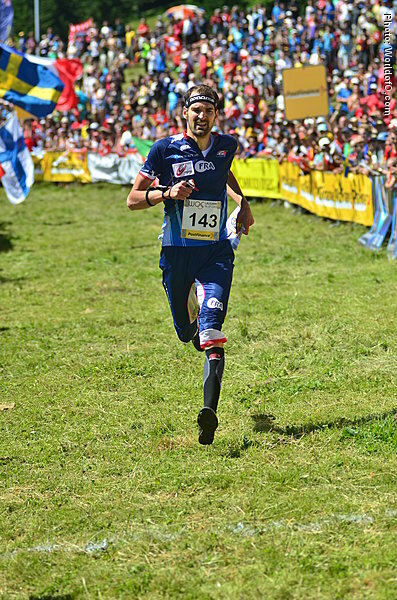 As of June 2017, Thierry Gueorgiou has won 21 WOC medals, of which 13 are gold and 18 are individual medals. 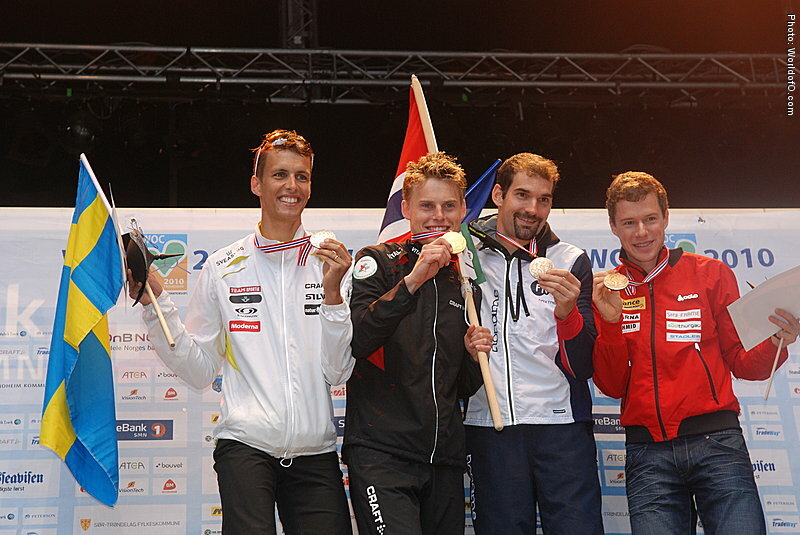 Add to that 7 EOC medals, of which 3 are gold and 4 are individual medals. 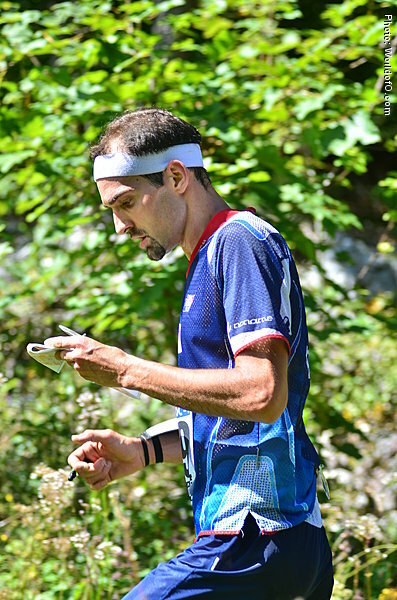 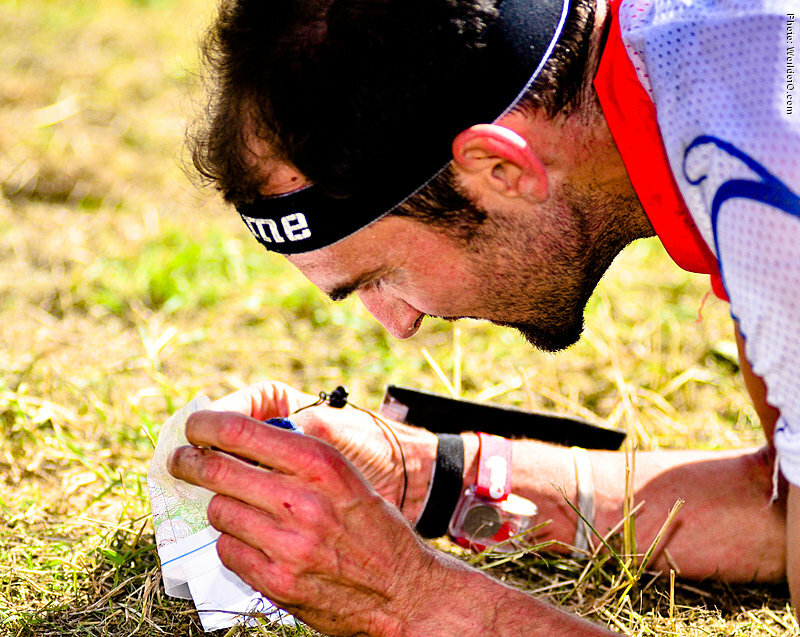 His force is surely his orienteering technique - training more with a map than any other top orienteer. 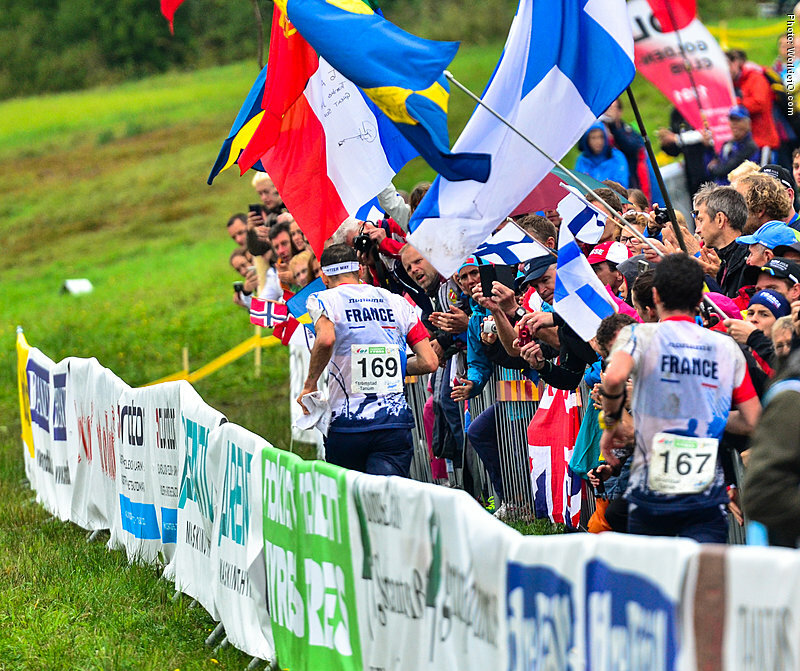 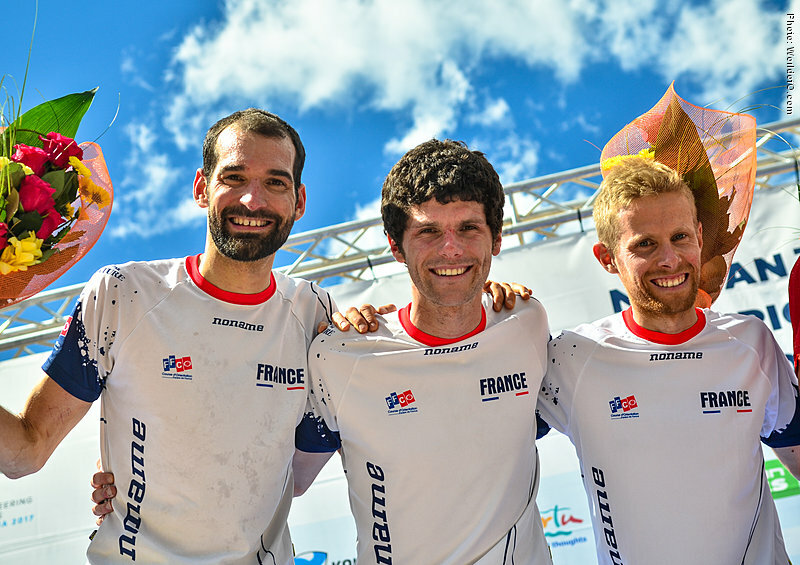 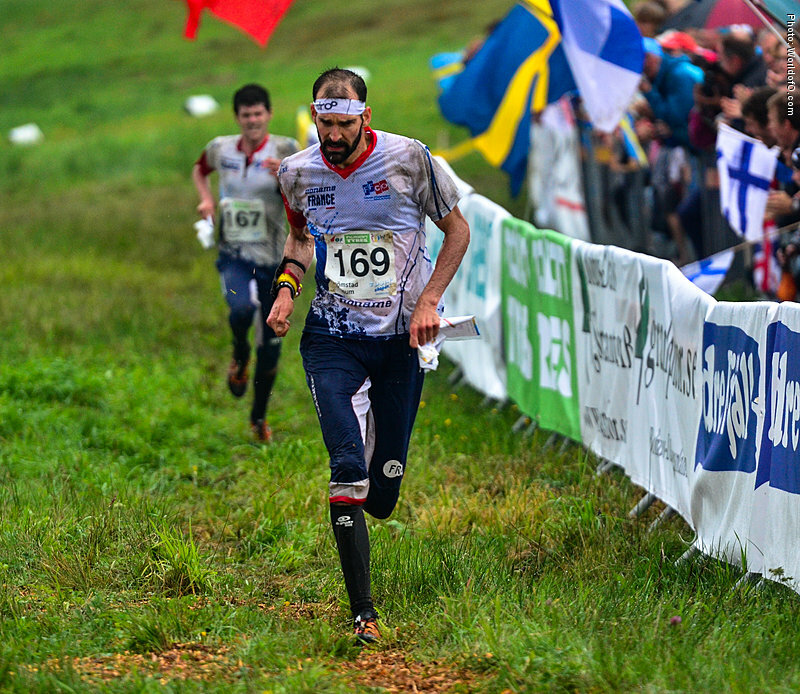 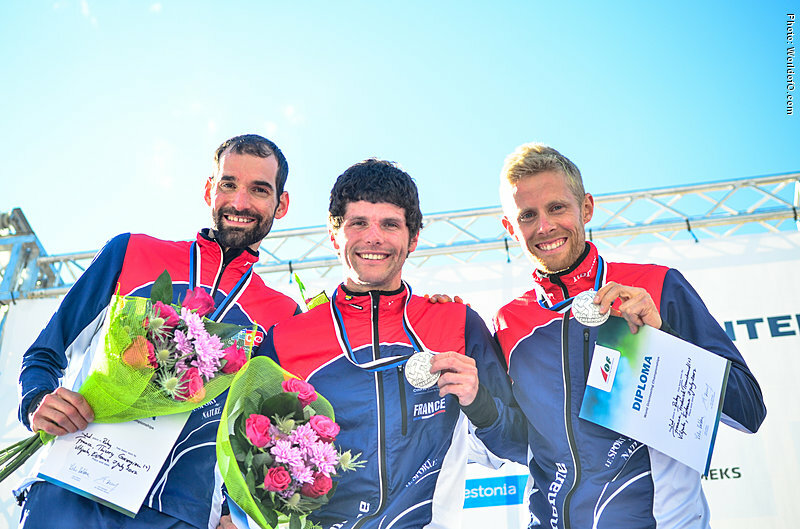 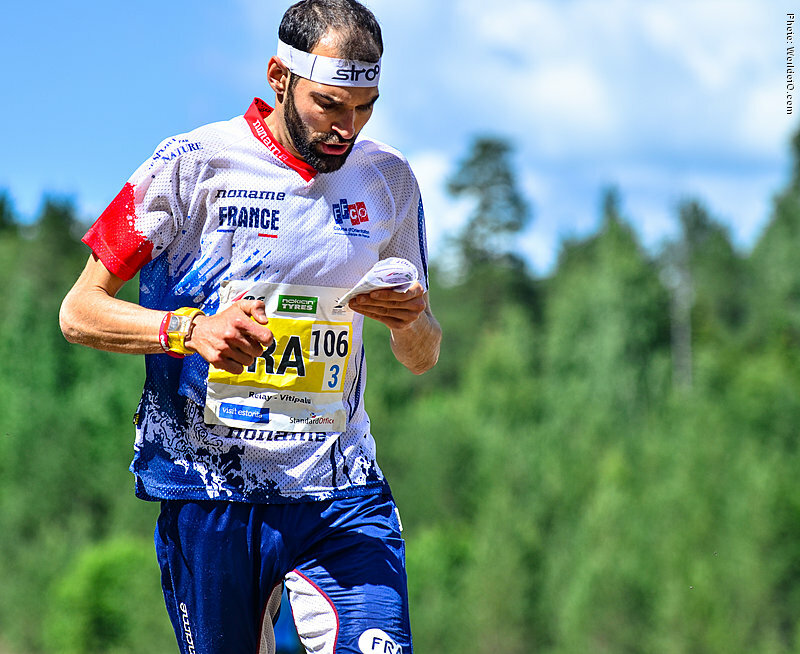 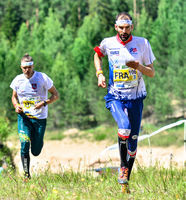 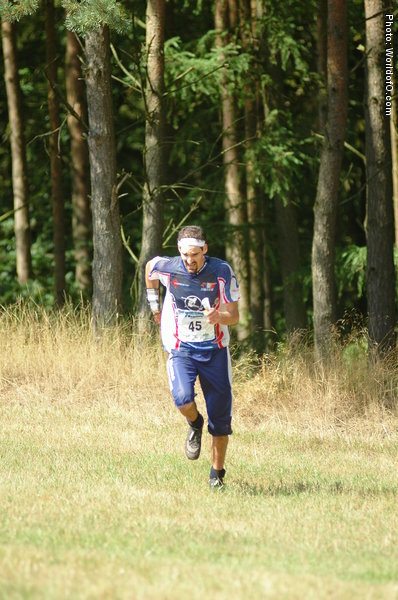 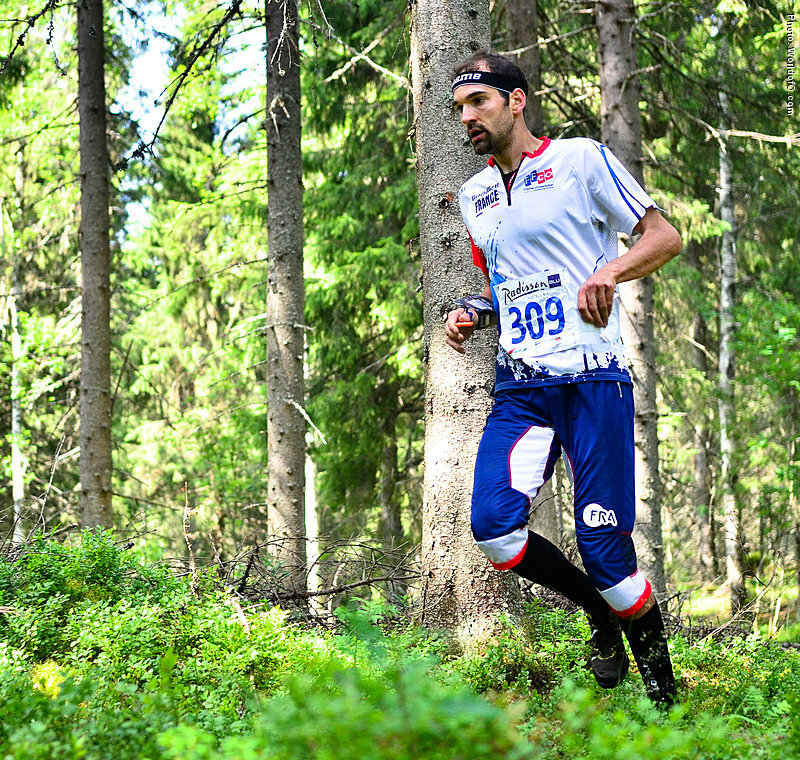 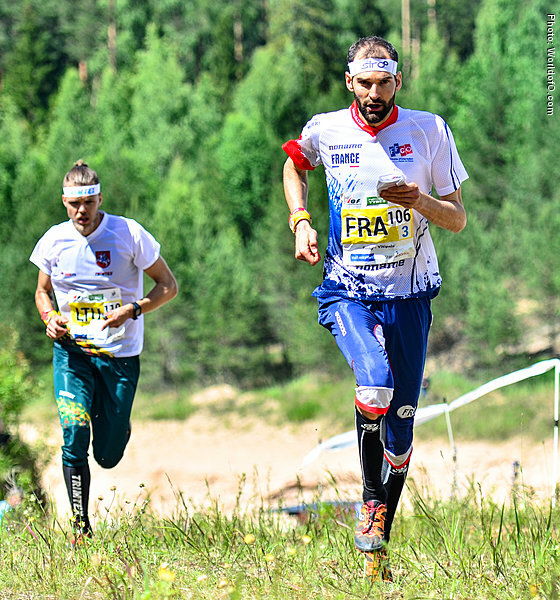 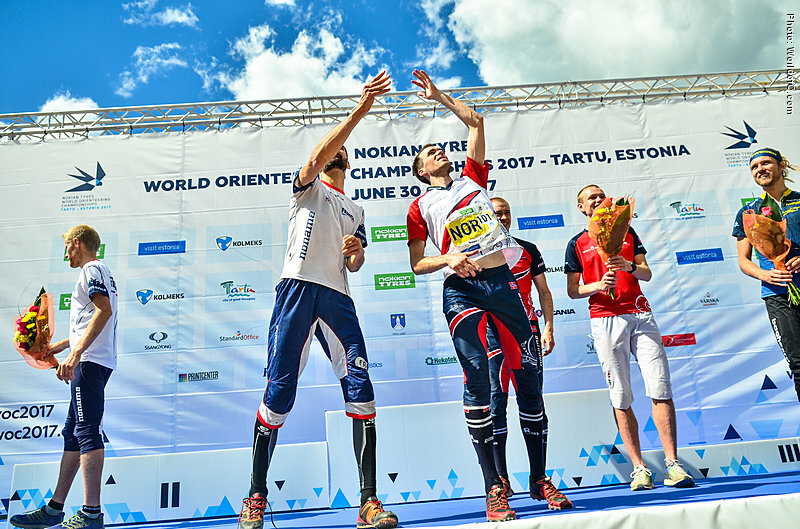 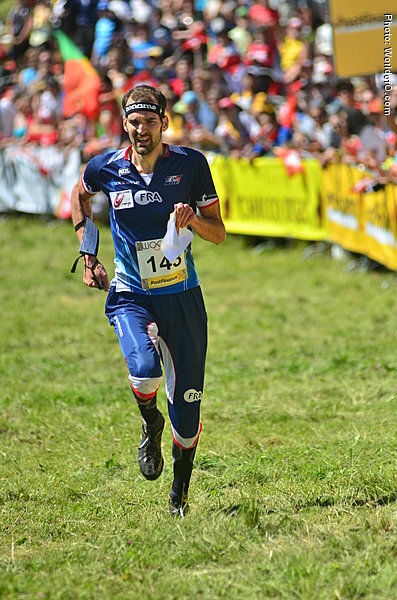 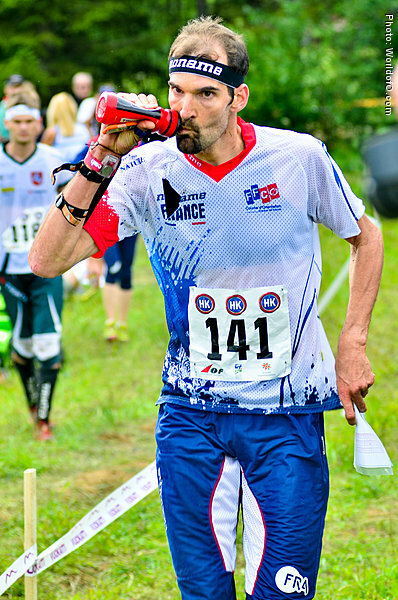 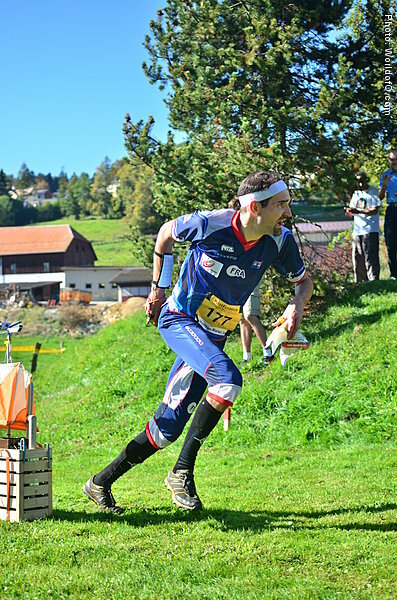 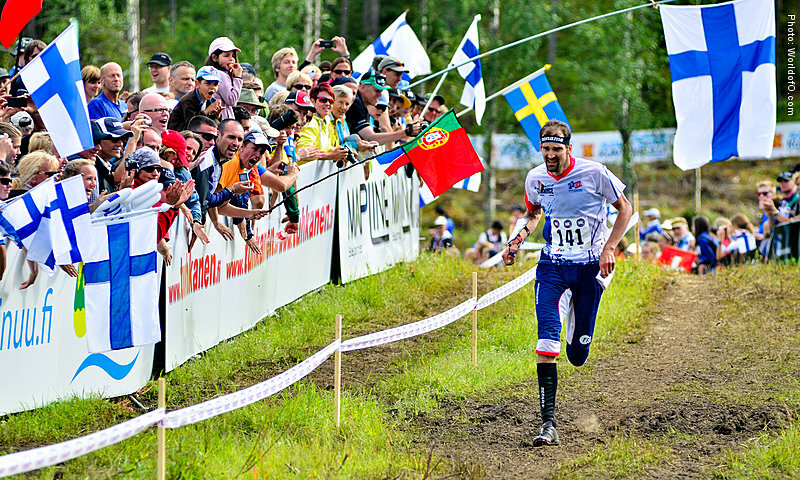 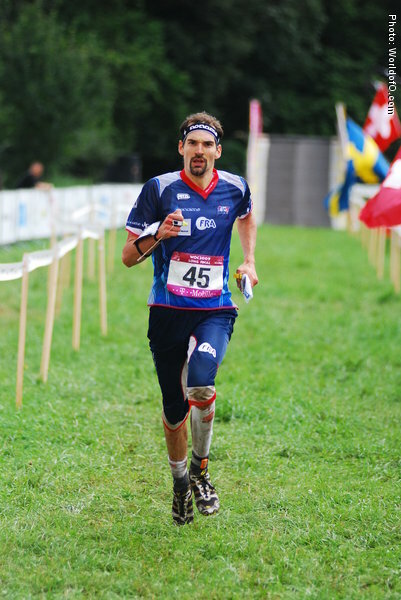 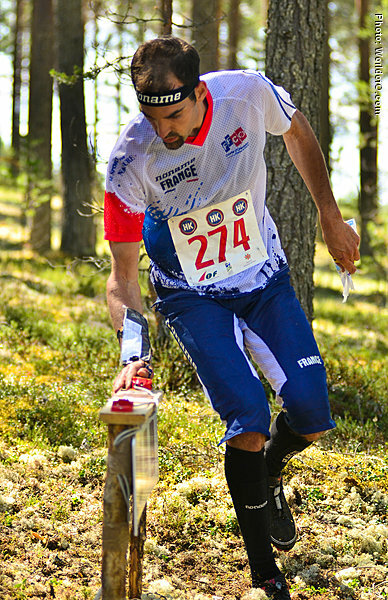 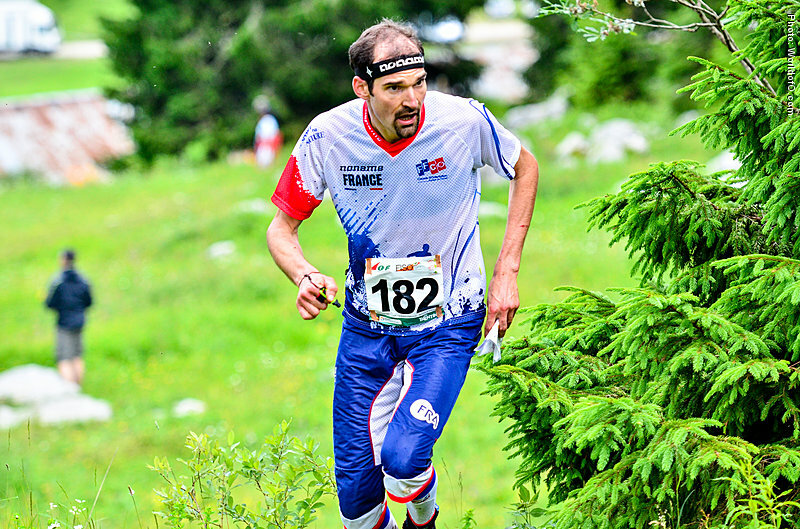 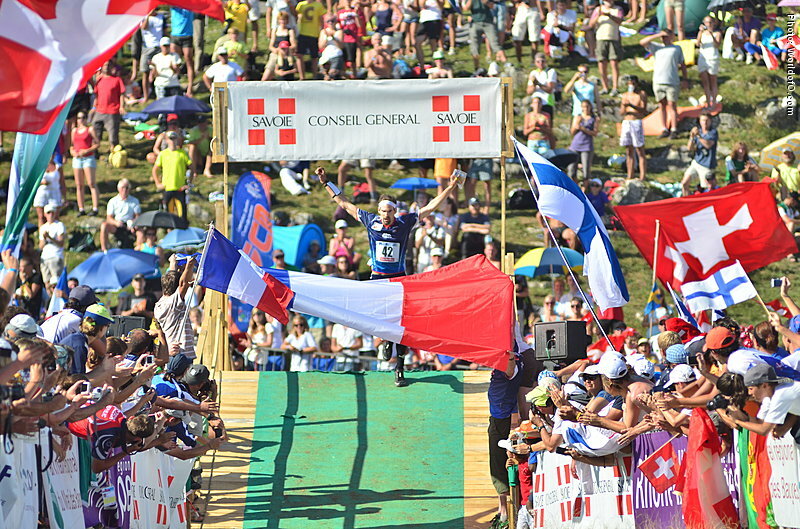 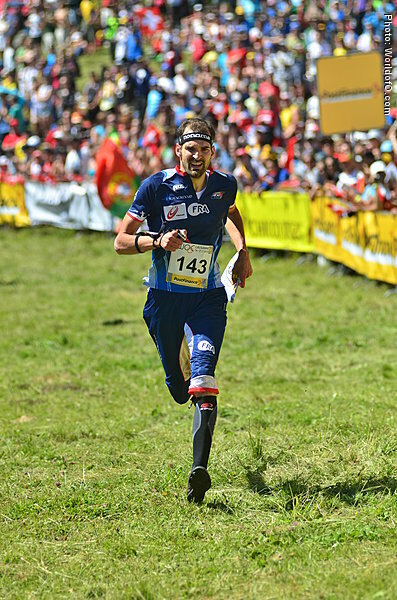 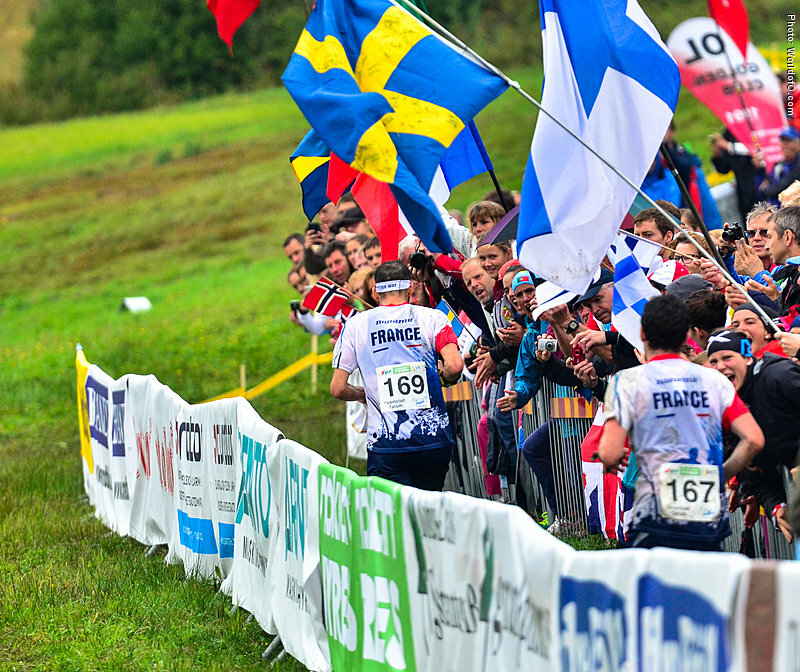 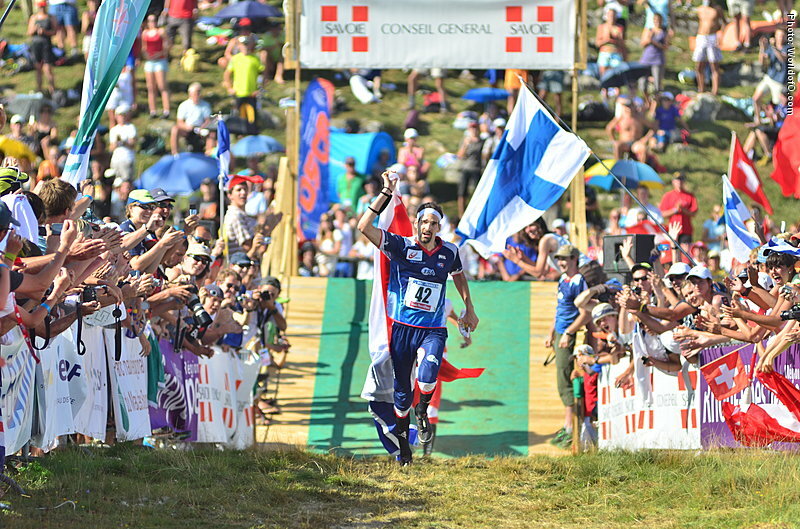 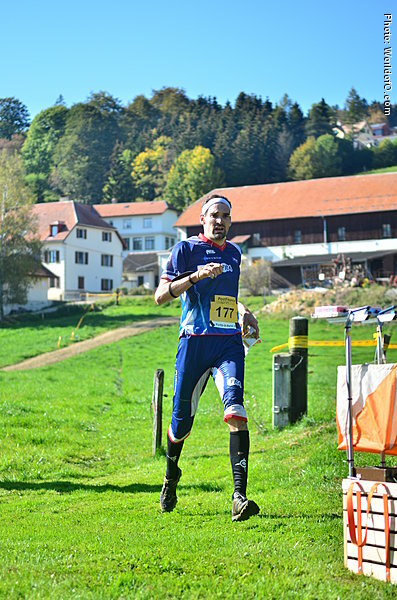 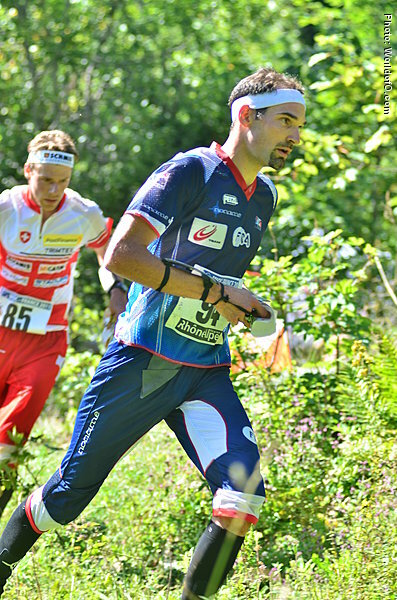 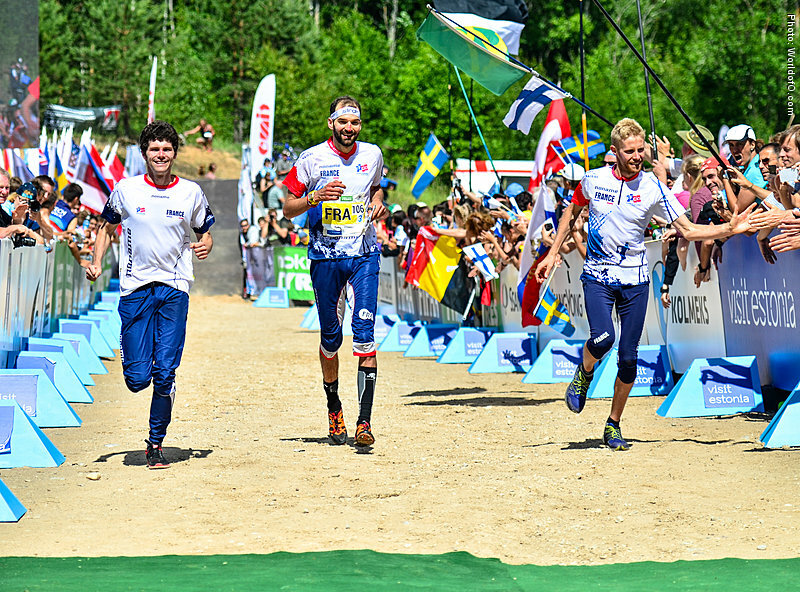 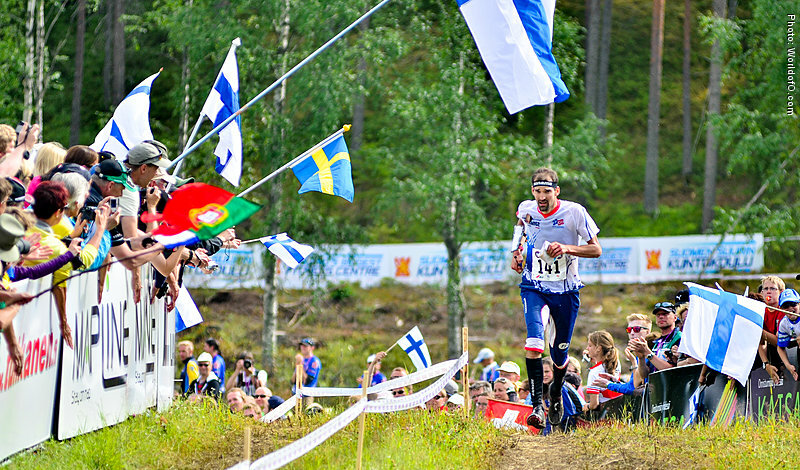 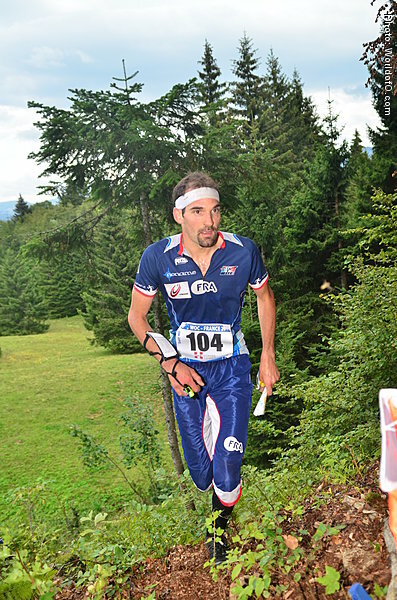 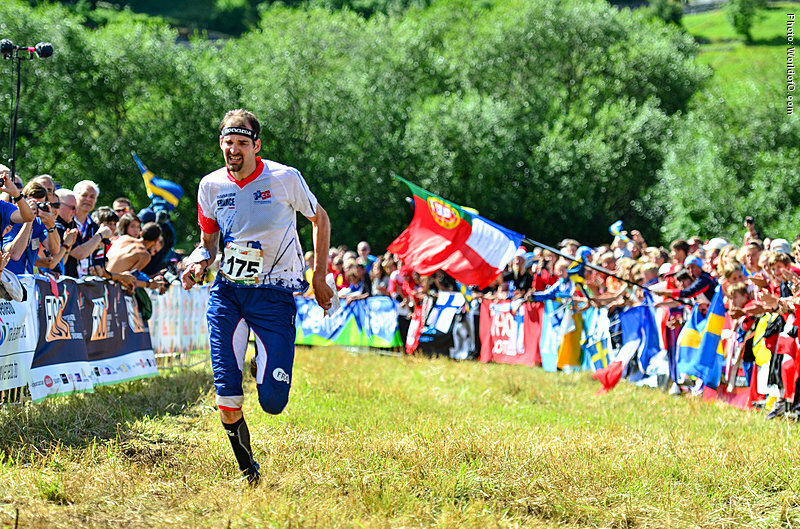 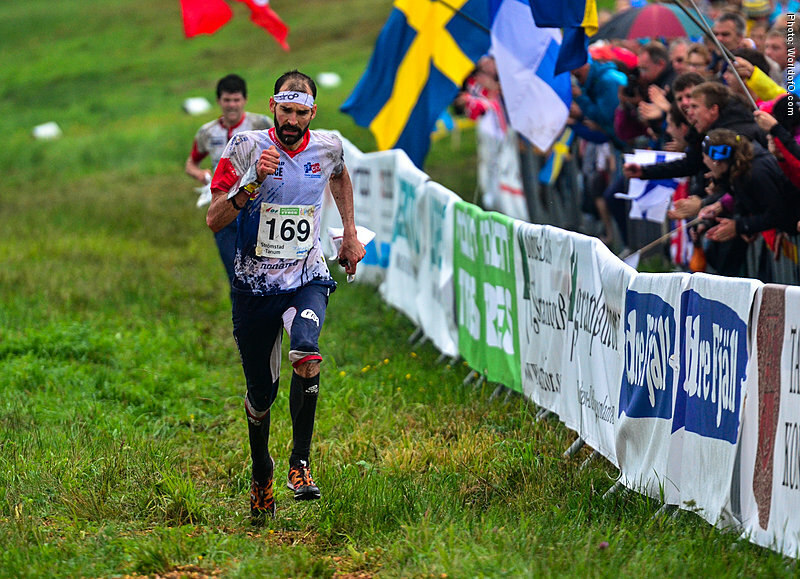 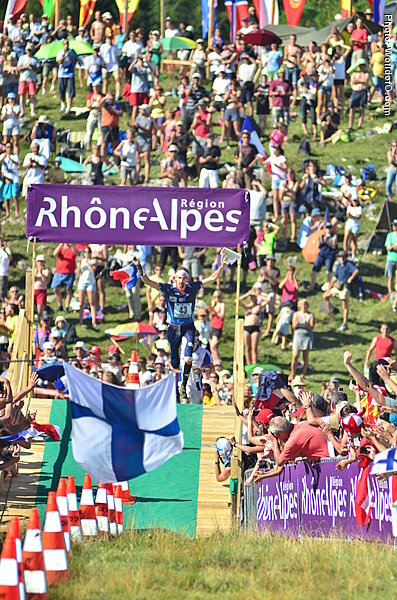 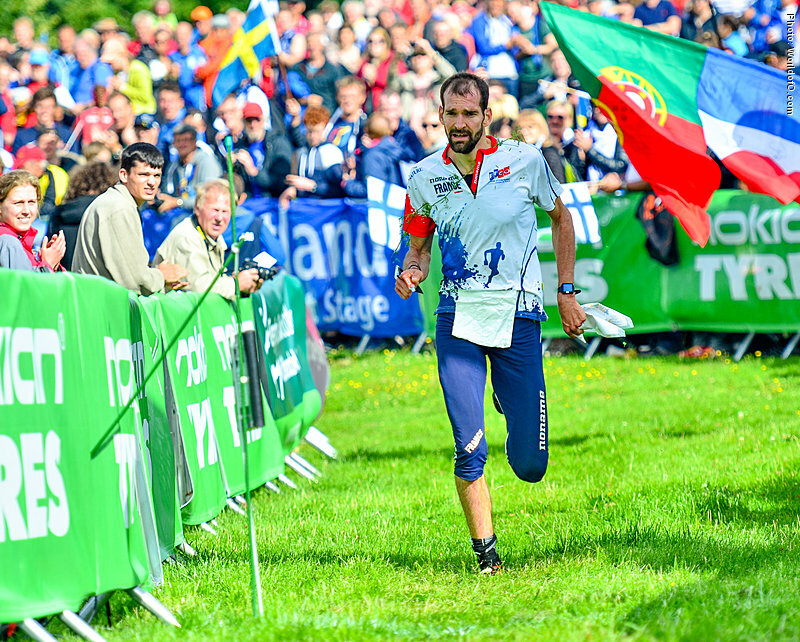 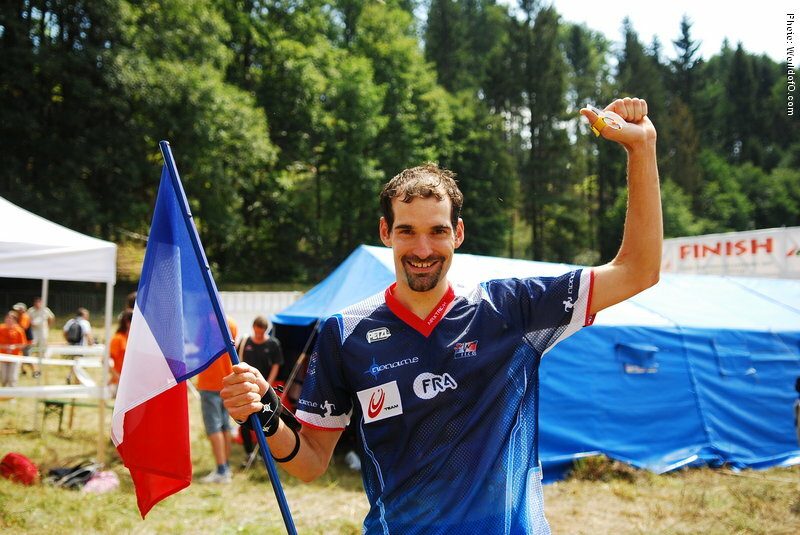 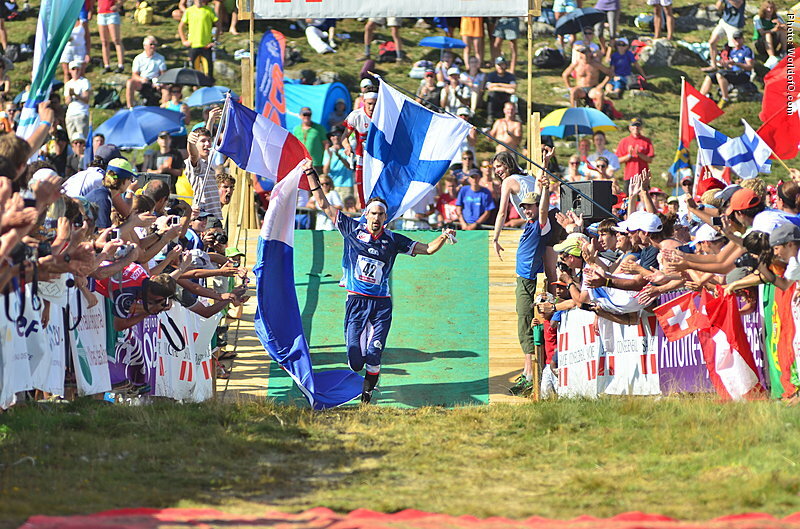 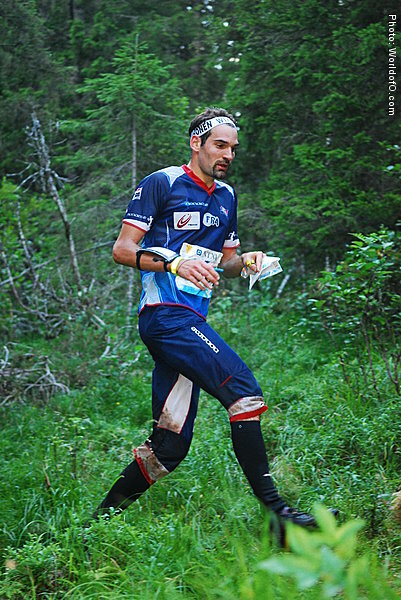 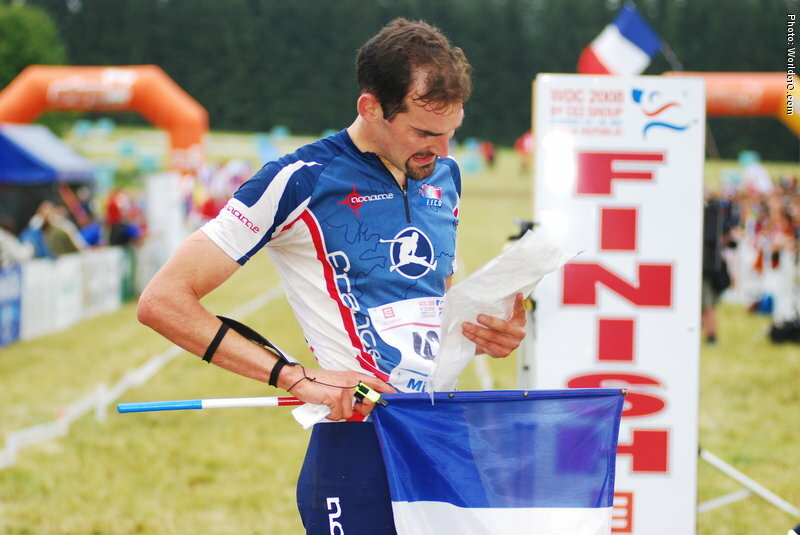 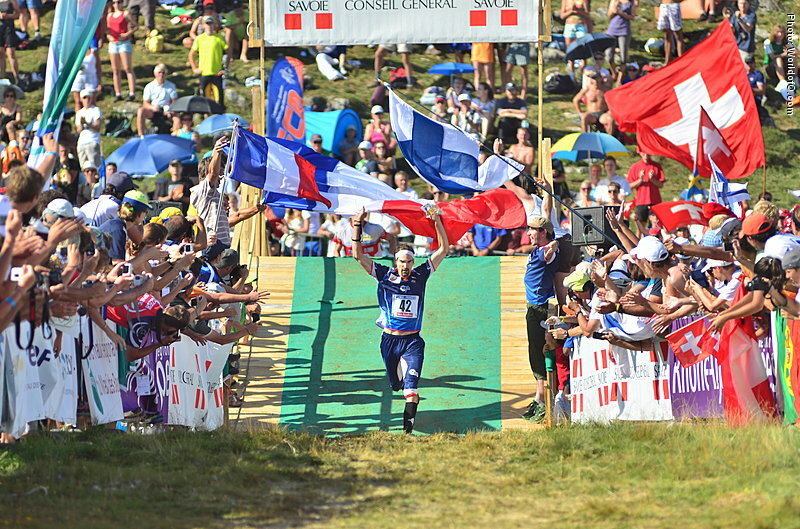 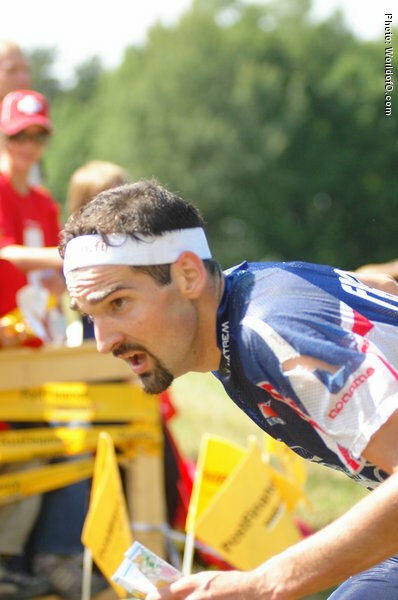 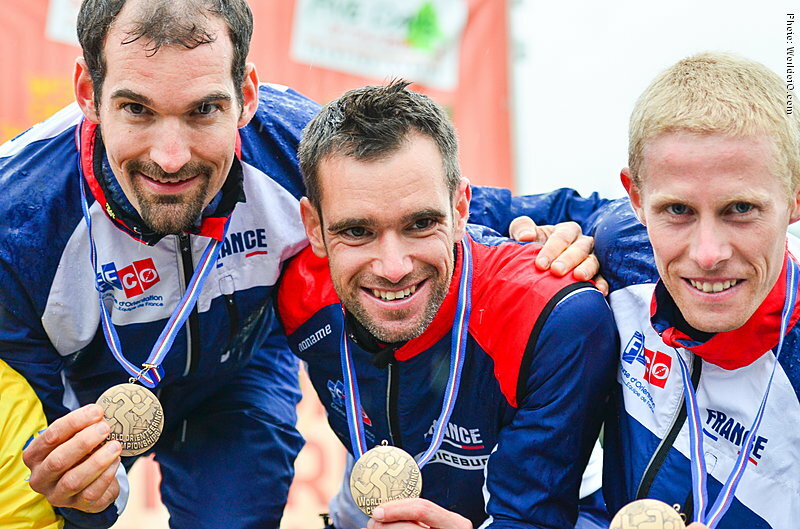 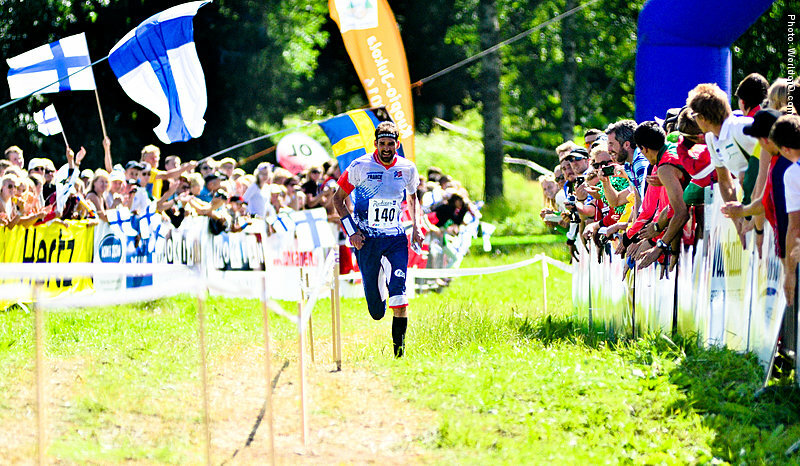 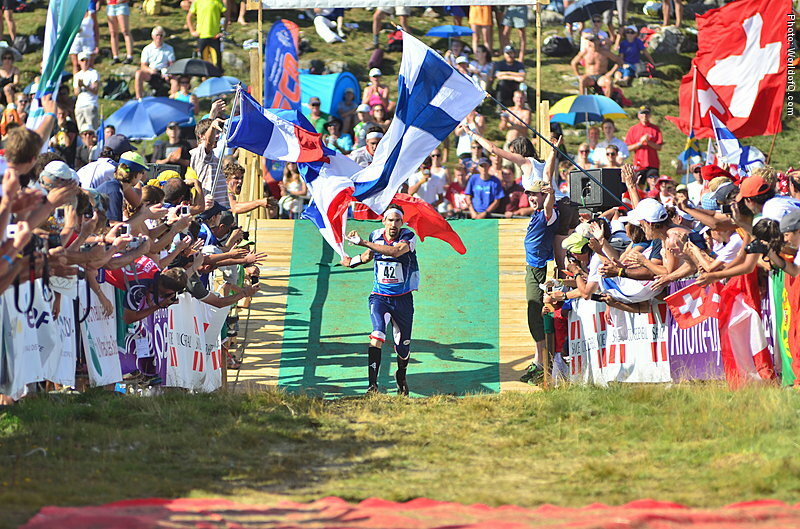 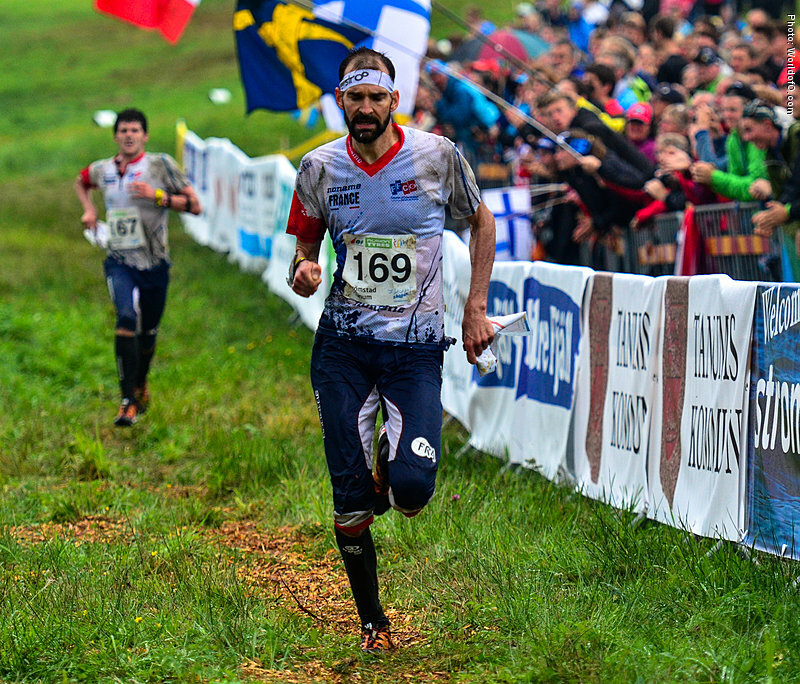 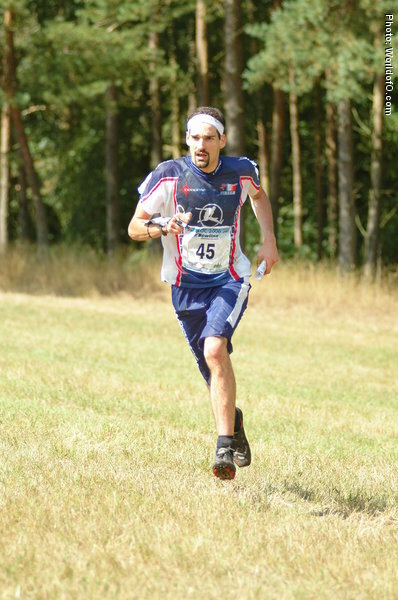 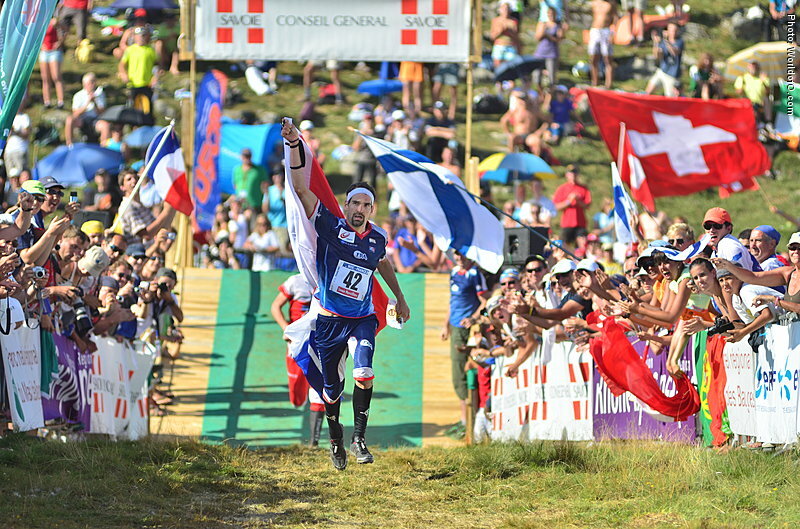 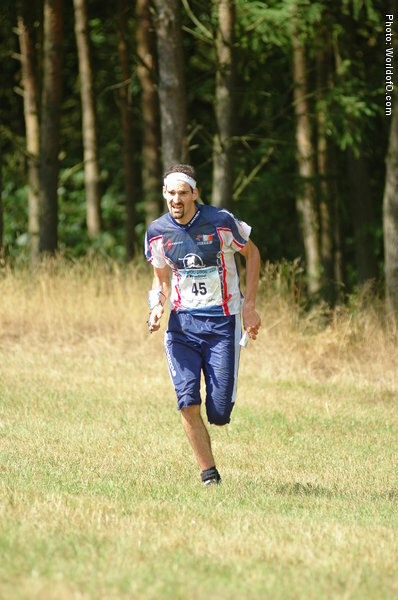 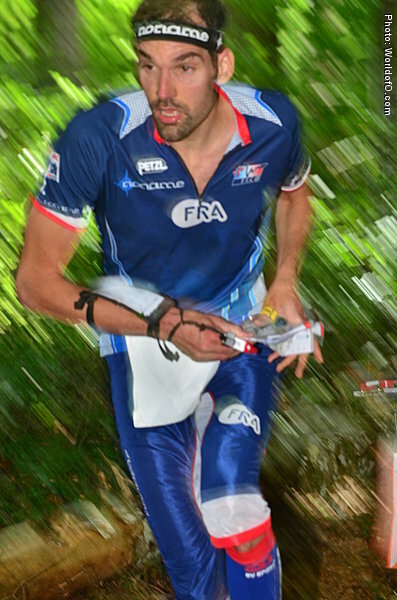 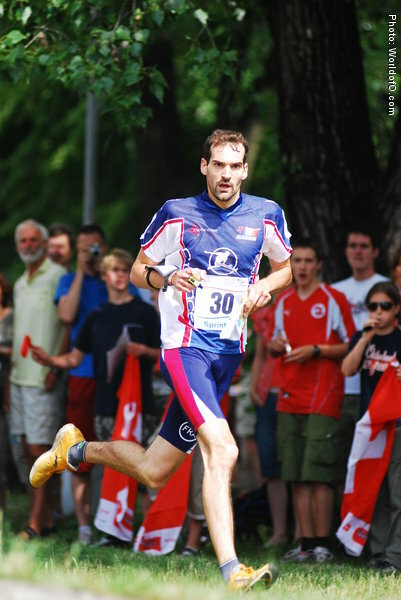 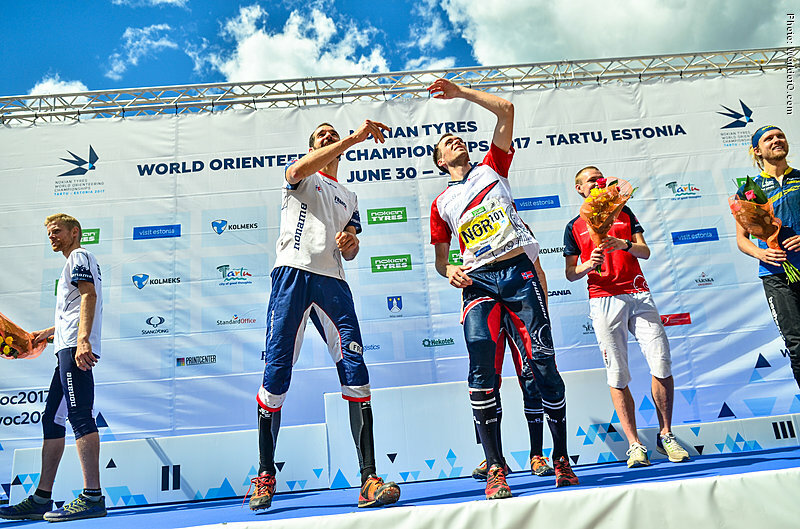 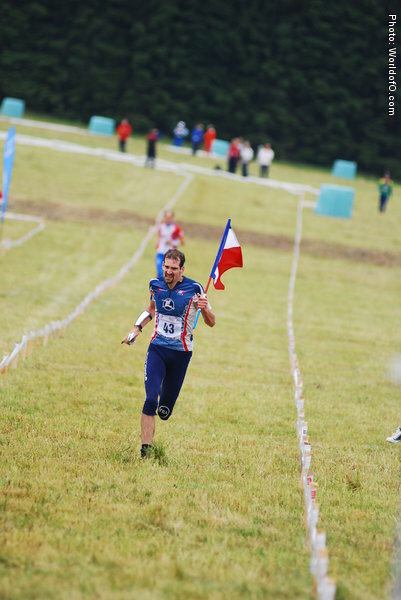 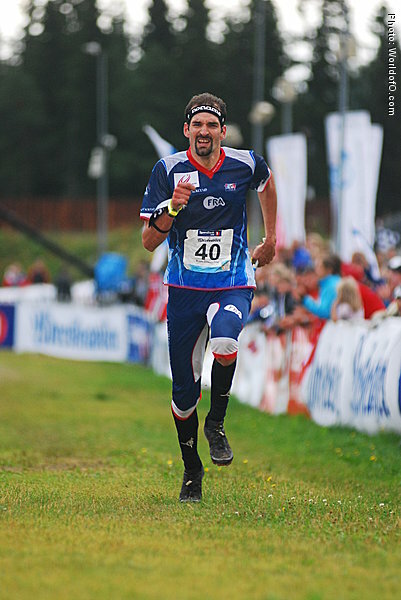 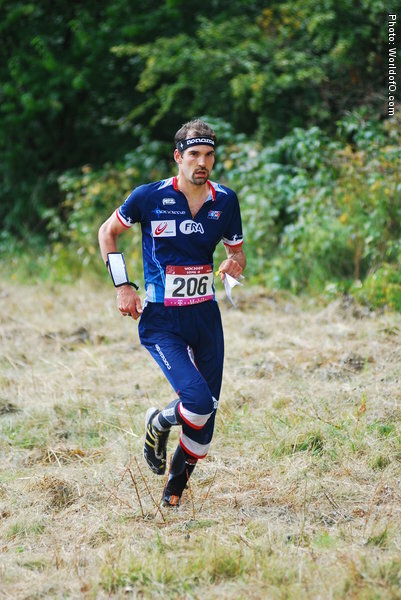 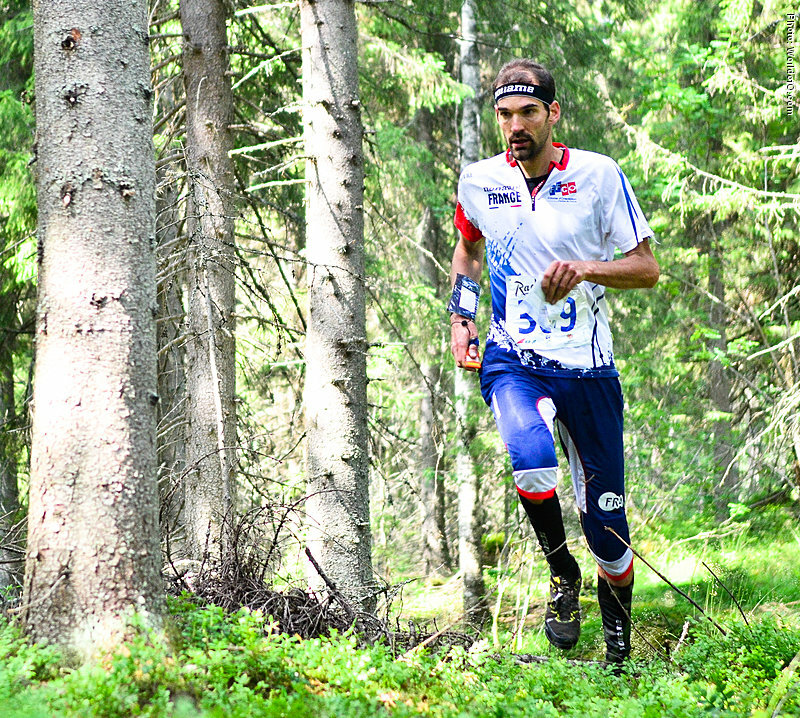 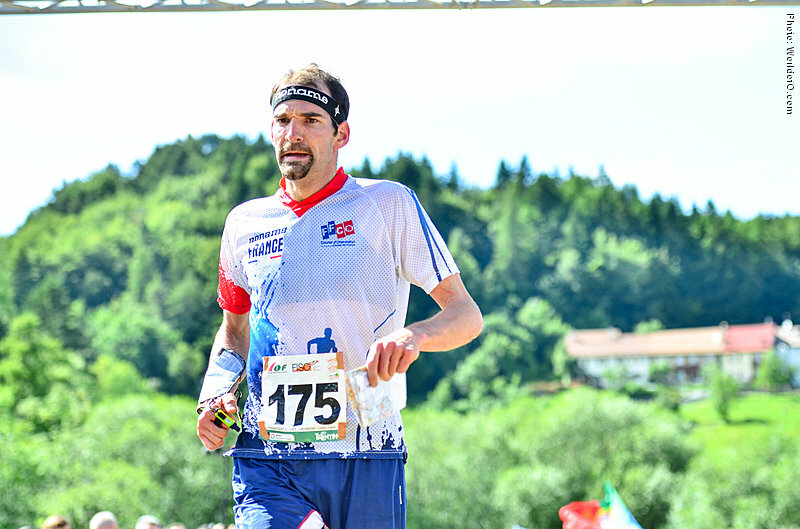 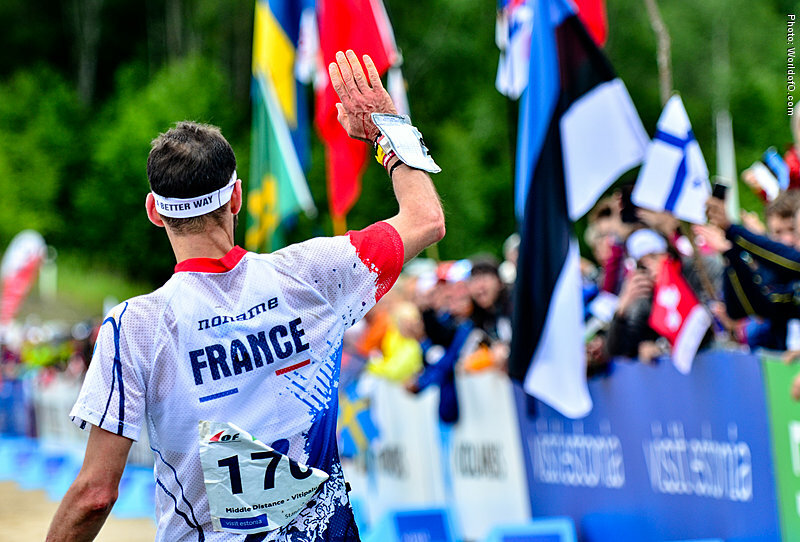 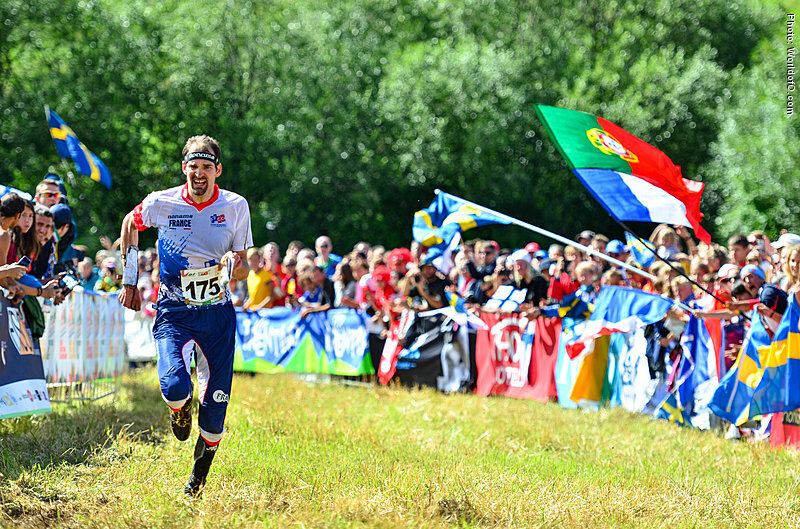 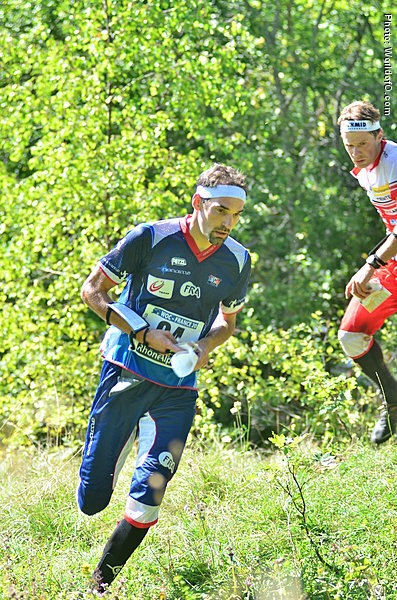 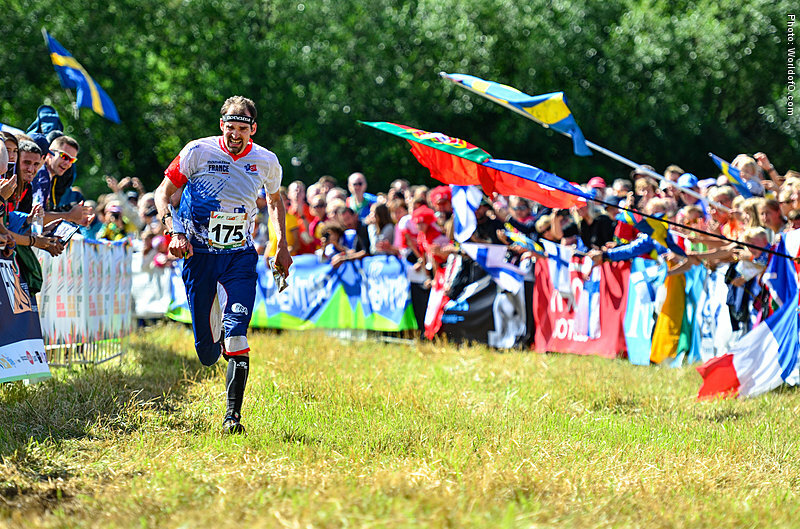 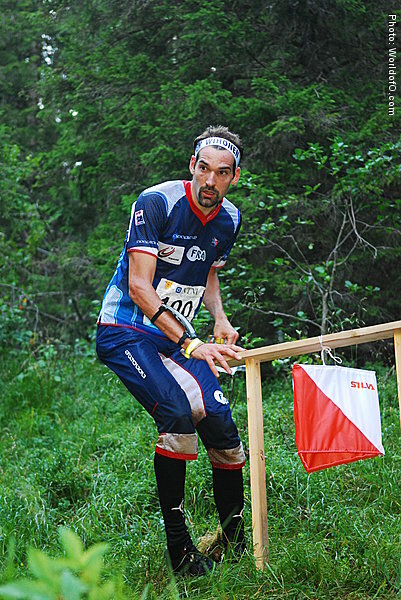 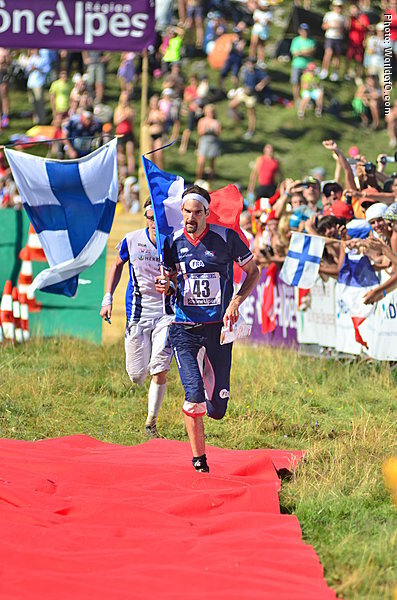 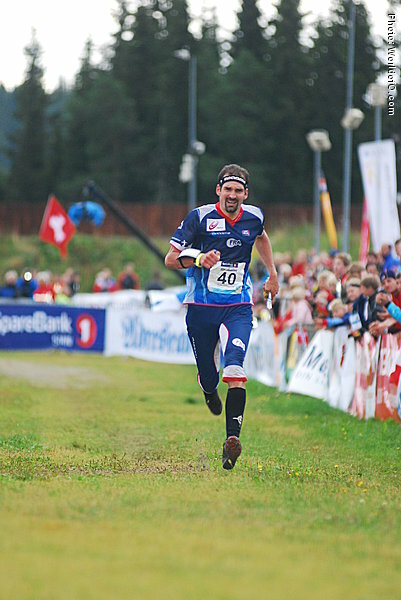 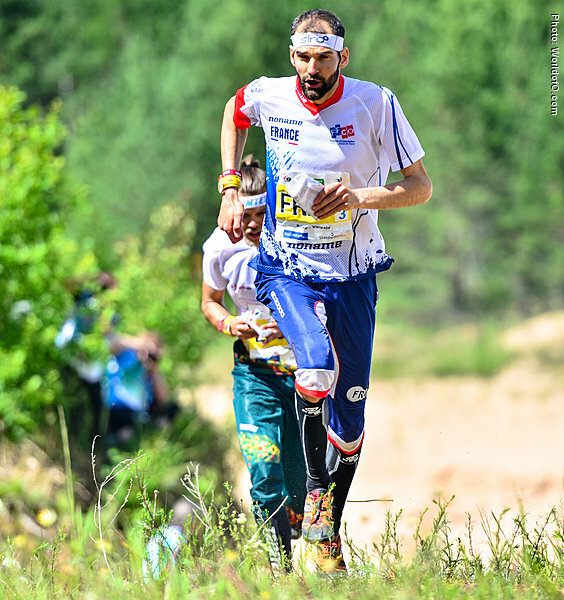 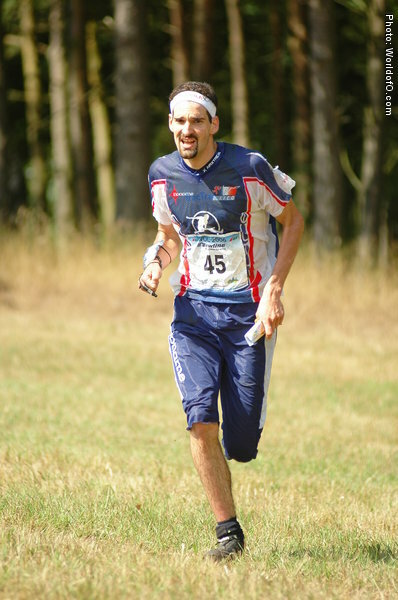 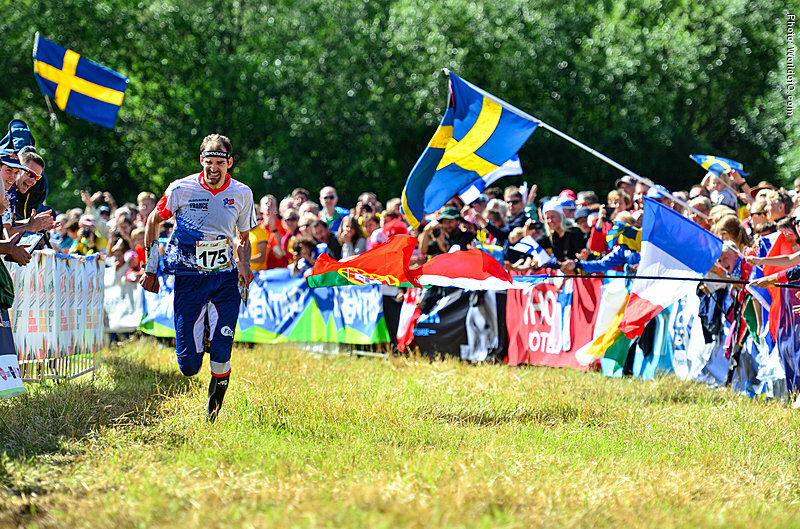 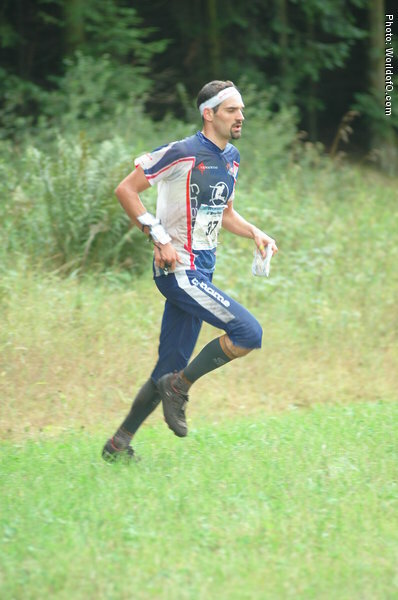 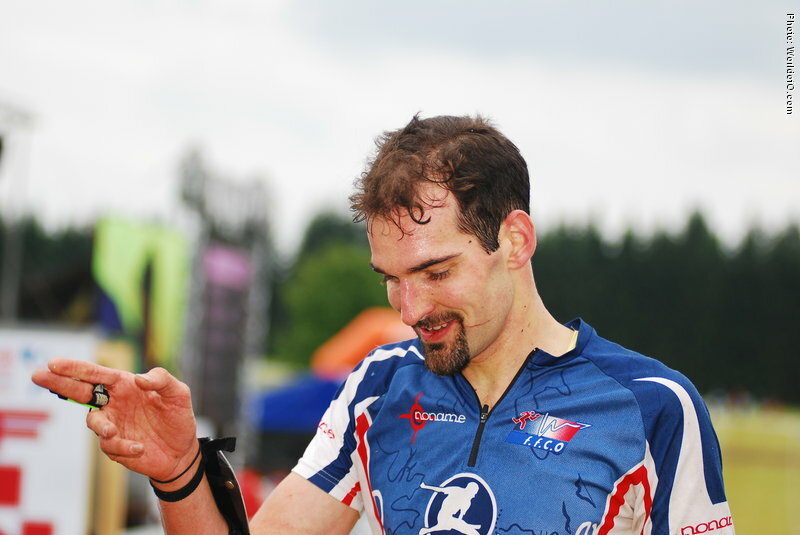 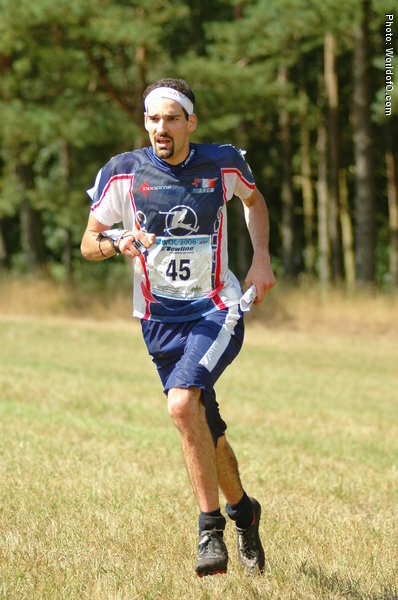 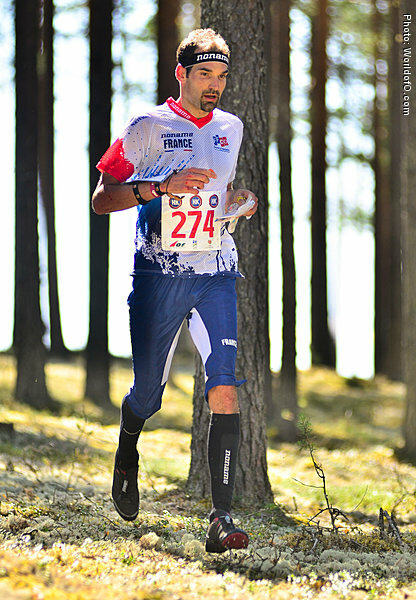 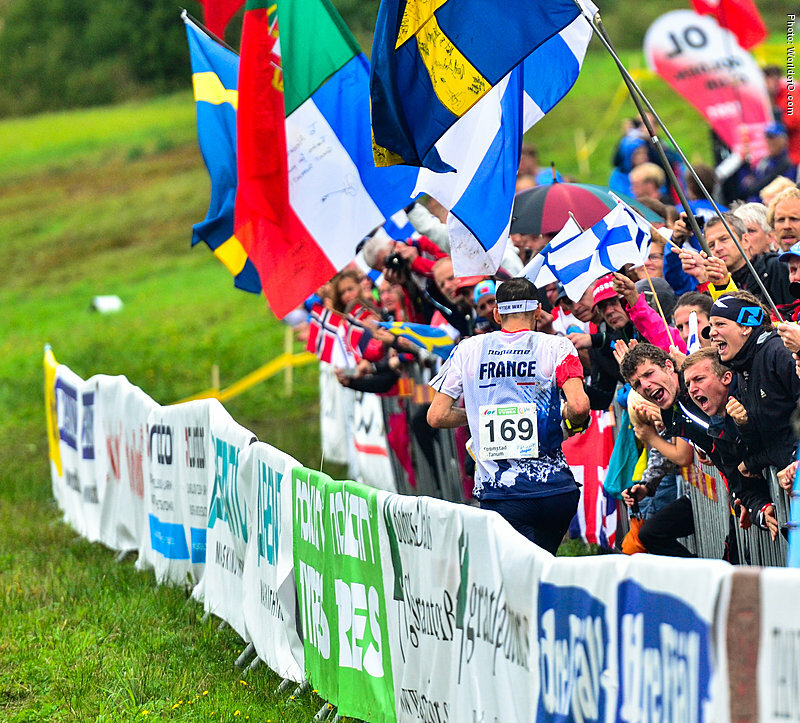 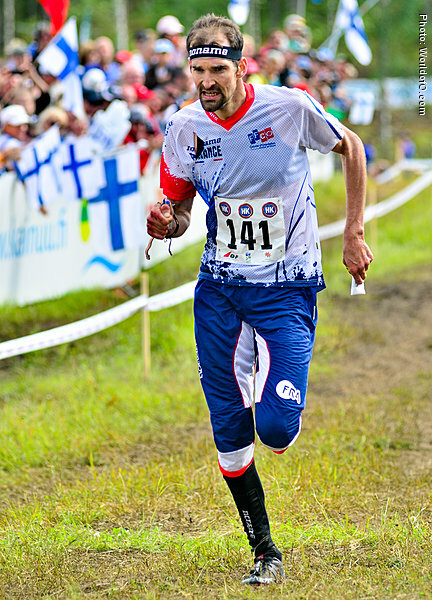 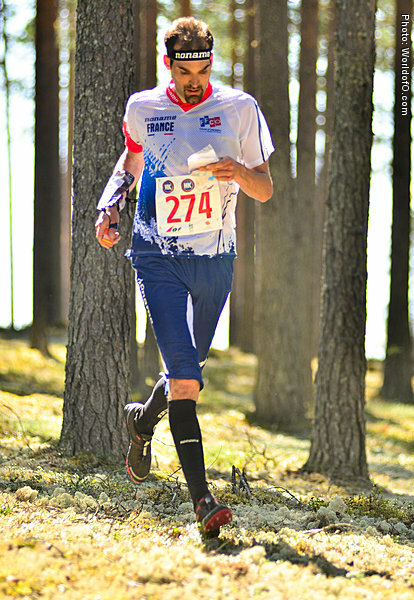 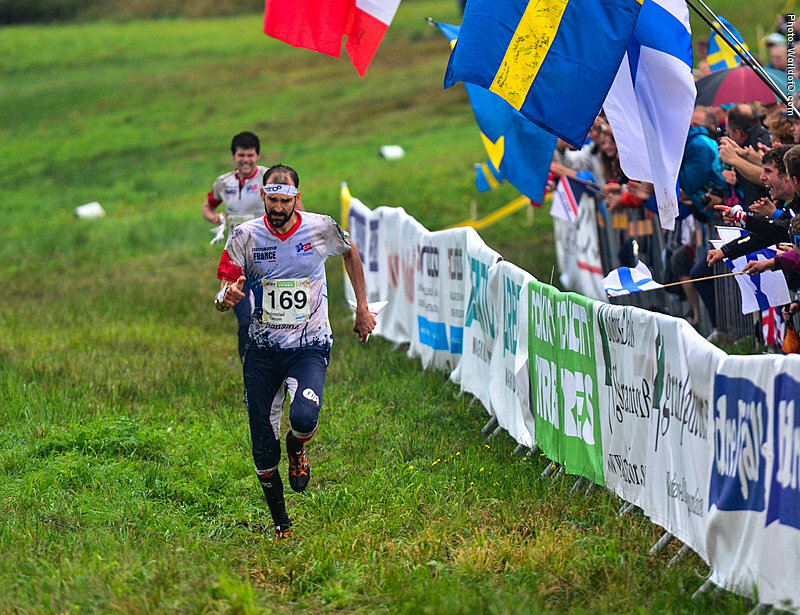 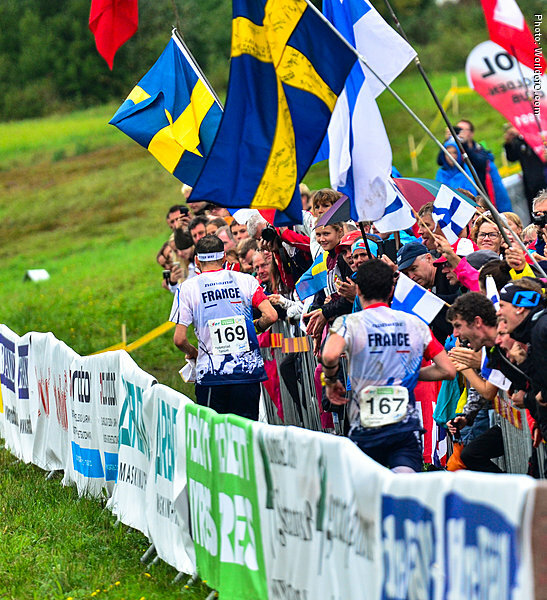 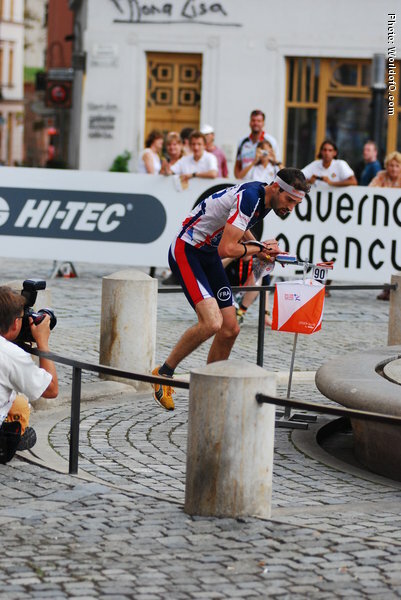 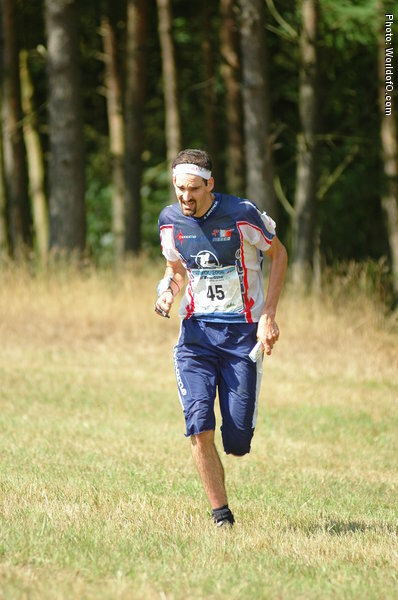 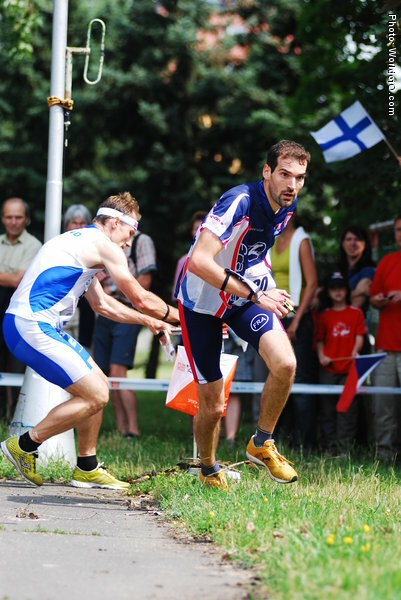 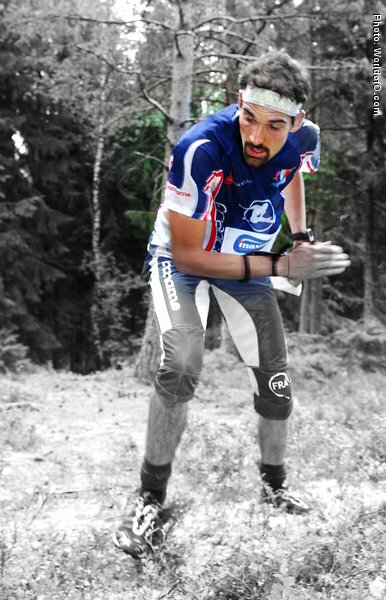 Has raised the standard of training, and developed French orienteering as well. 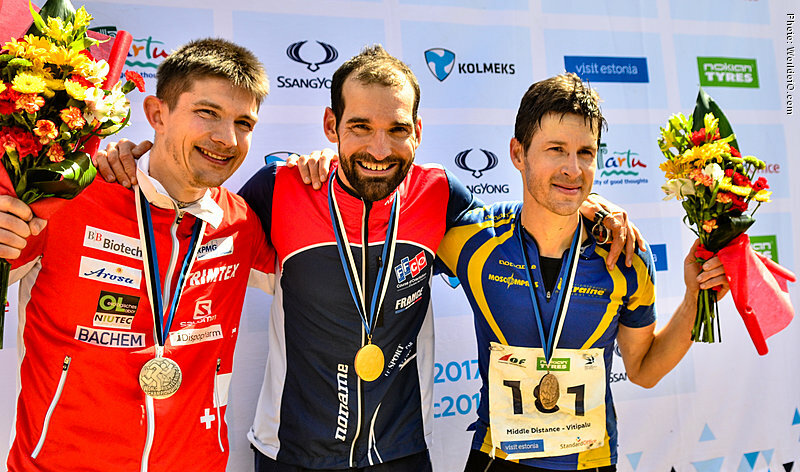 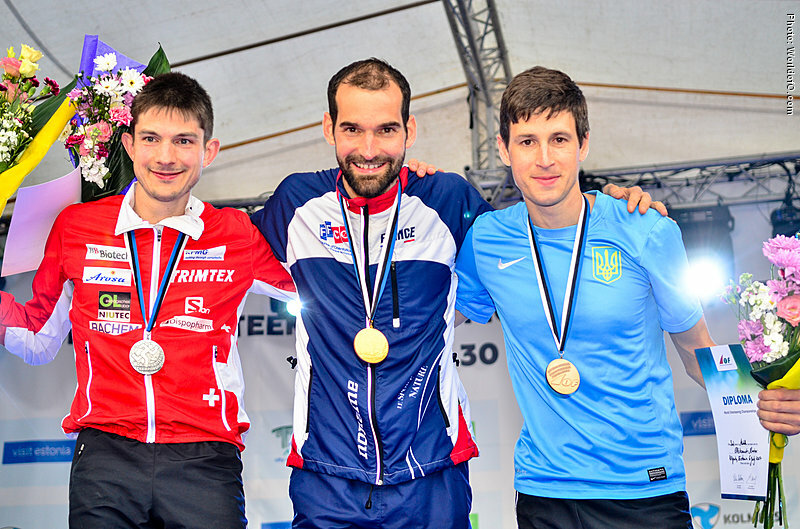 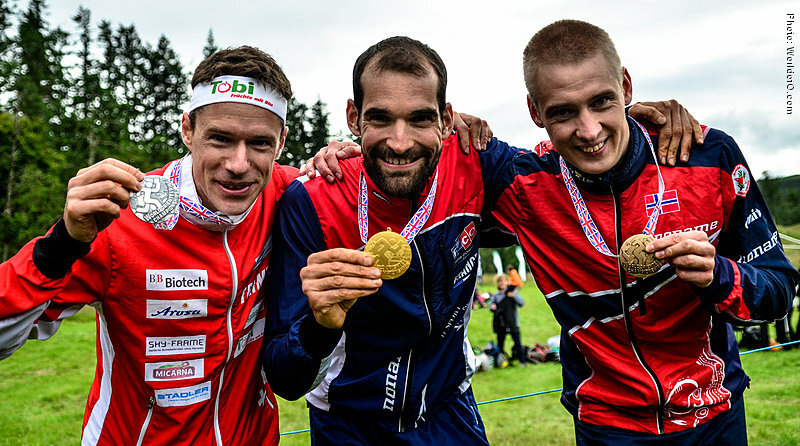 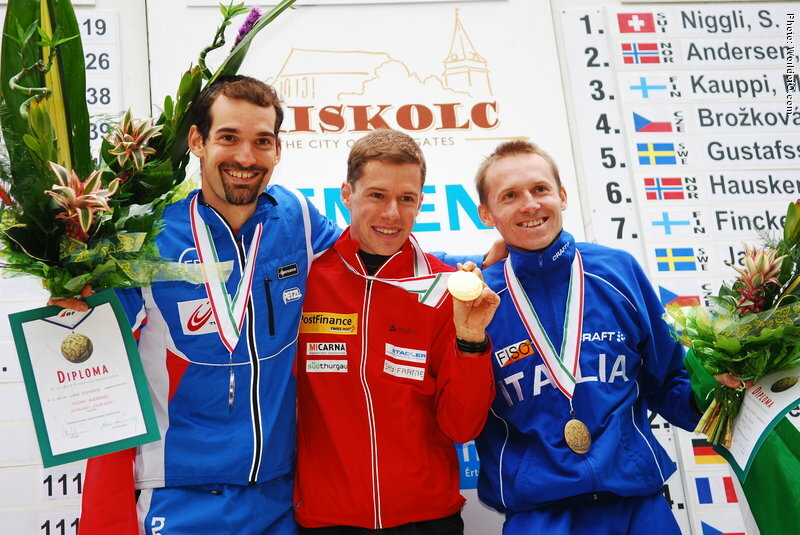 WOC gold medals from 2003, 2004, 2005, 2007, 2009, 2011, 2013 and 2014 - in total 12 divided on all disciplines (except for the mixed sprint relay which is new from 2014) as of the end of the 2014 season. 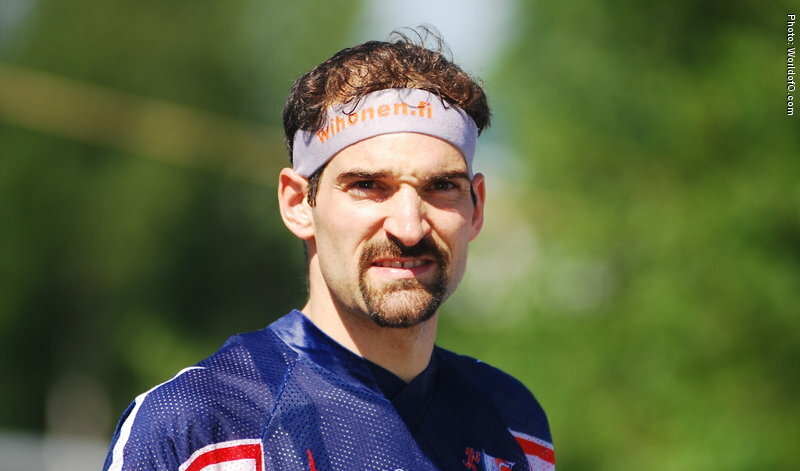 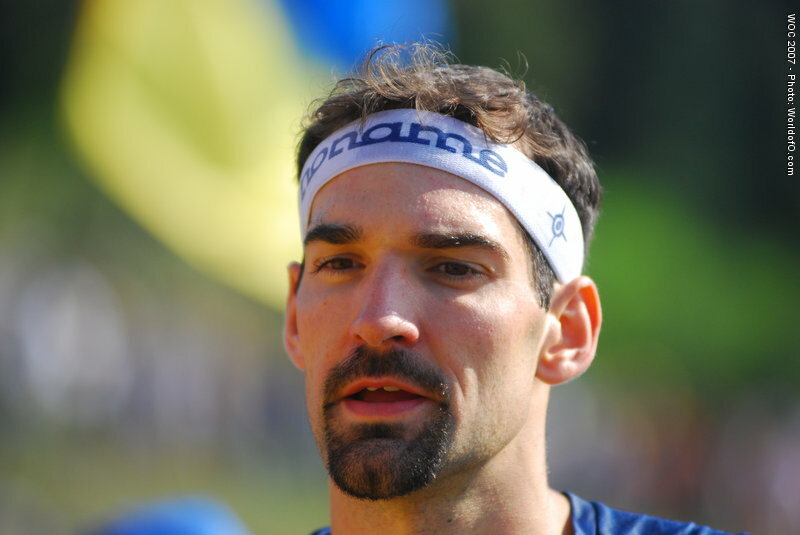 Each failure makes Gueorgiou work harder - after the 2006 failure (4th in WOC middle) Gueorgiou came back winning two individual gold medals in Ukraine. 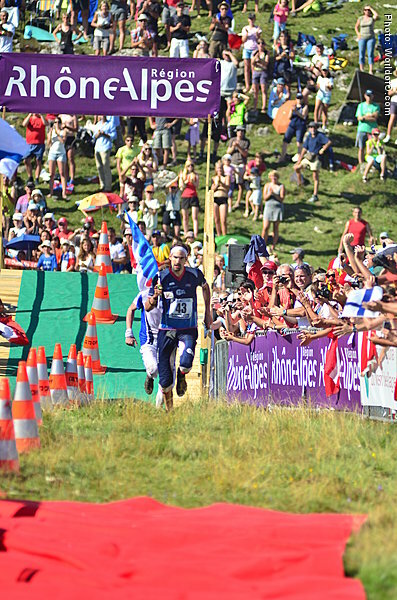 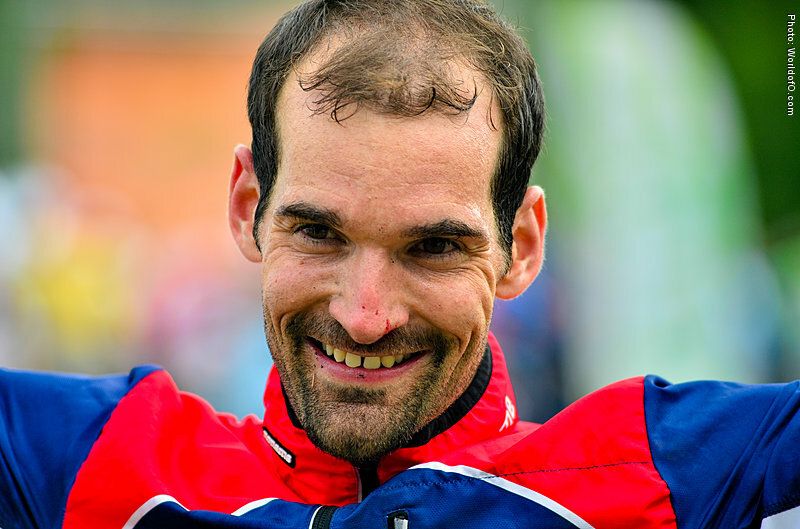 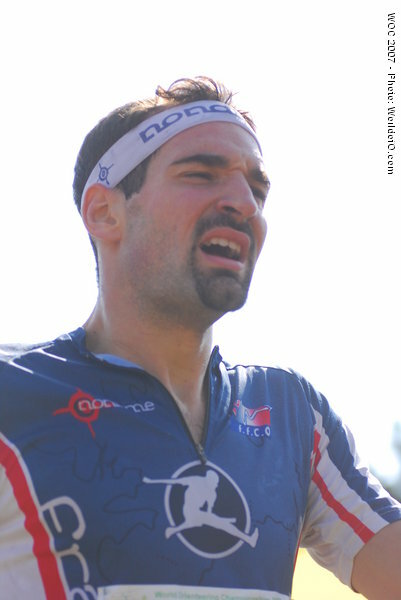 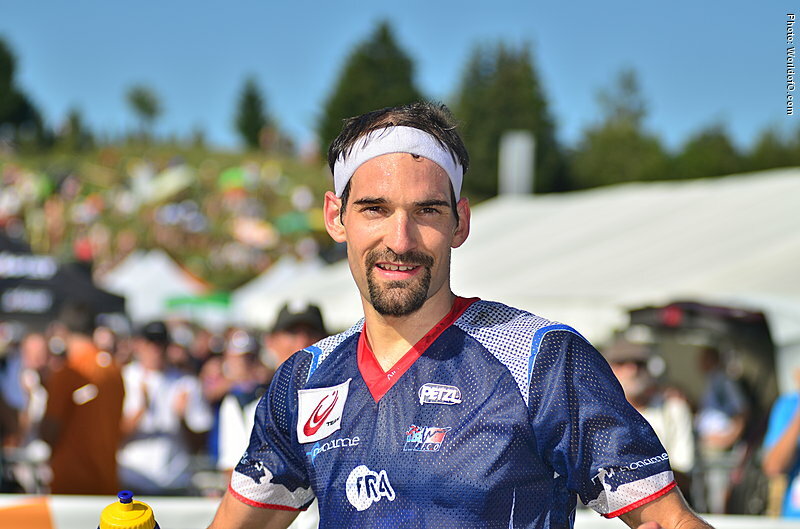 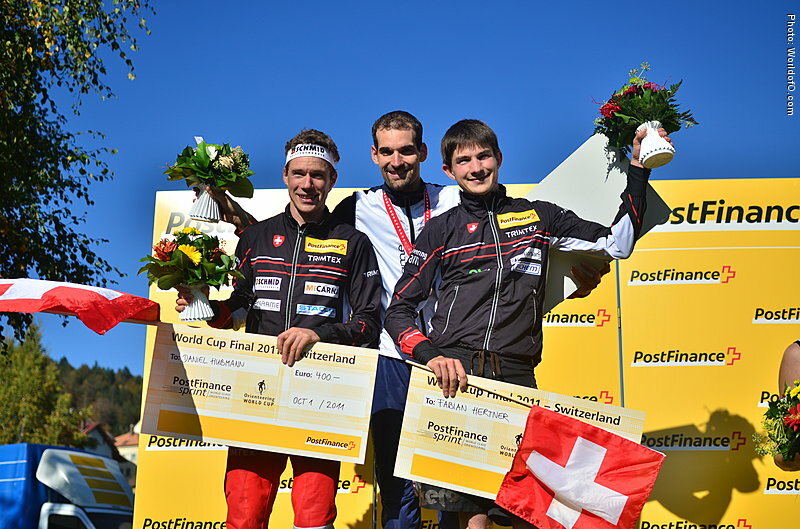 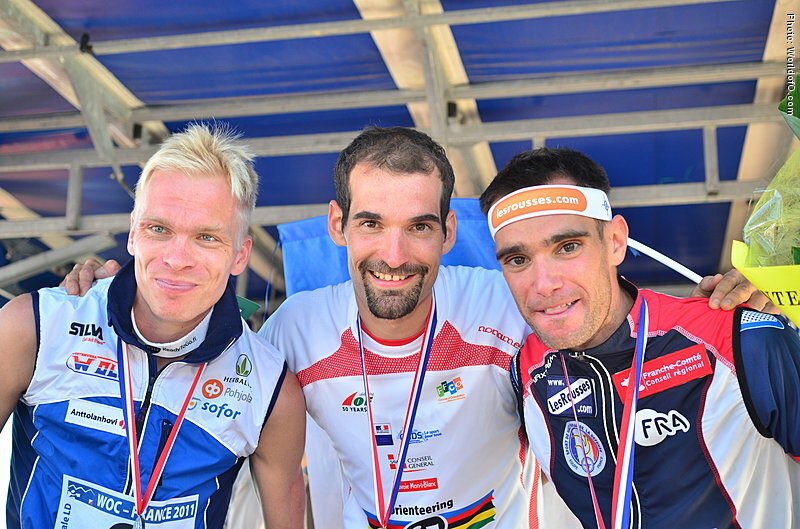 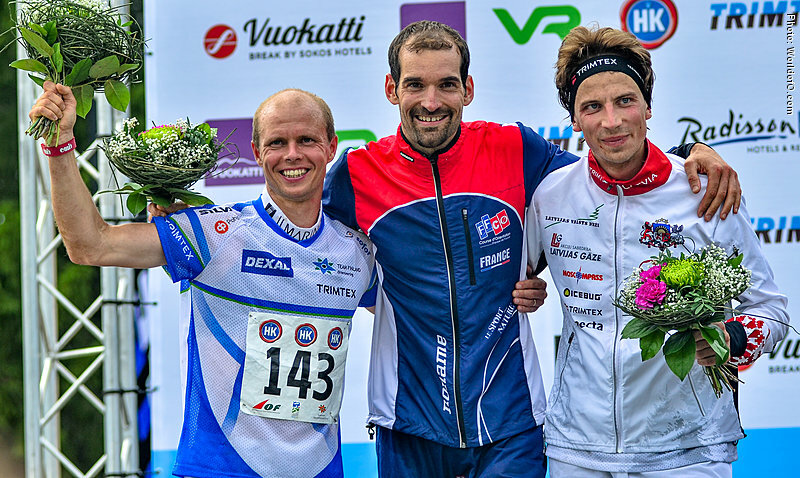 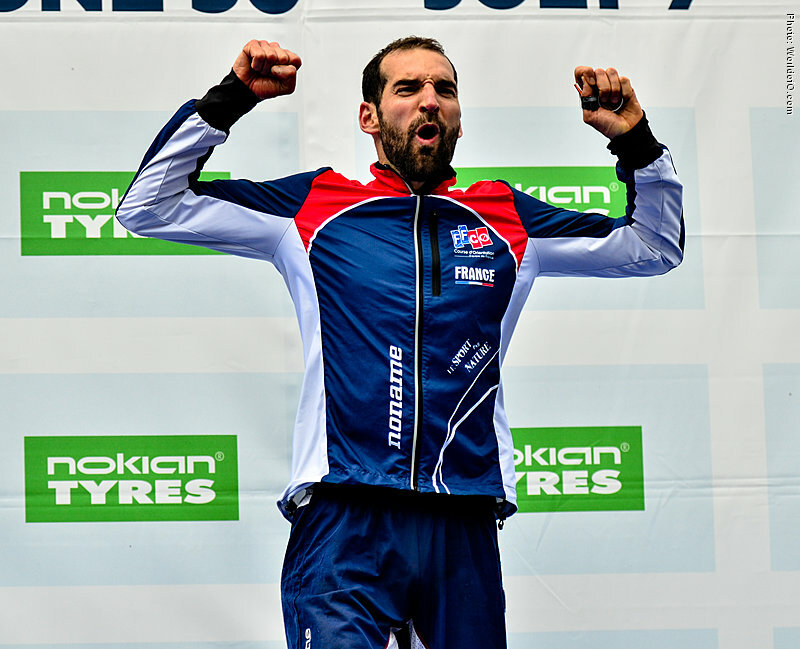 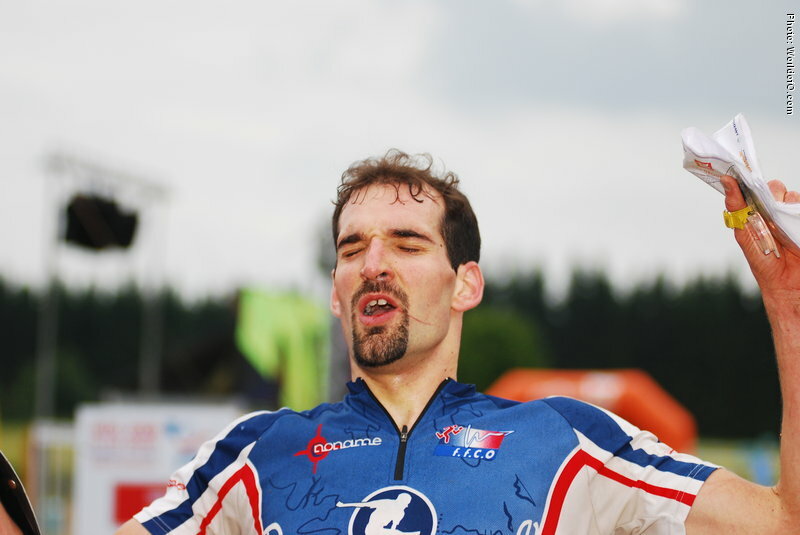 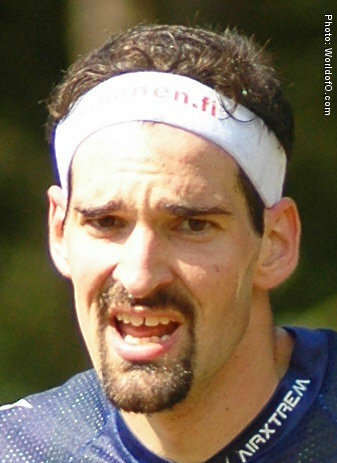 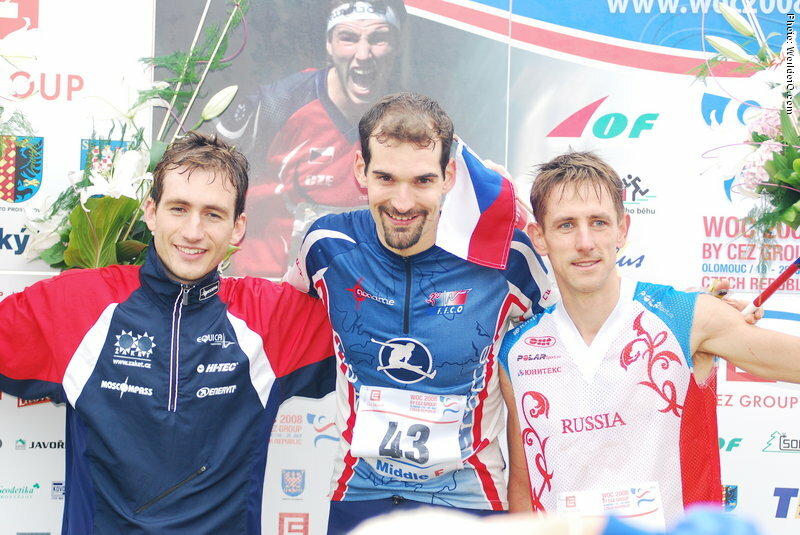 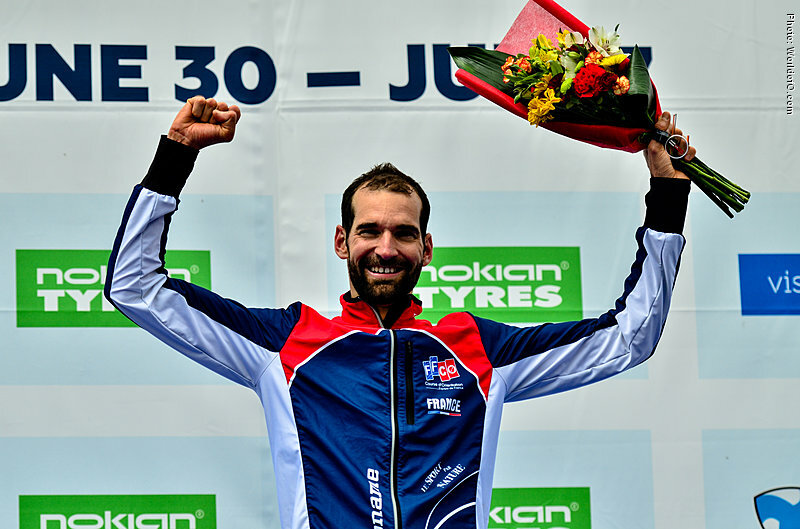 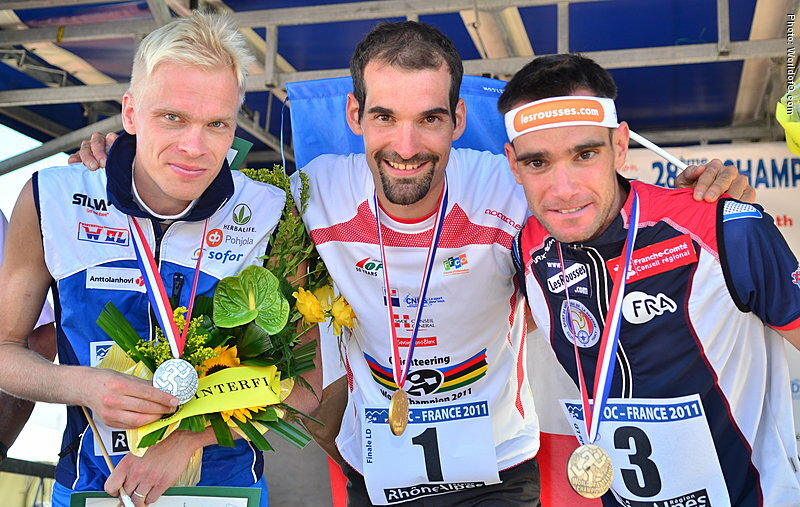 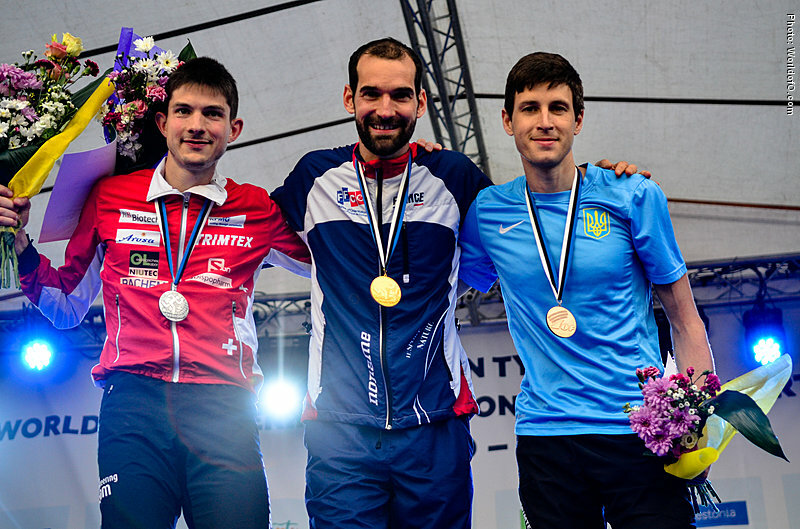 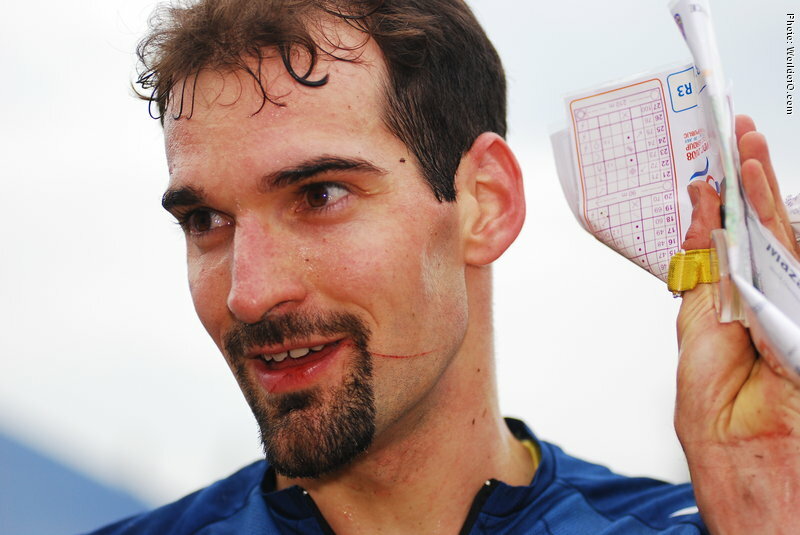 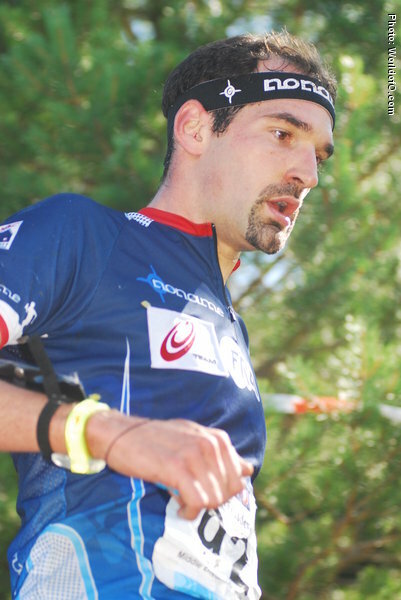 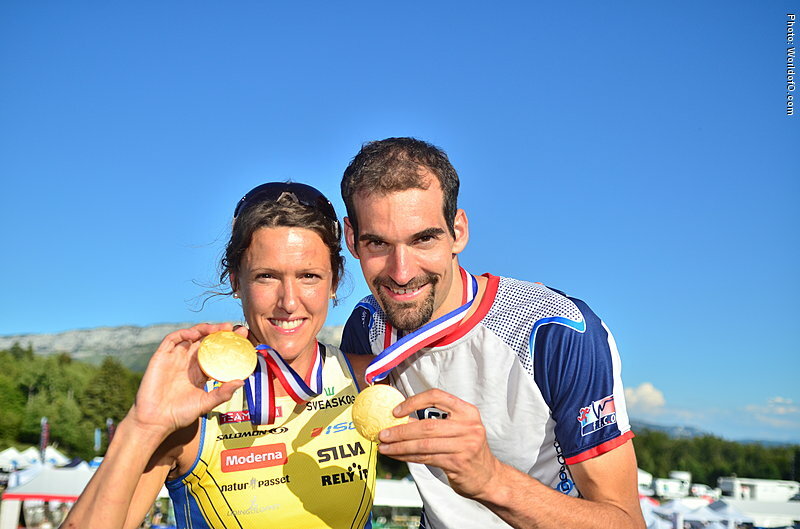 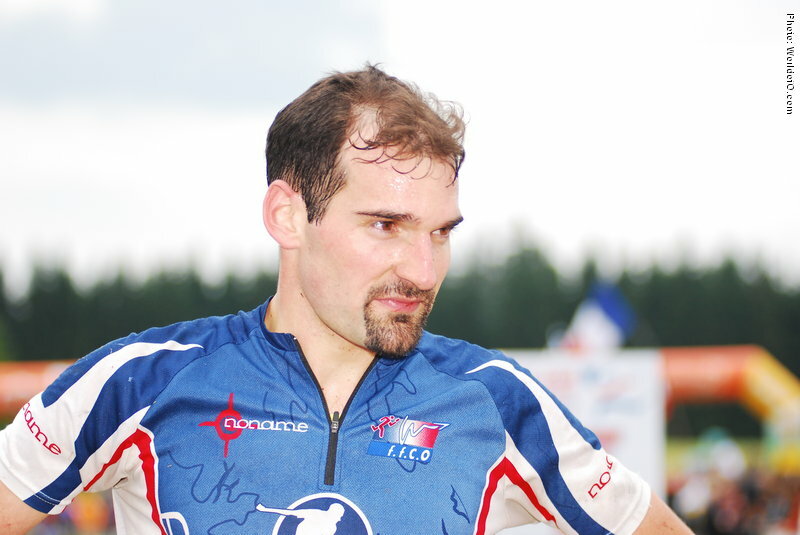 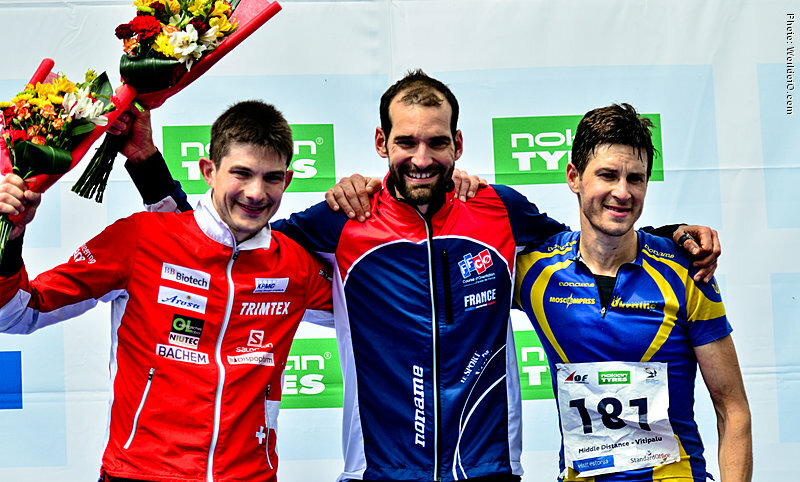 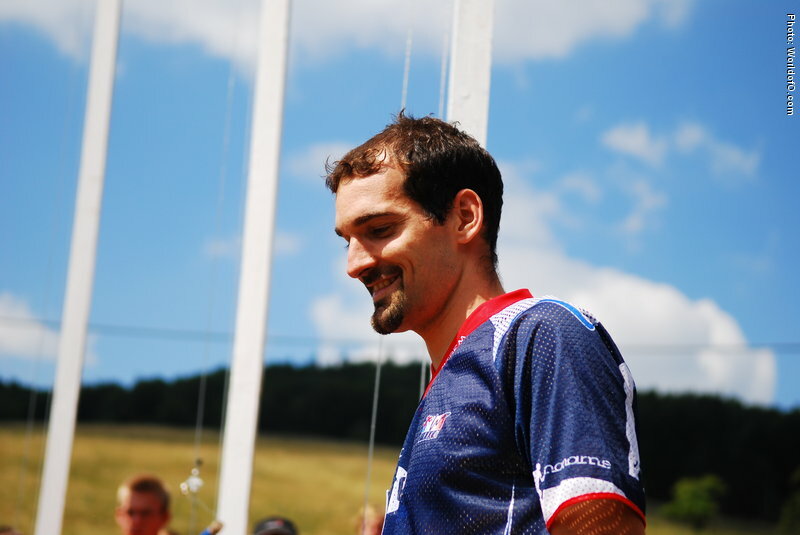 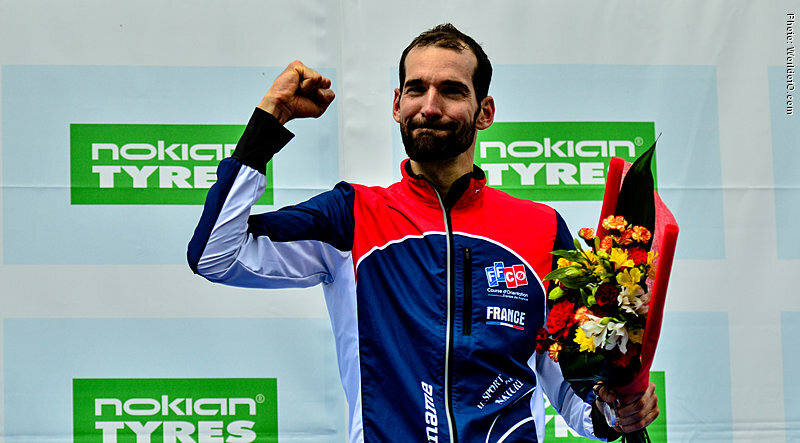 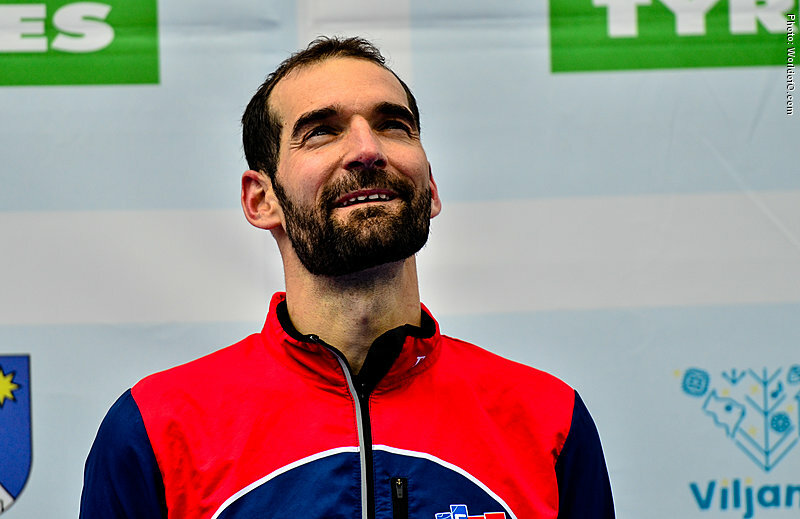 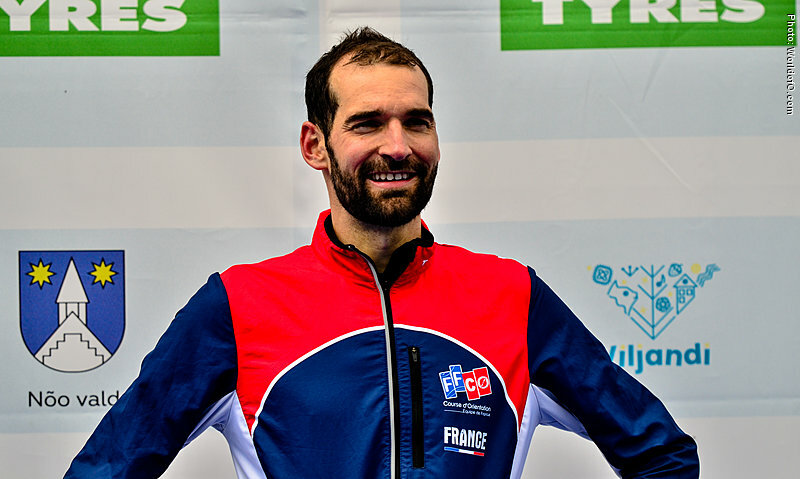 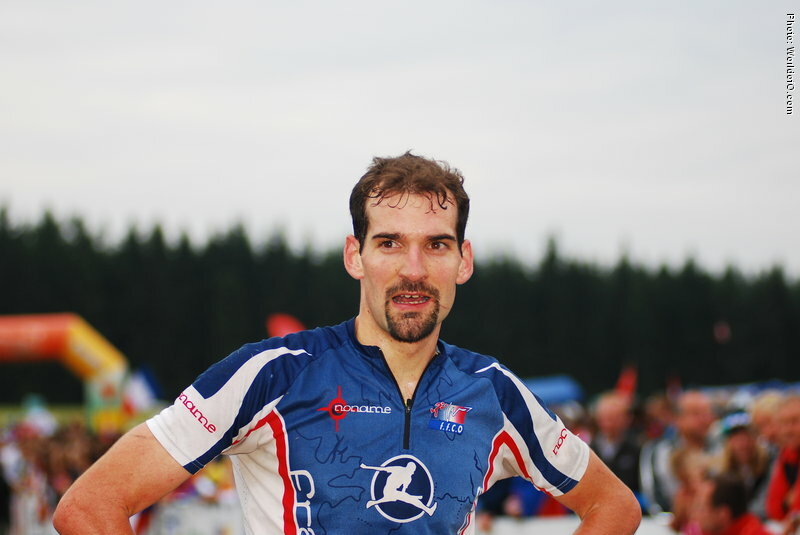 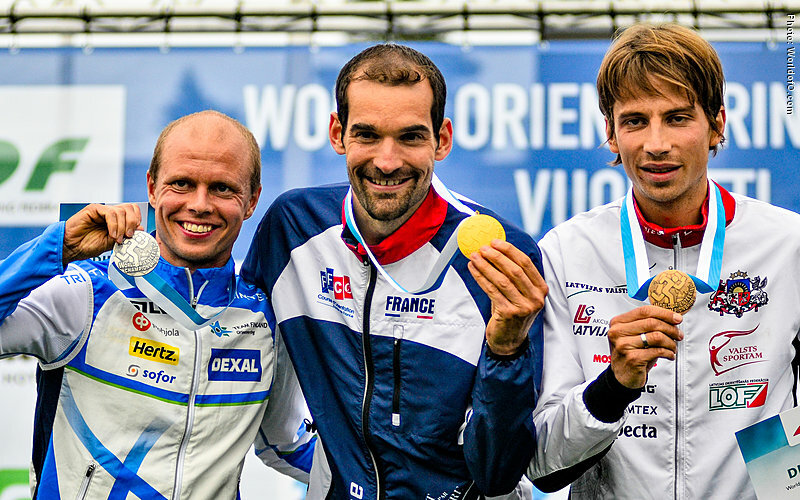 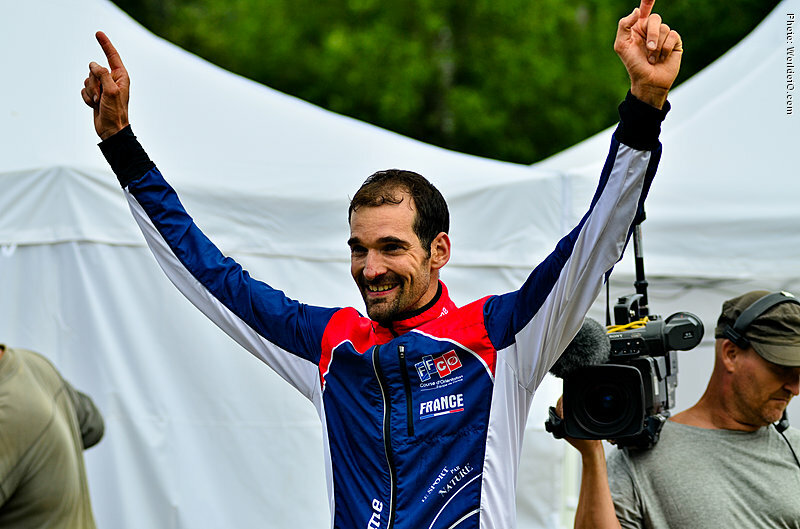 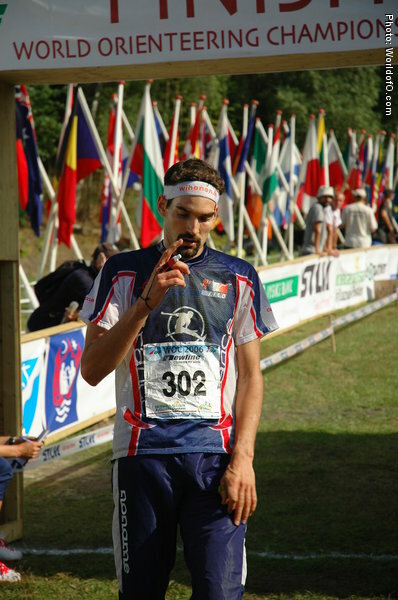 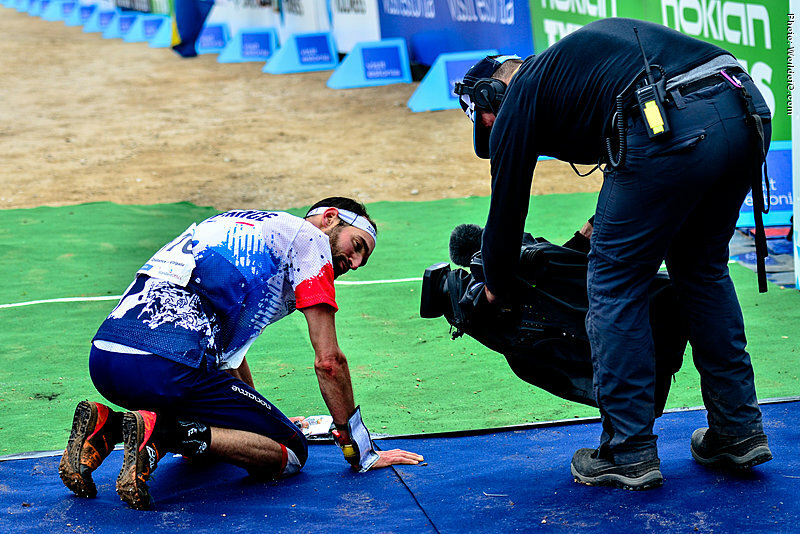 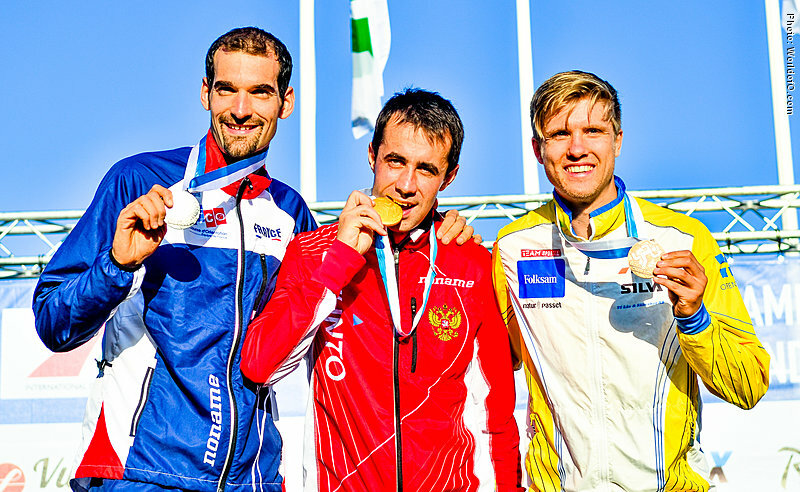 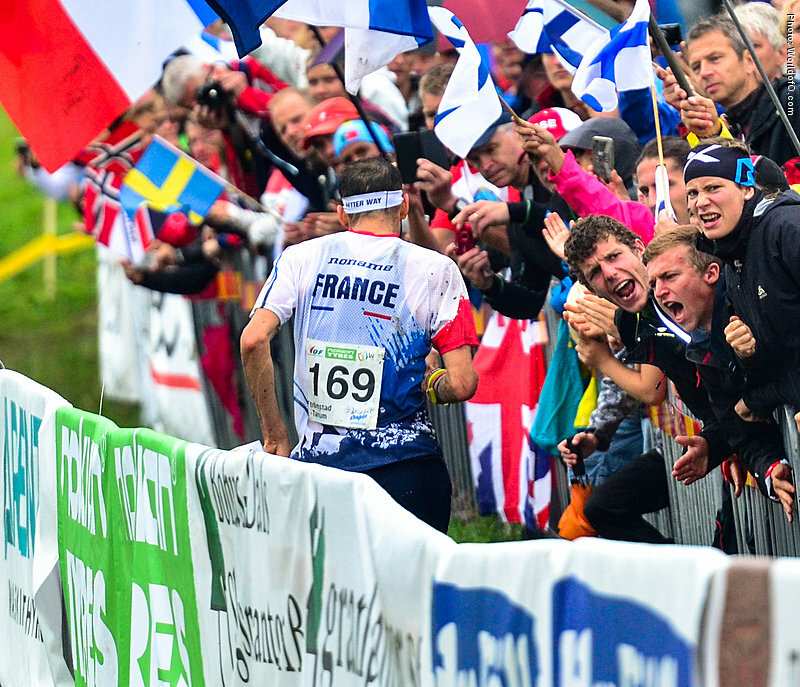 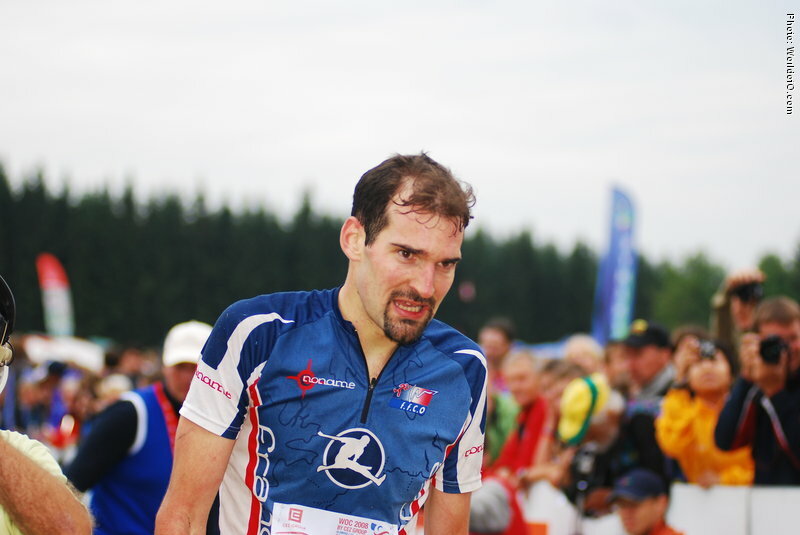 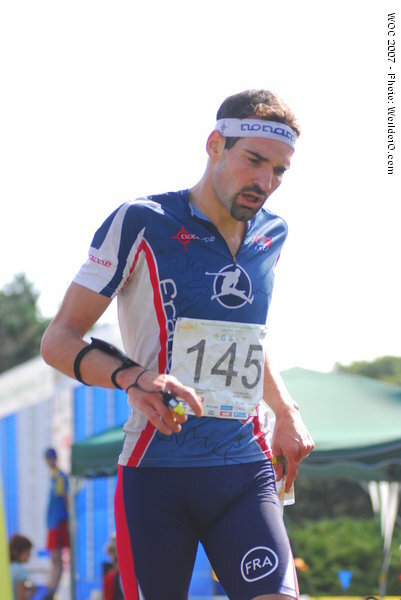 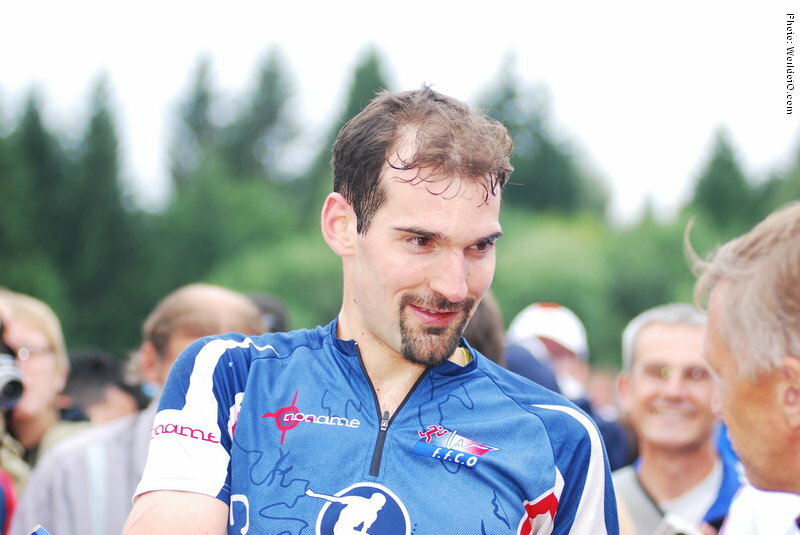 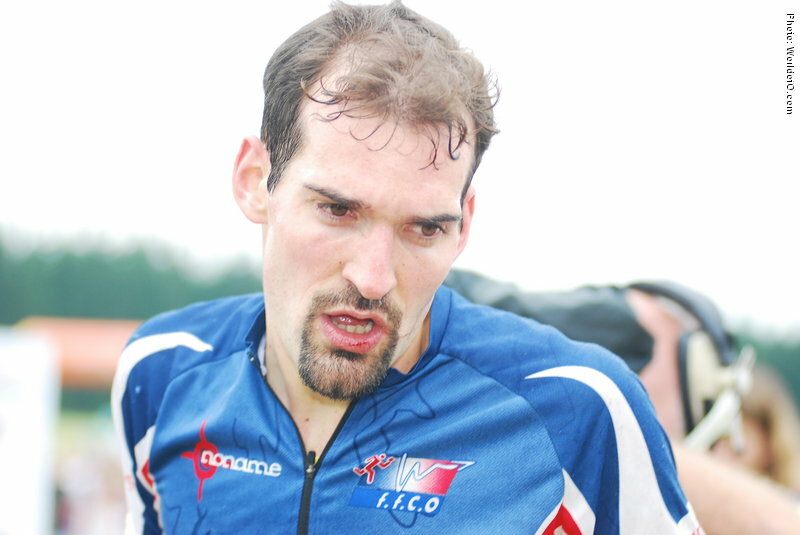 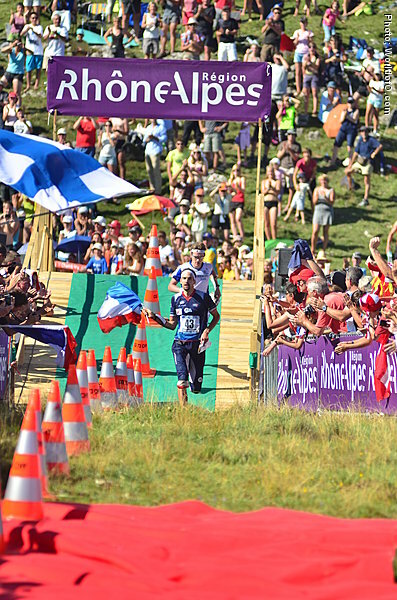 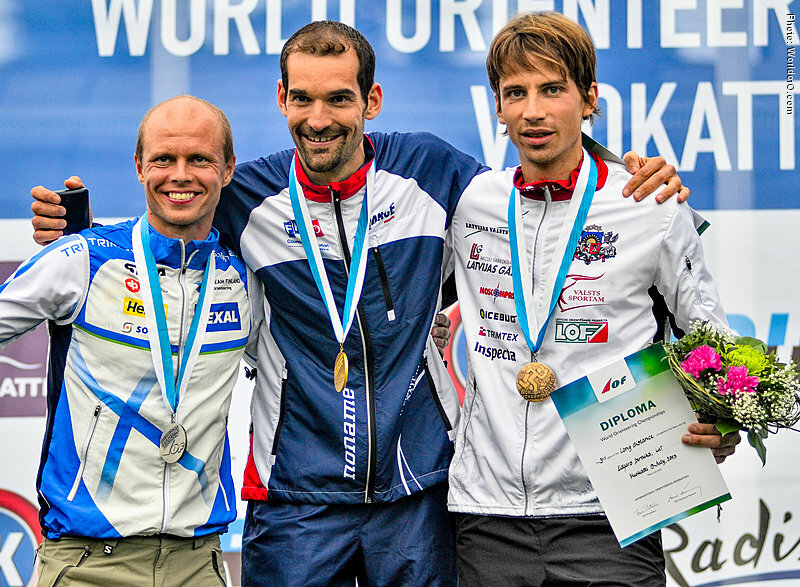 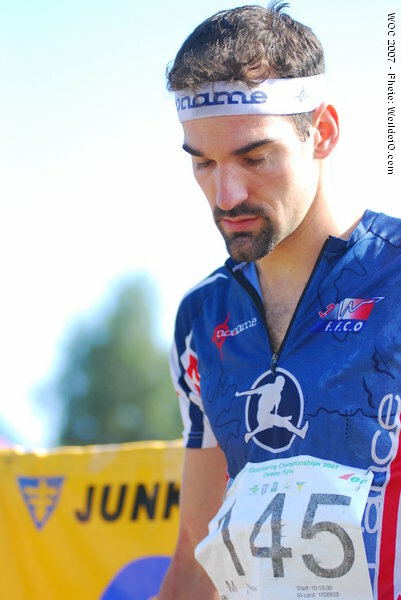 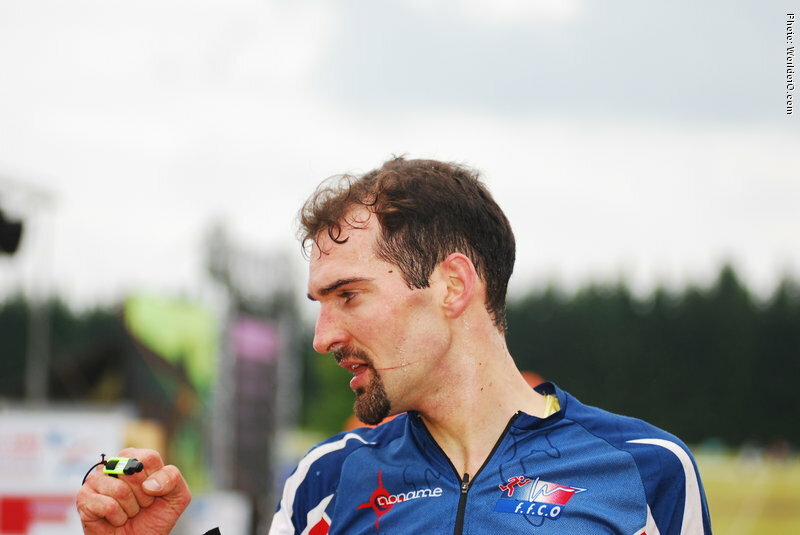 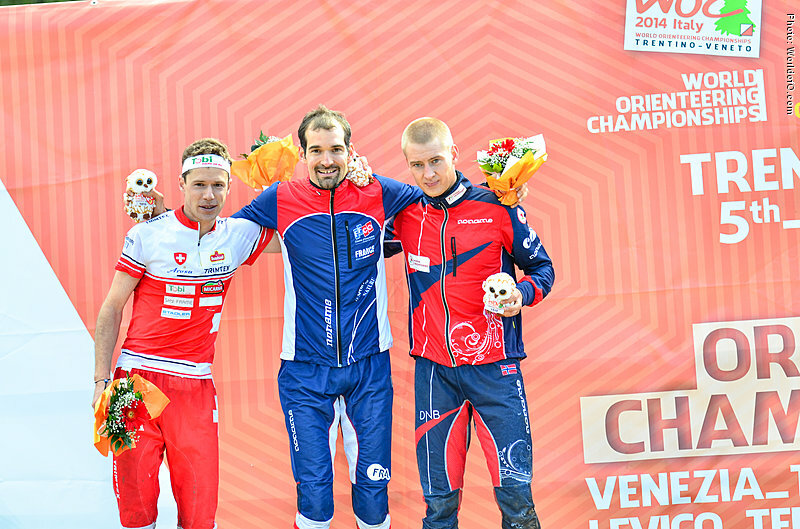 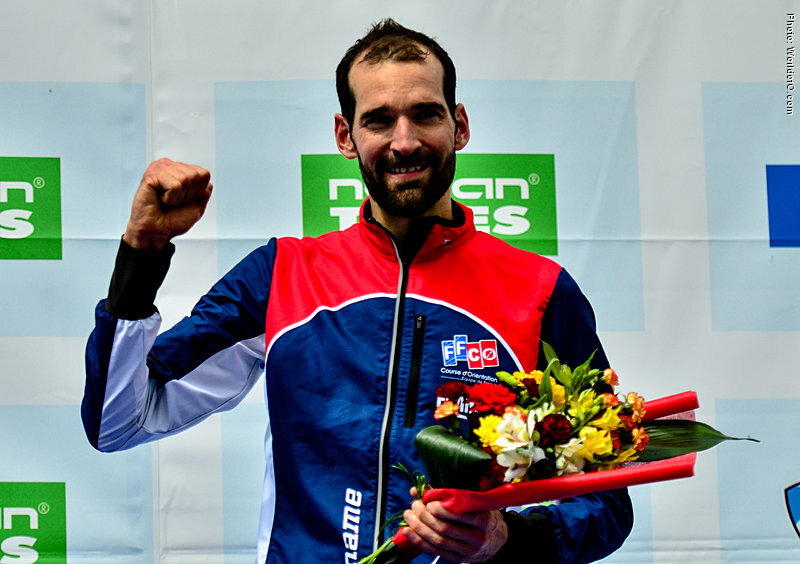 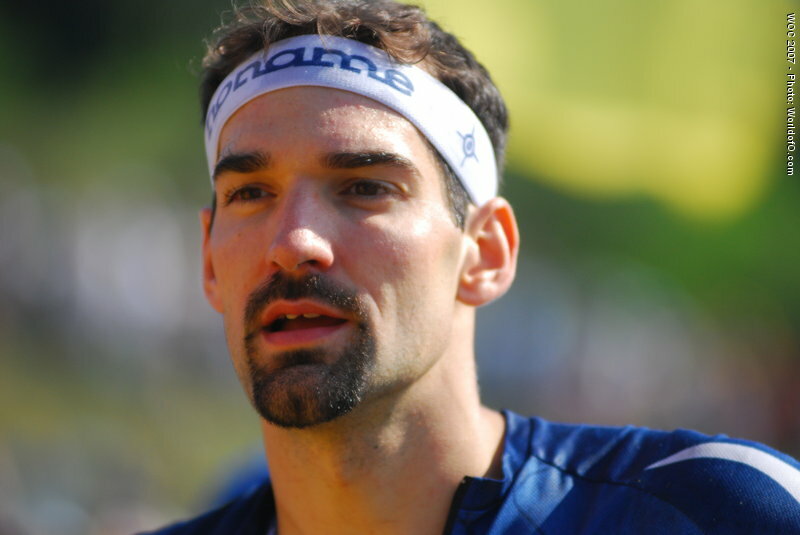 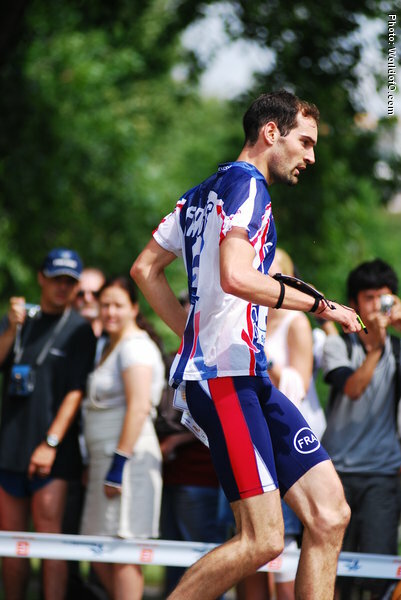 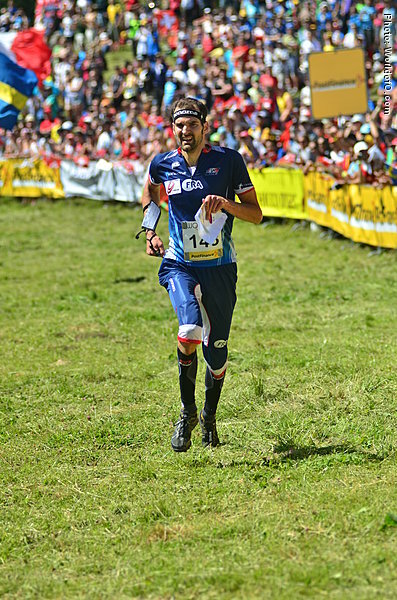 After the 2010 failure ("only" bronze in WOC middle and long) he came back winning two individual gold medals in France. 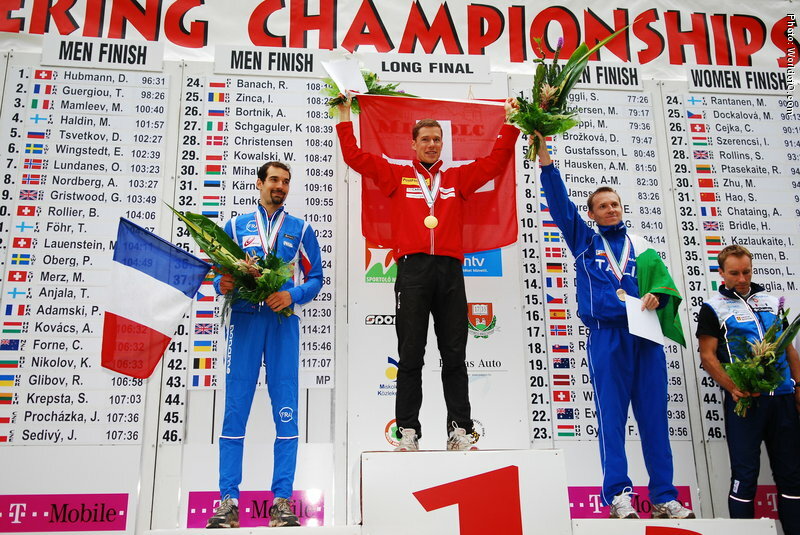 First time on top in the World Championships in 2003 winning the middle with almost three(!) 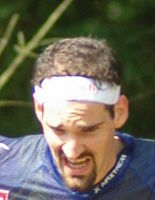 minutes - and first failure in 2006. 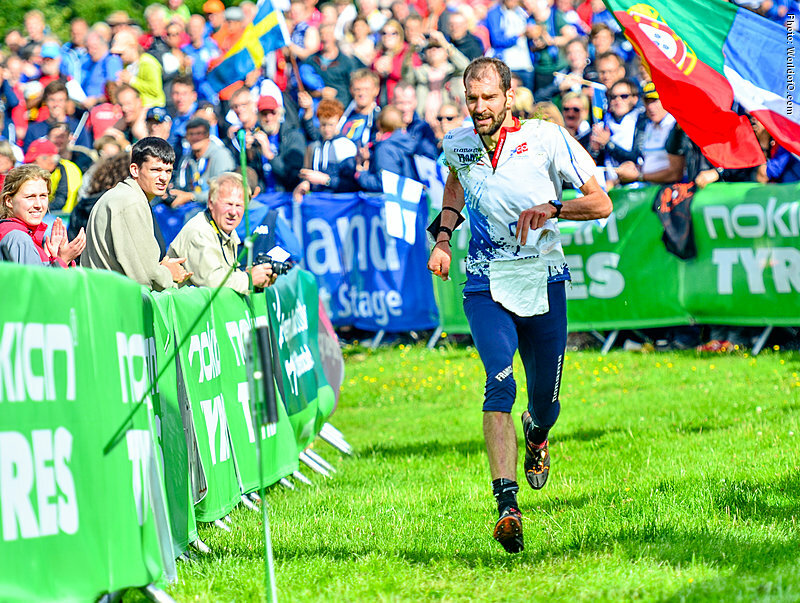 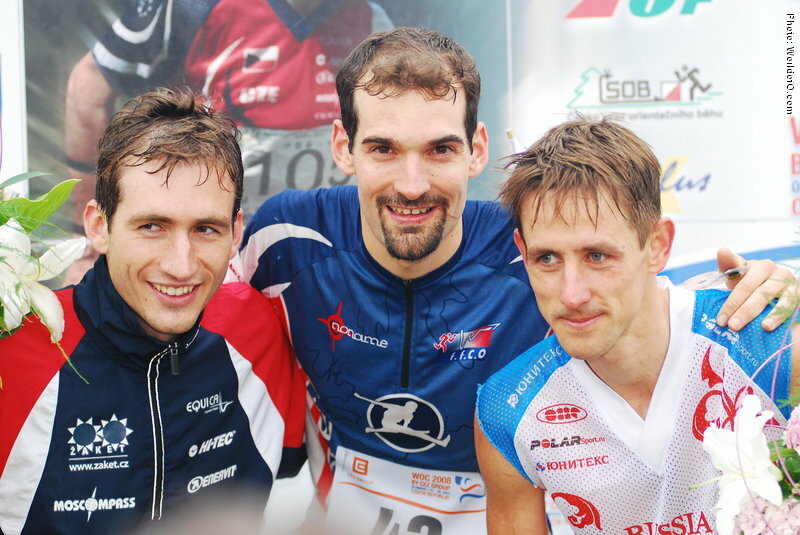 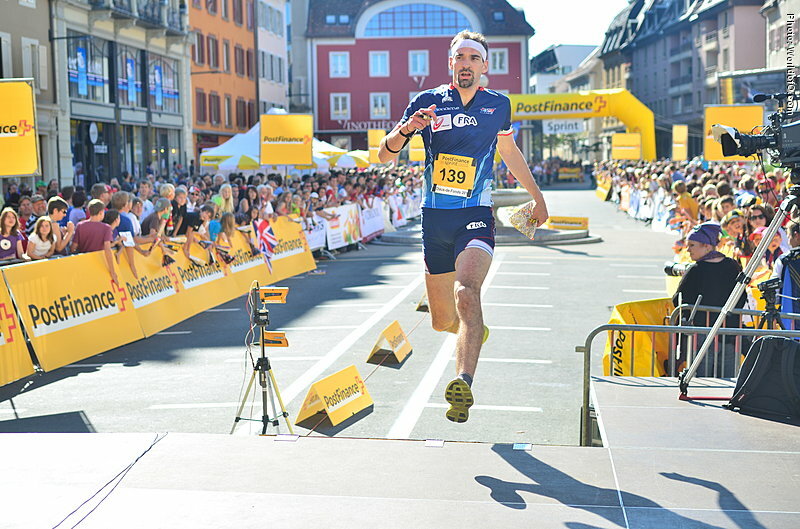 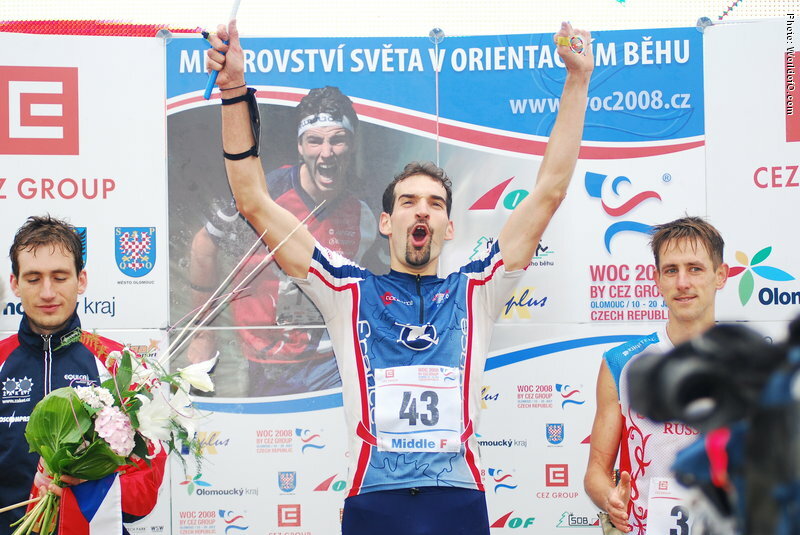 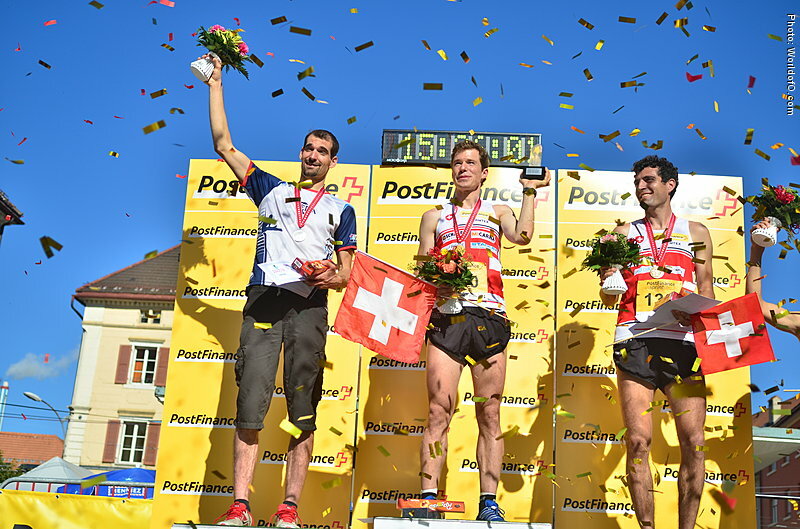 Won five middle championships races in a row (3 Woc, 2 Eoc) between 2003 and 2006, before missing the podium in WOC 2006. 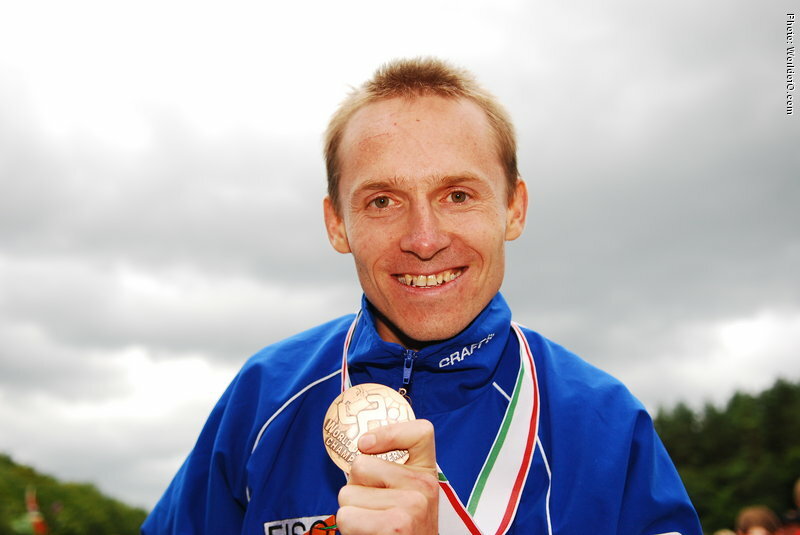 Was back on track in 2007 with gold in sprint and middle, and he was unbeaten in international events the whole season. 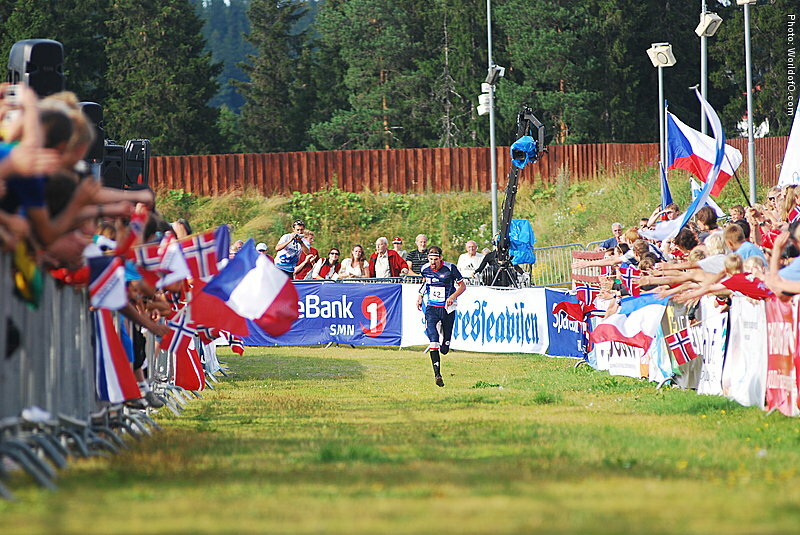 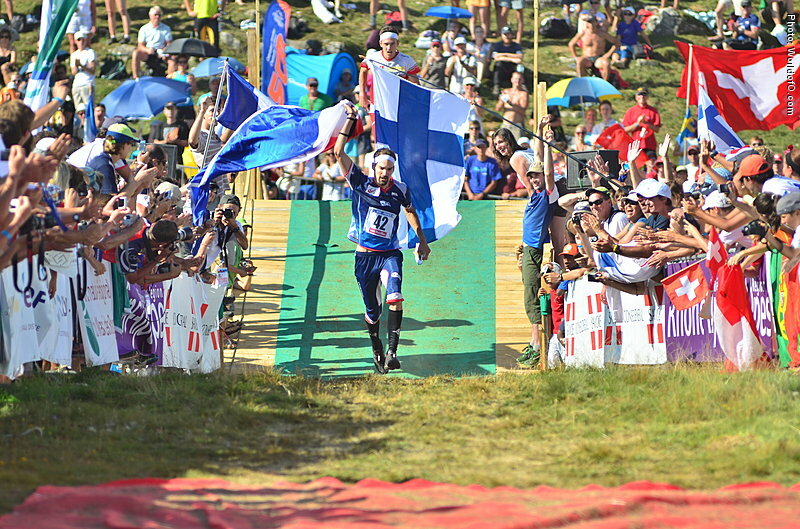 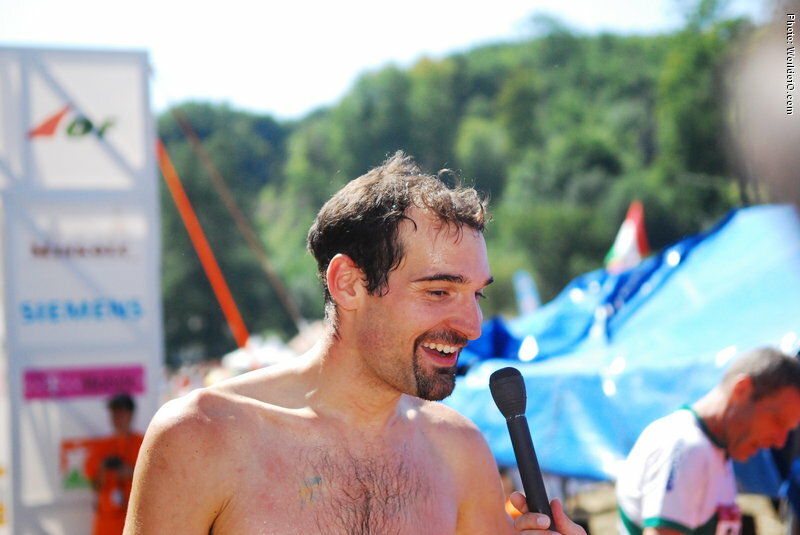 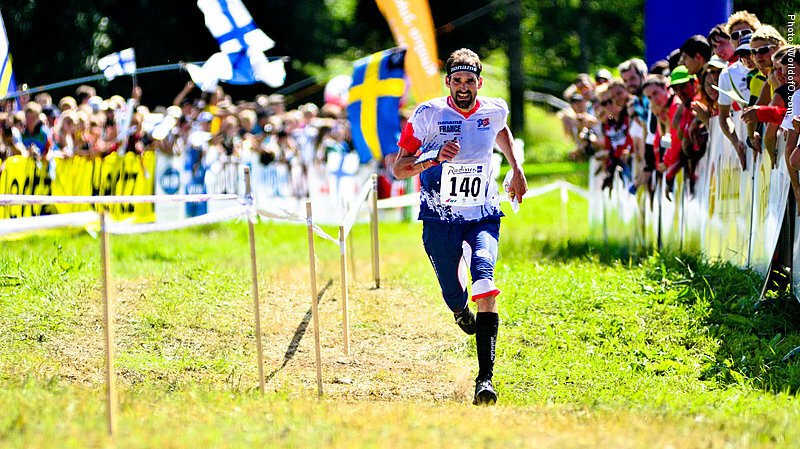 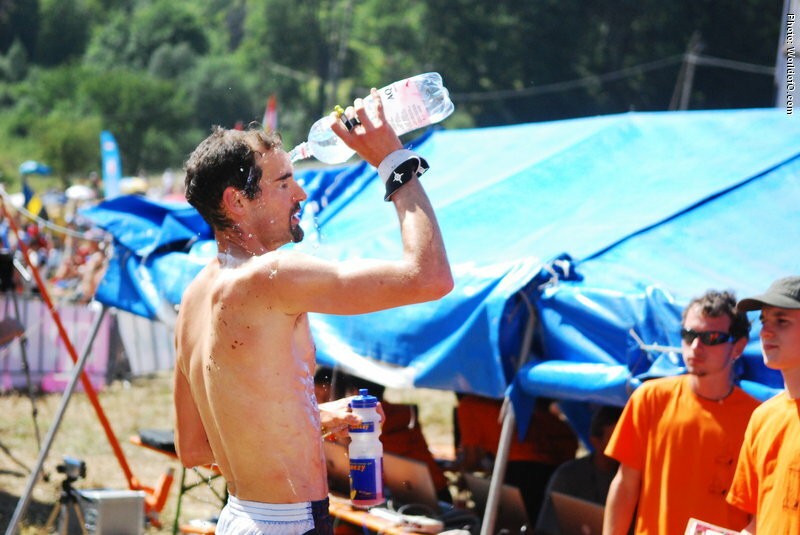 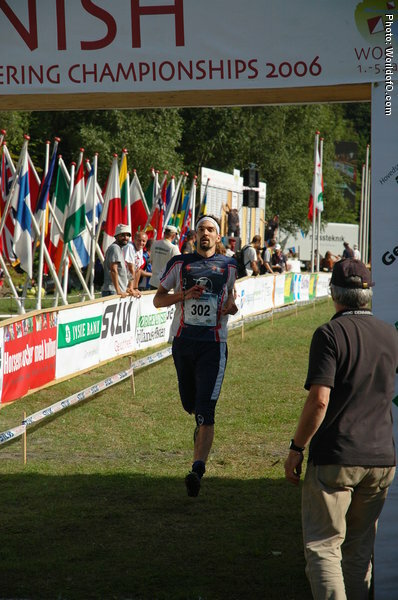 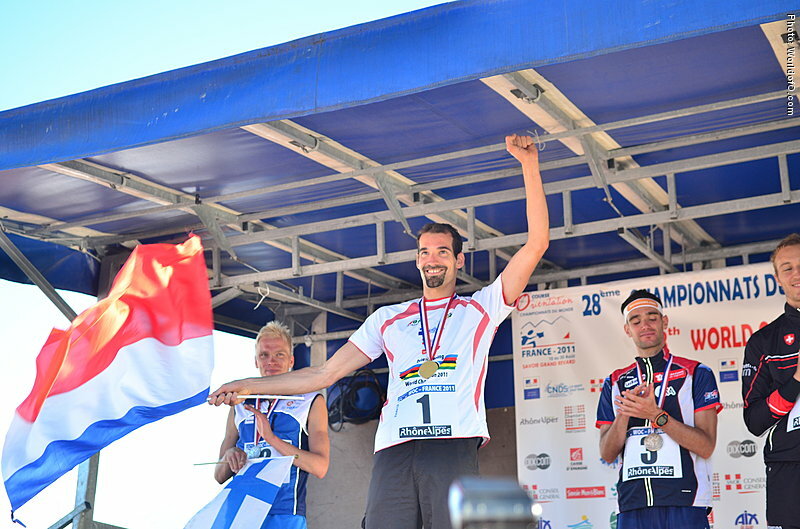 Even won the European Trail-o Champs in July 2007! 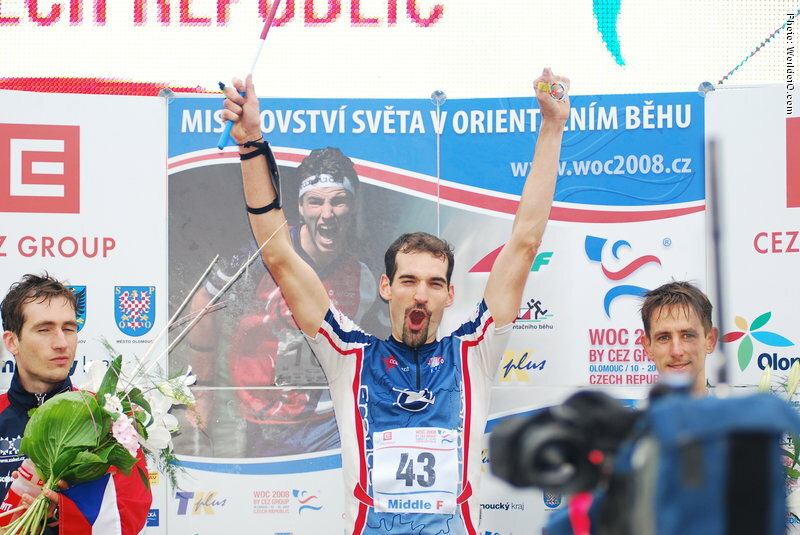 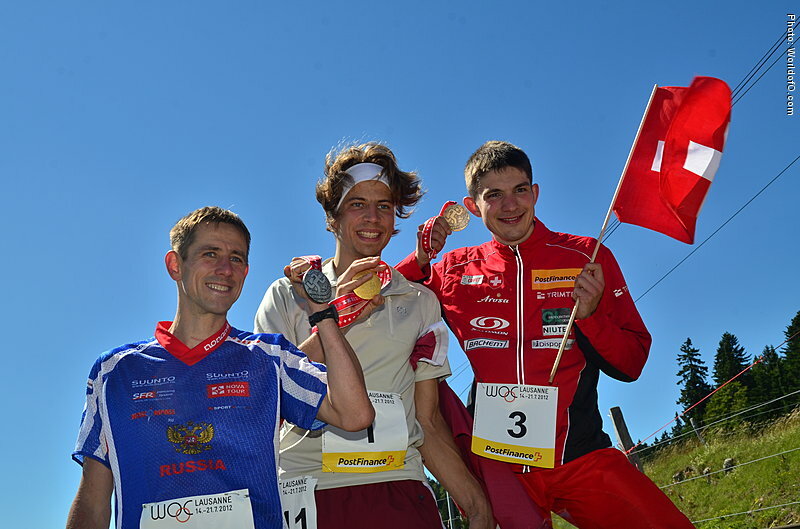 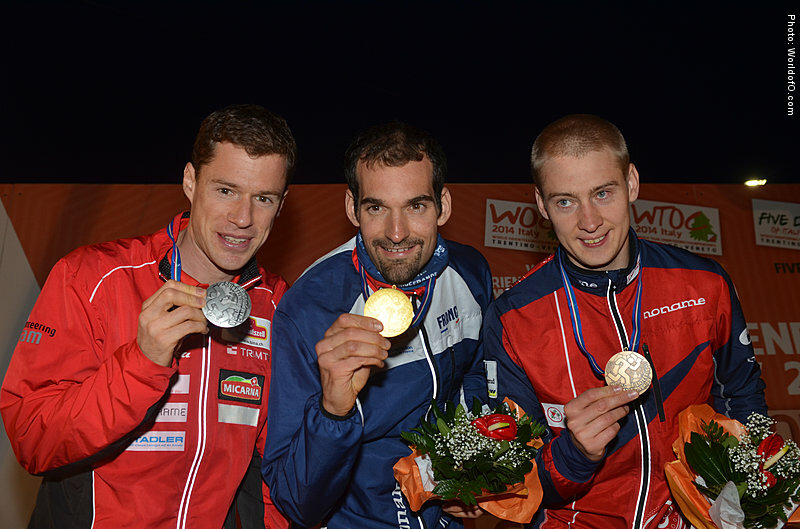 Continued with gold medals at WOC in both 2008 and 2009. 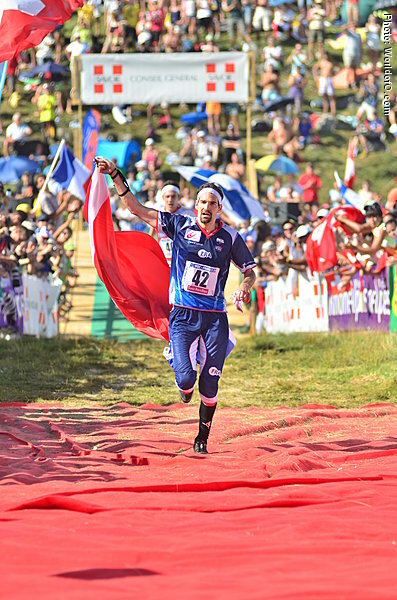 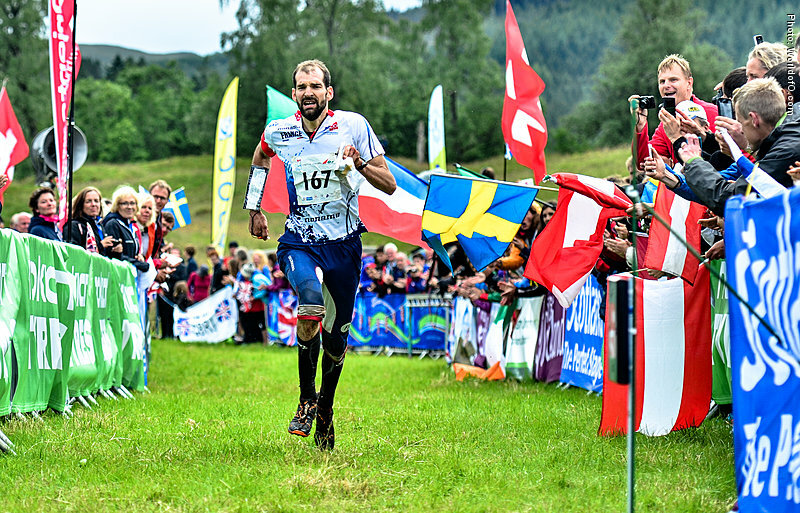 Did not manage to repeat this in WOC in Trondheim in nordic terrain in 2010 - finishing 3rd - and also 3rd in the long distance in 2010. 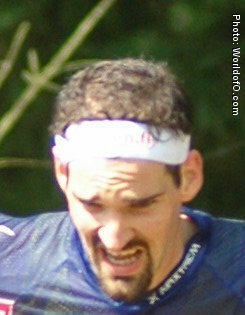 Almost secured a relay win for the French team in 2008. 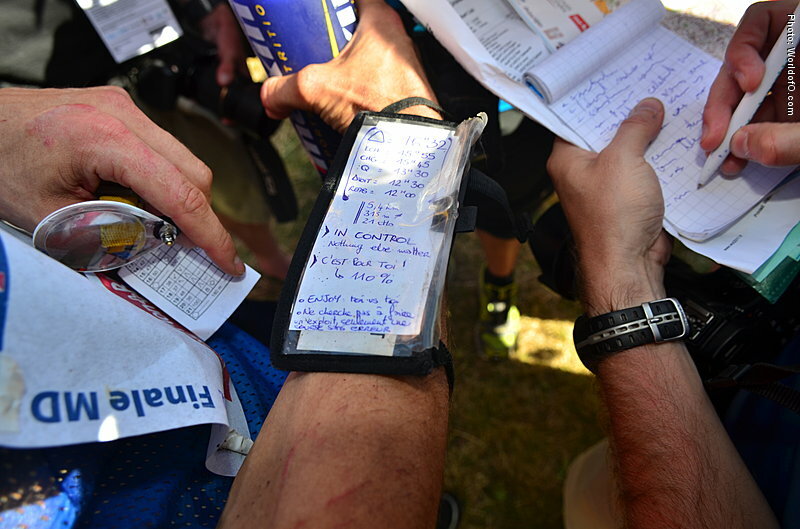 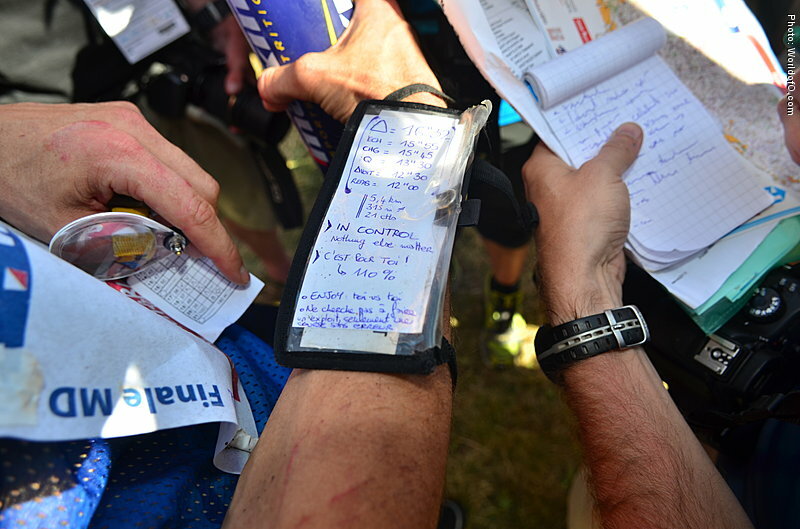 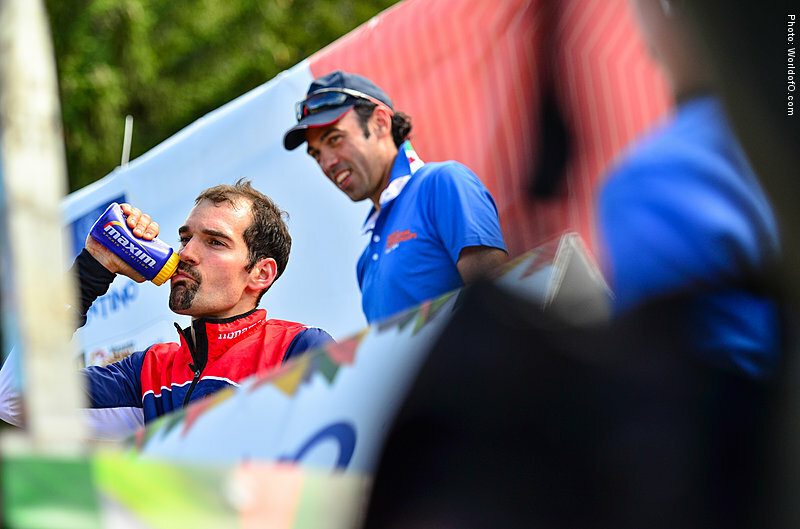 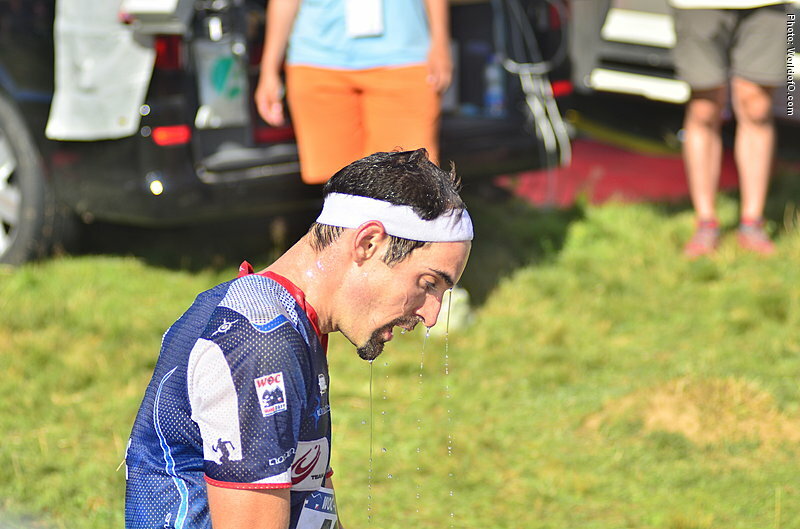 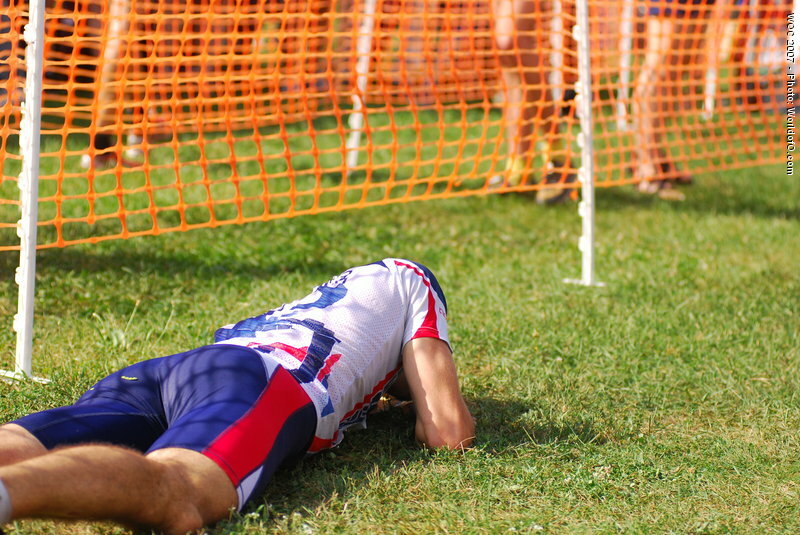 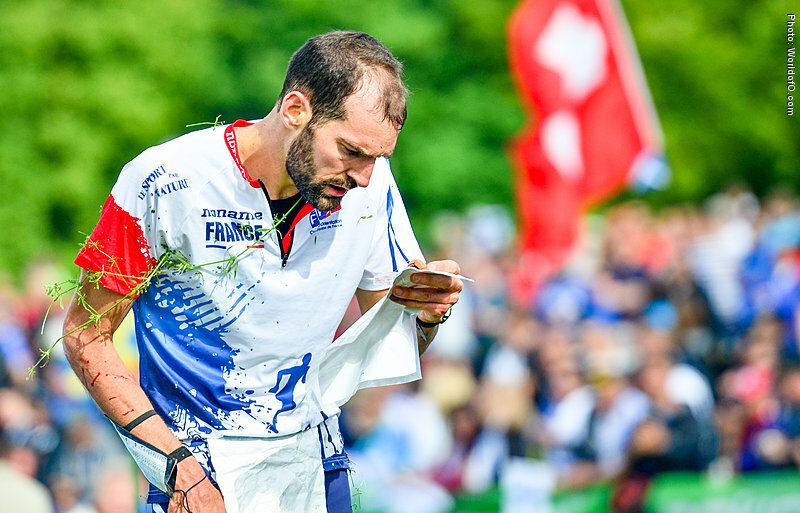 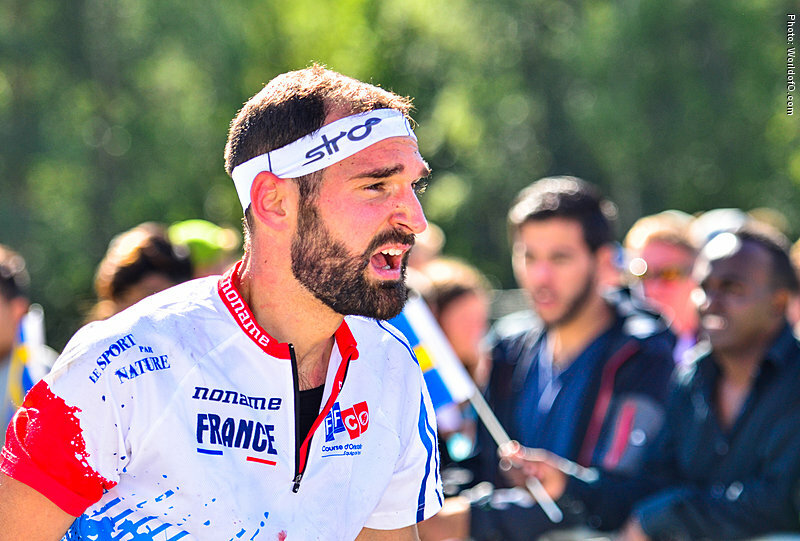 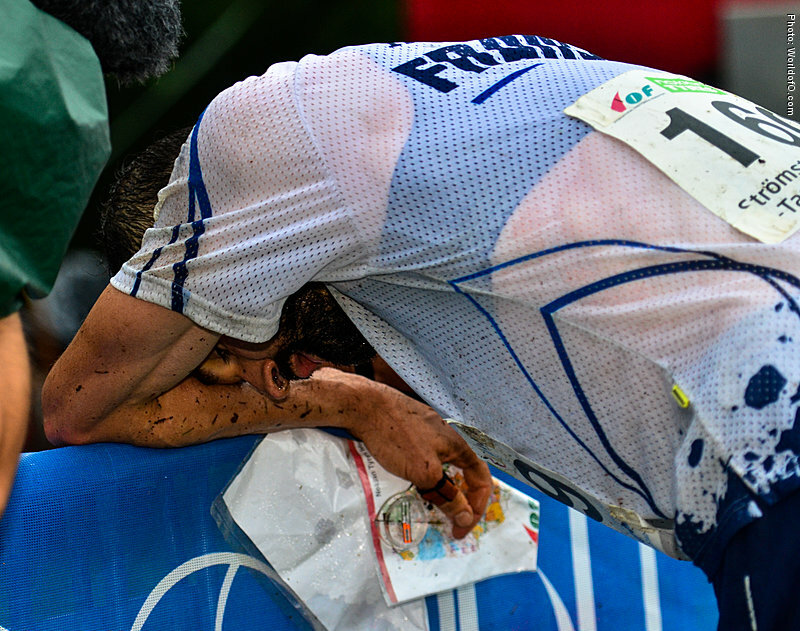 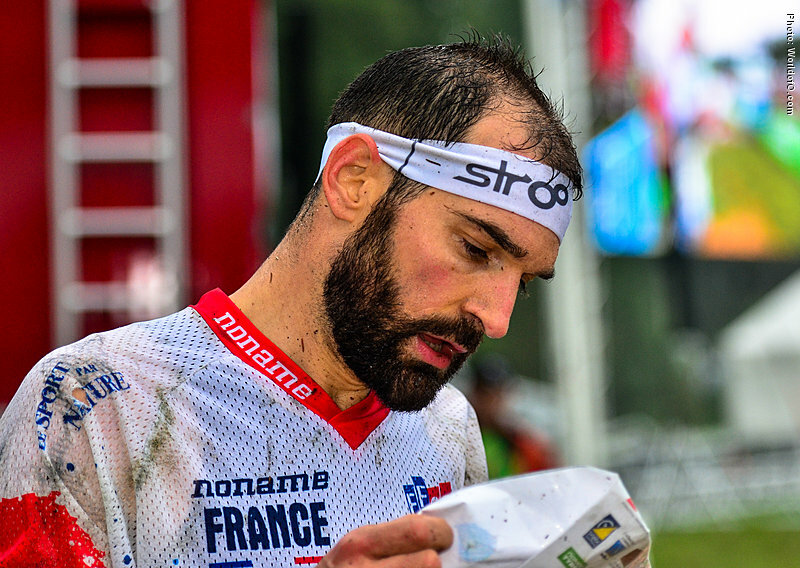 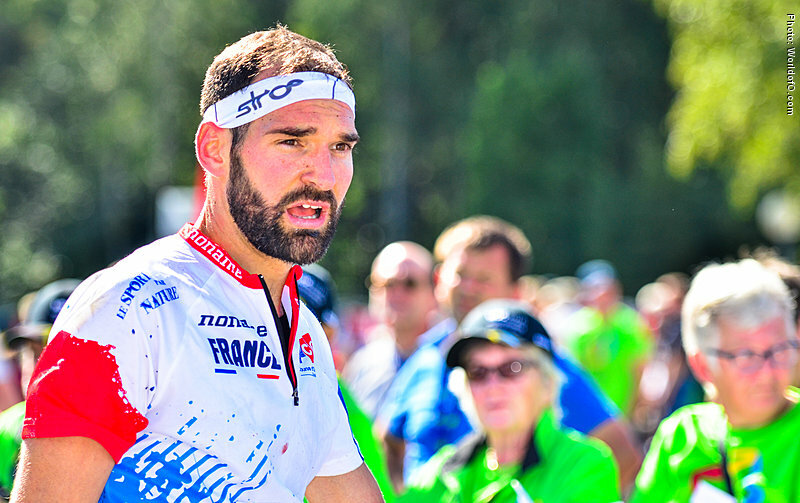 Thierry was leading with just 1km to go when he was stung by an insect and could not complete the race. 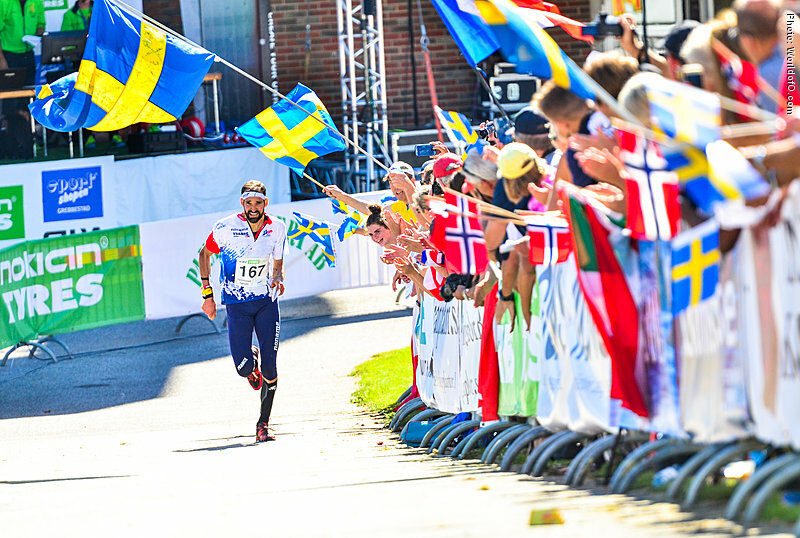 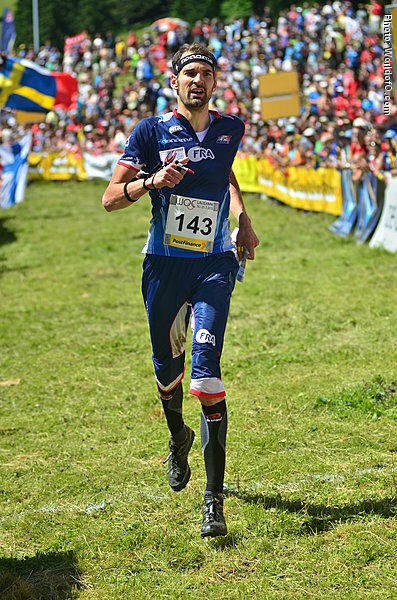 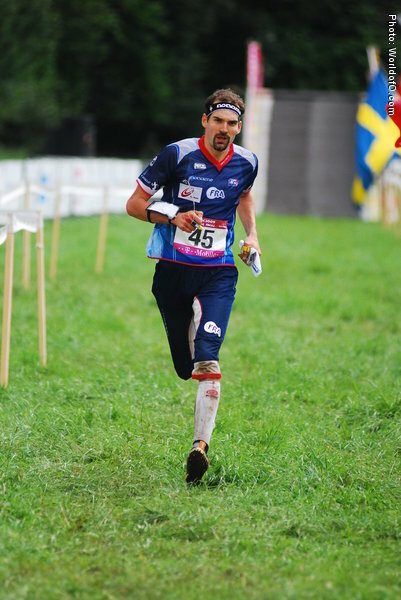 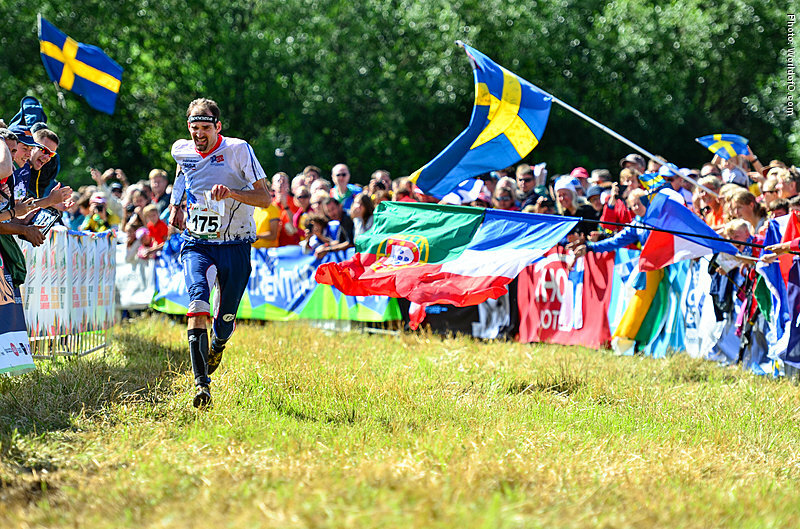 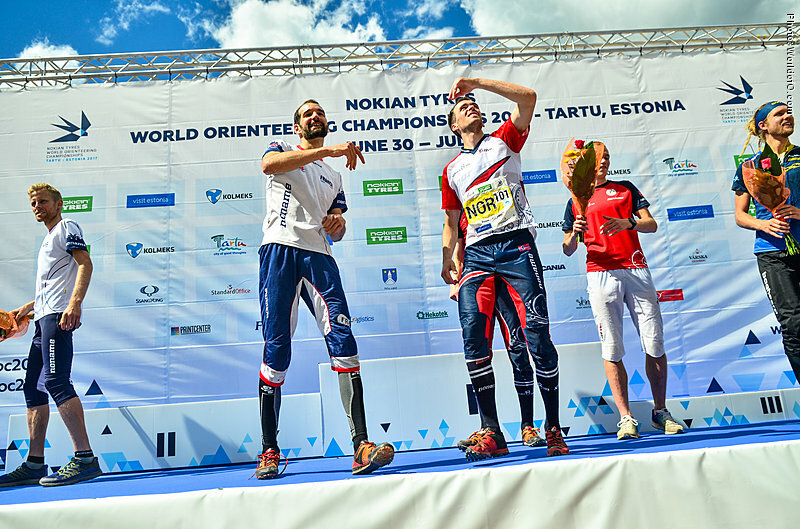 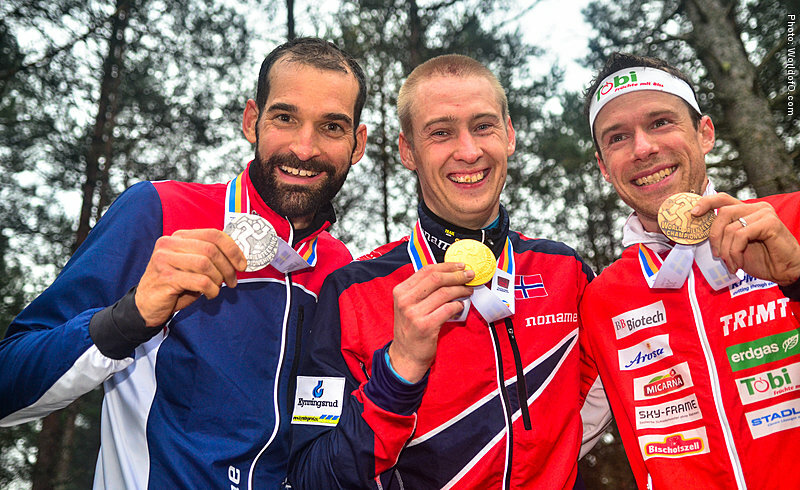 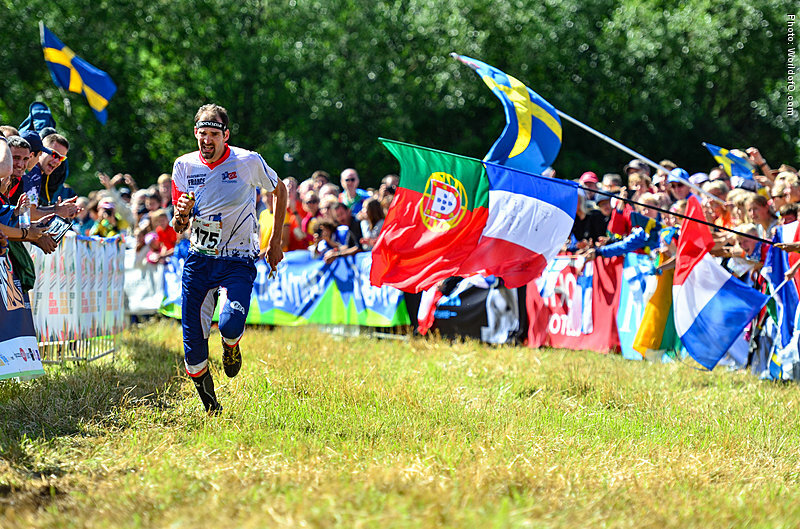 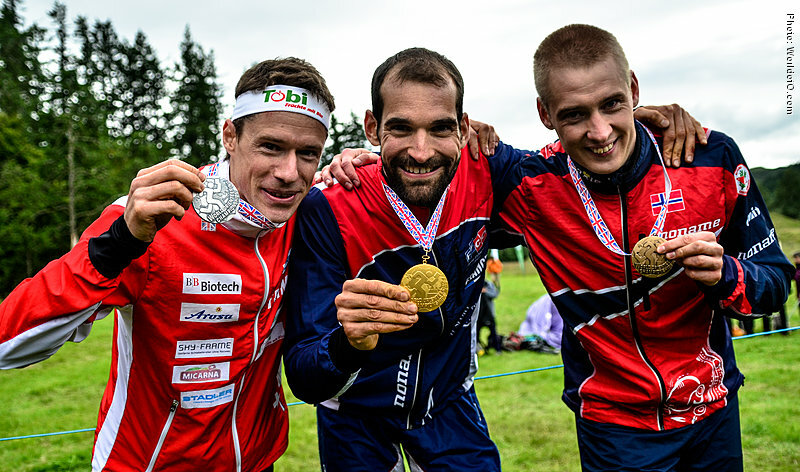 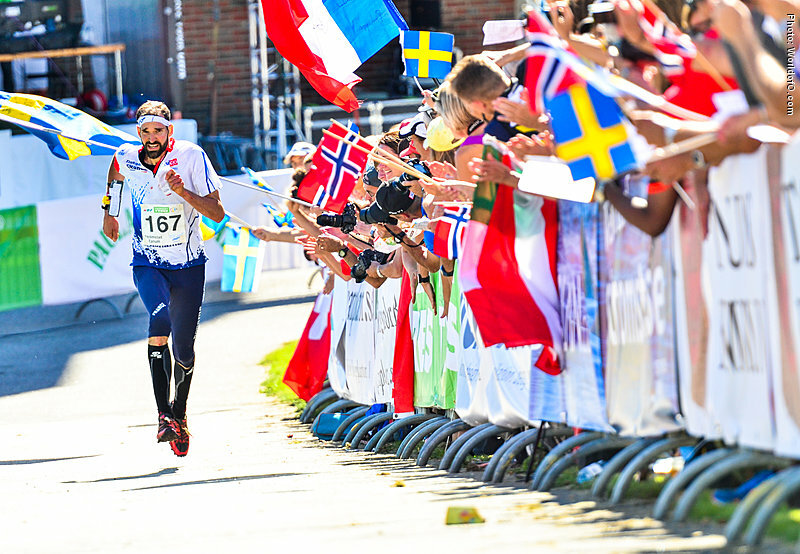 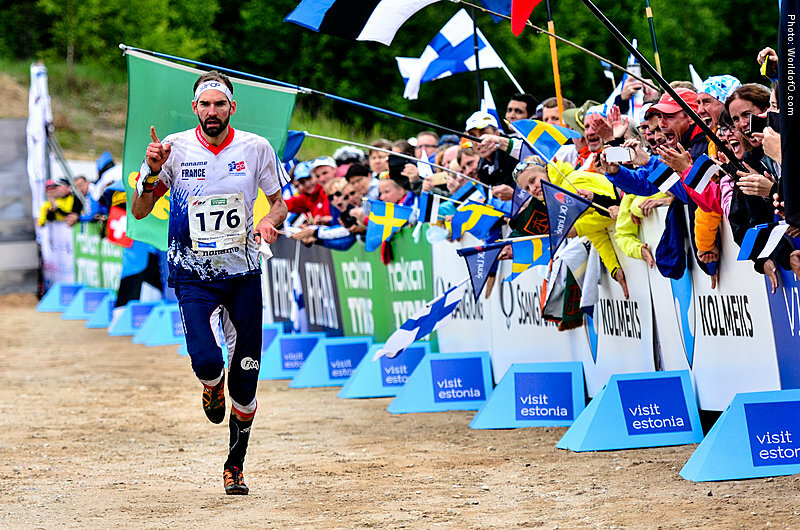 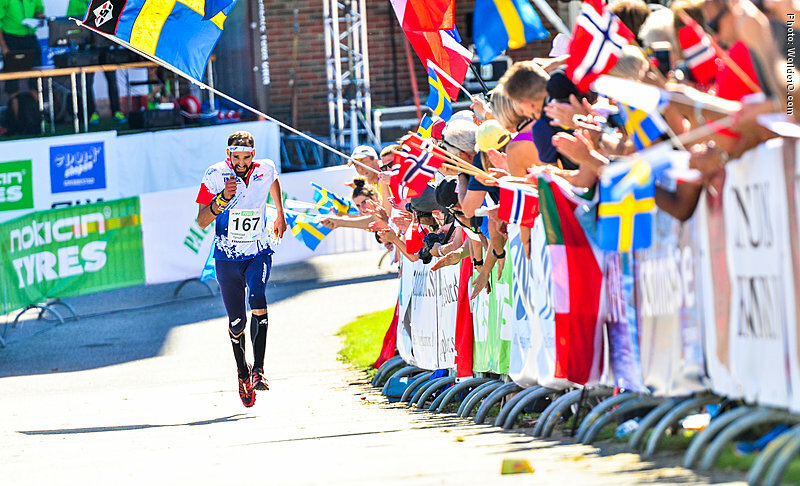 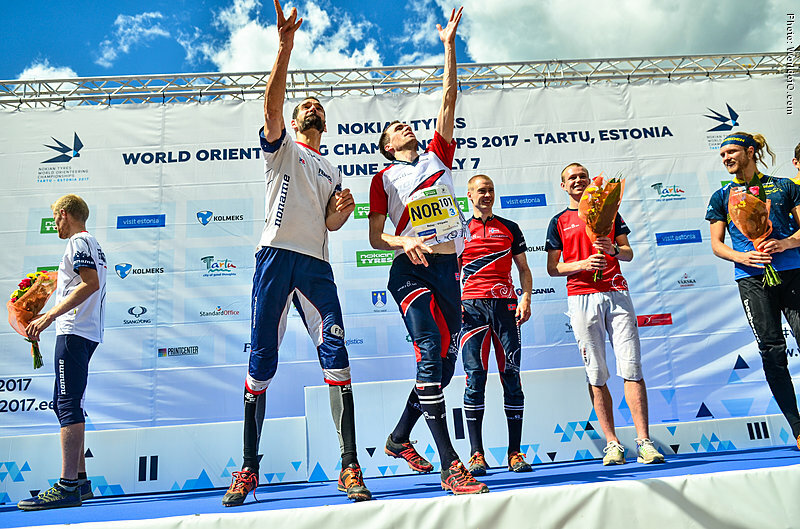 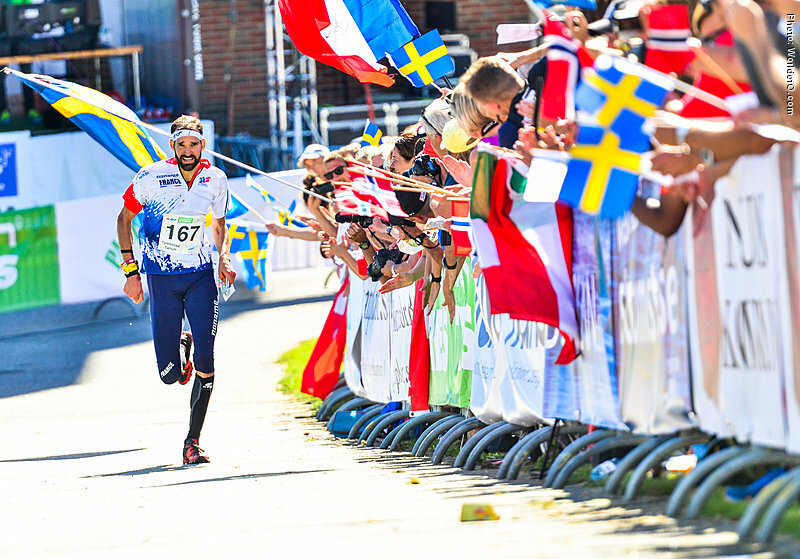 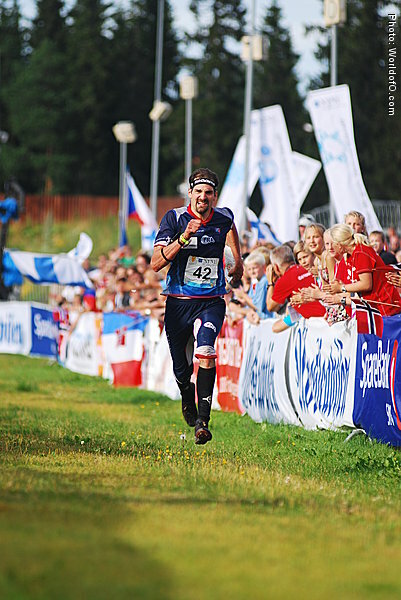 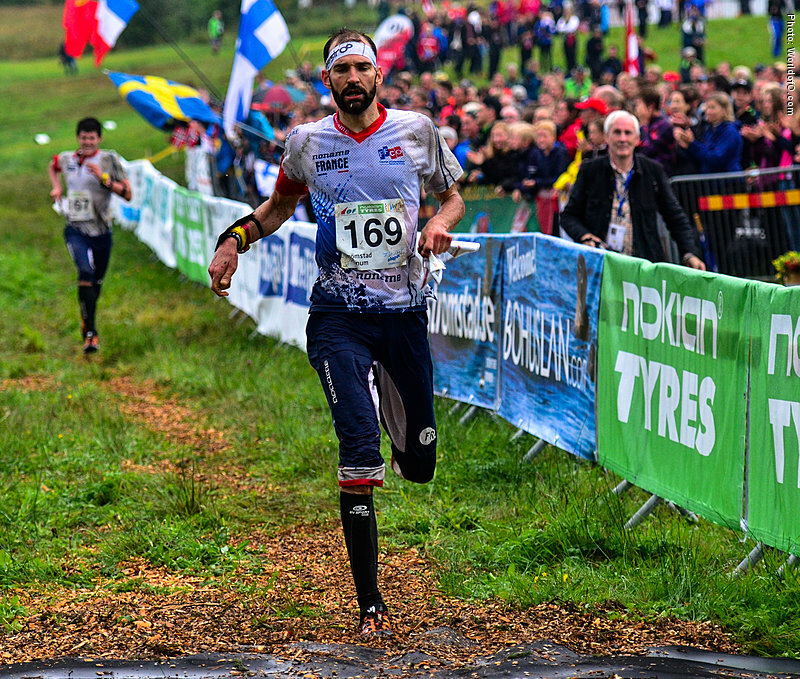 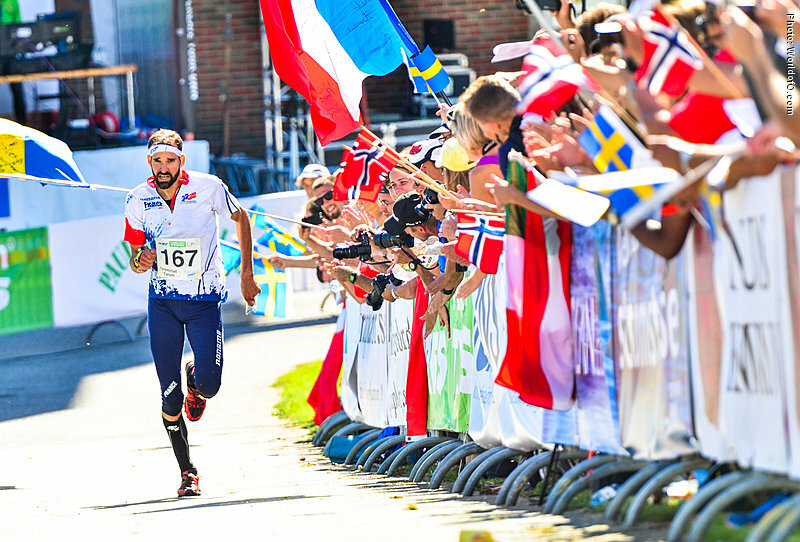 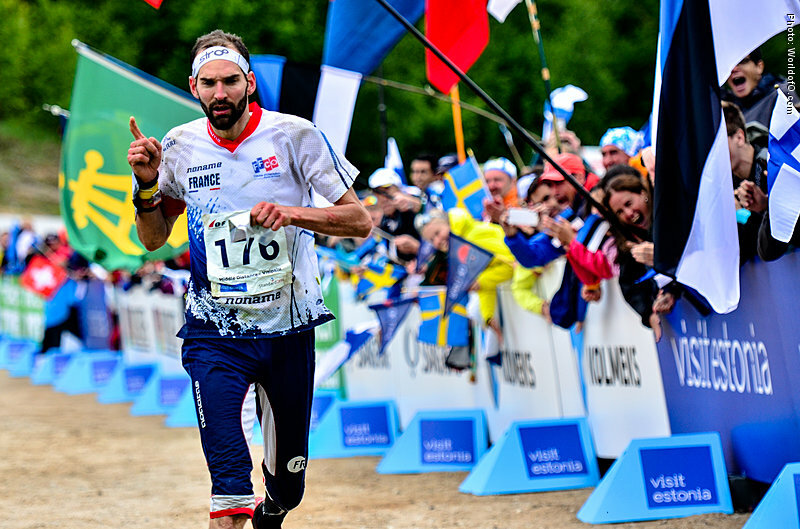 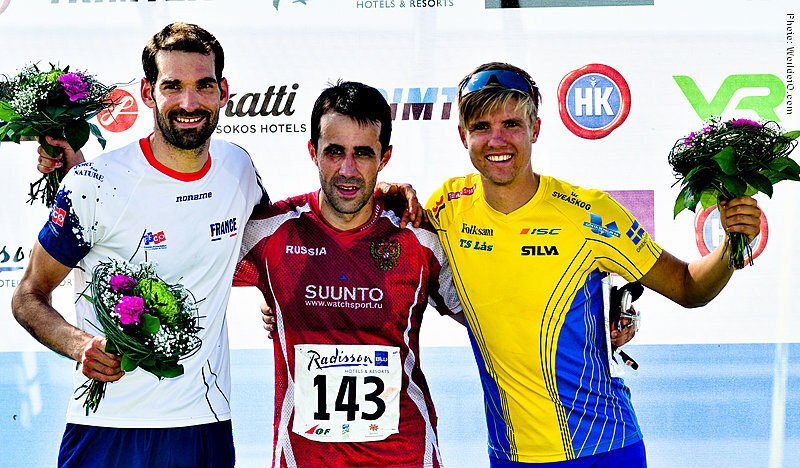 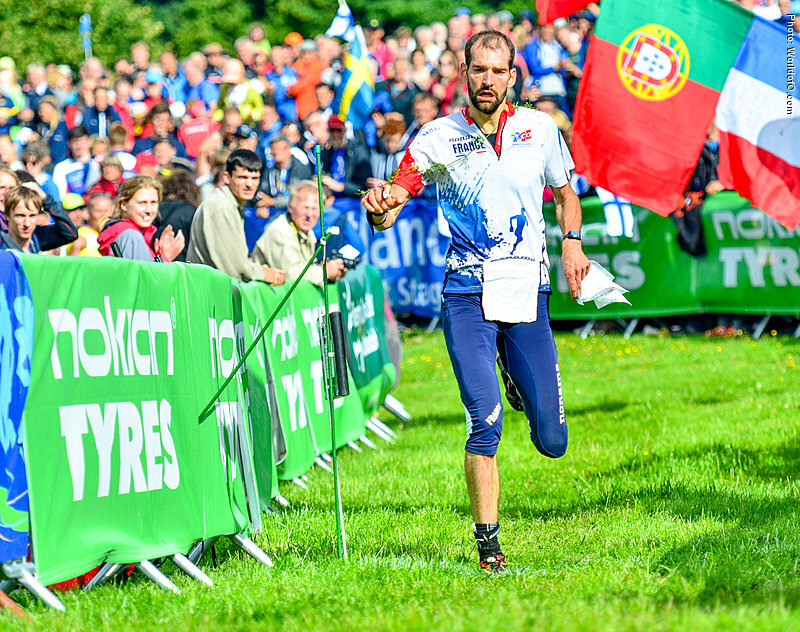 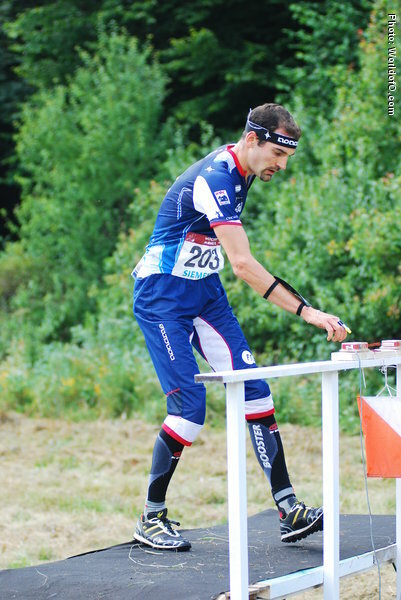 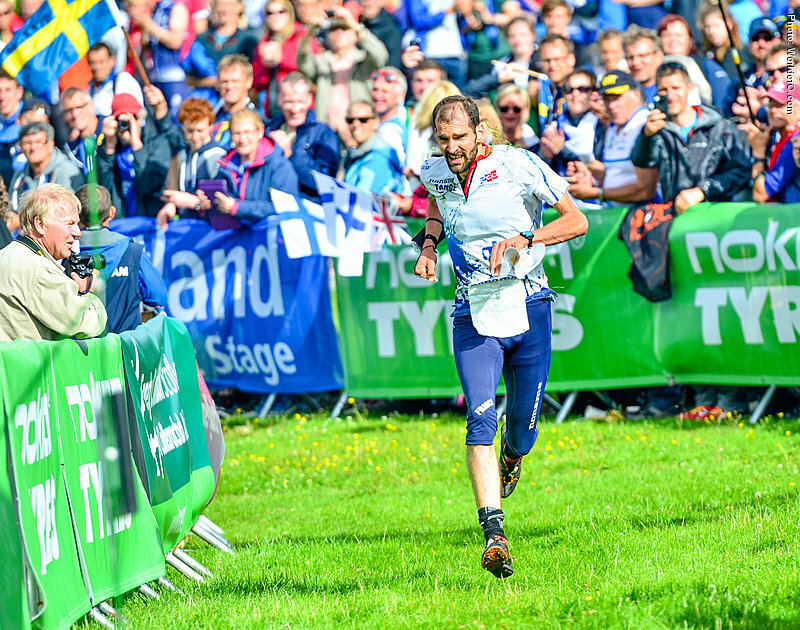 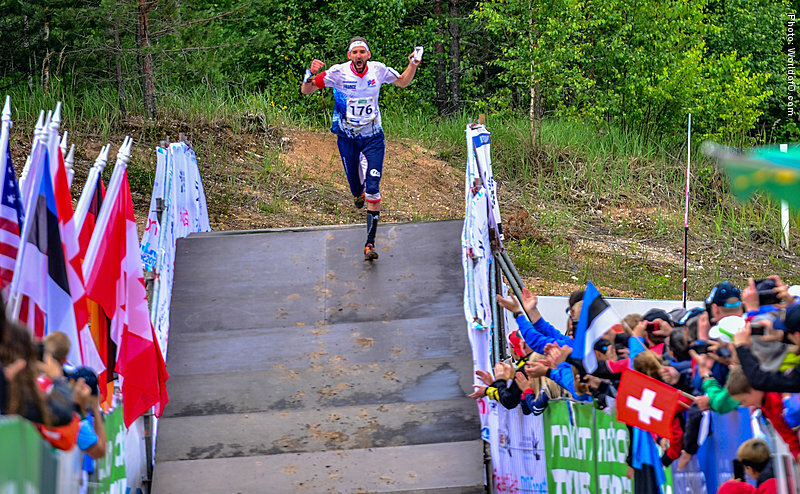 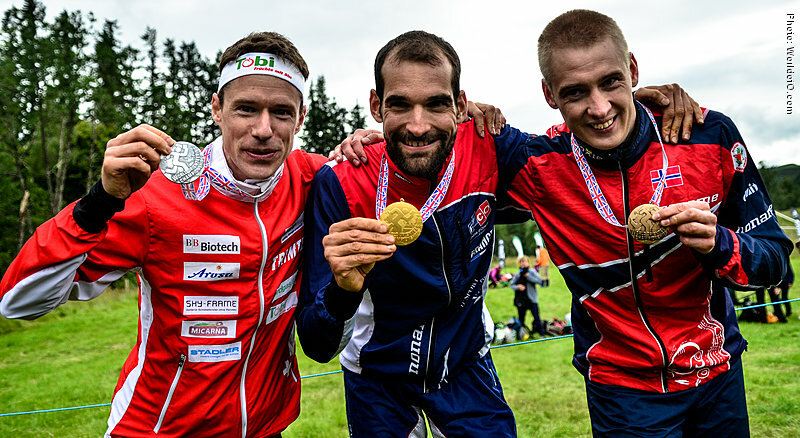 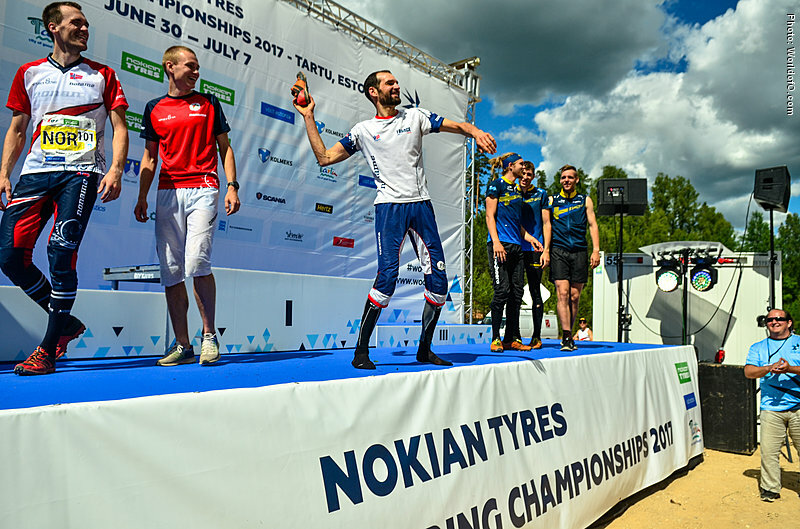 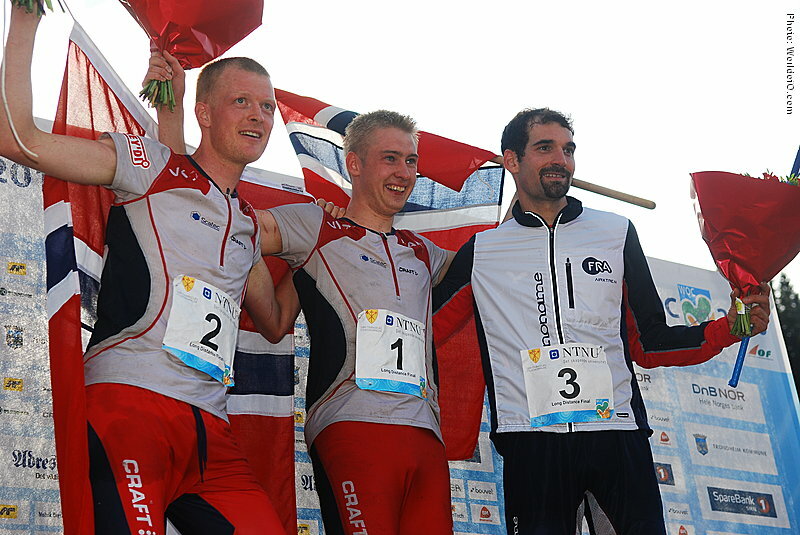 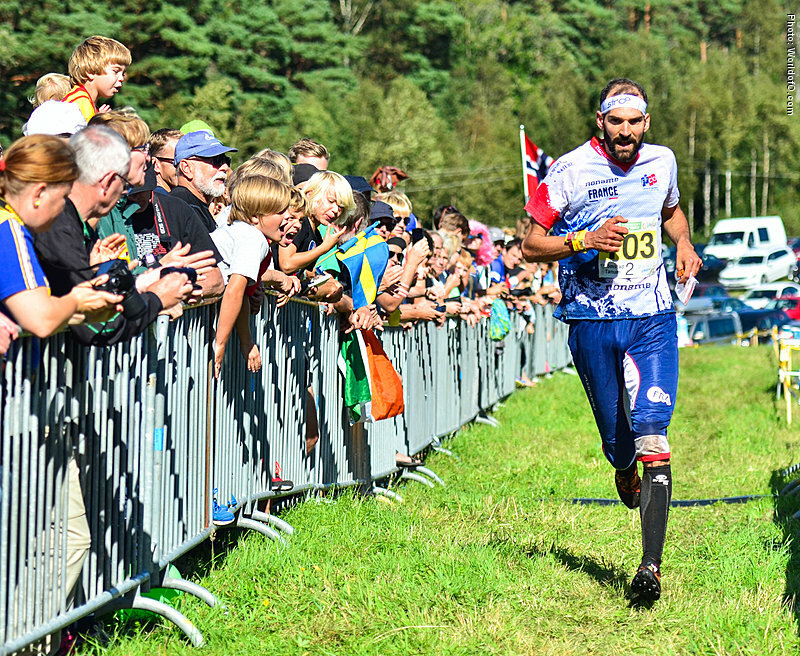 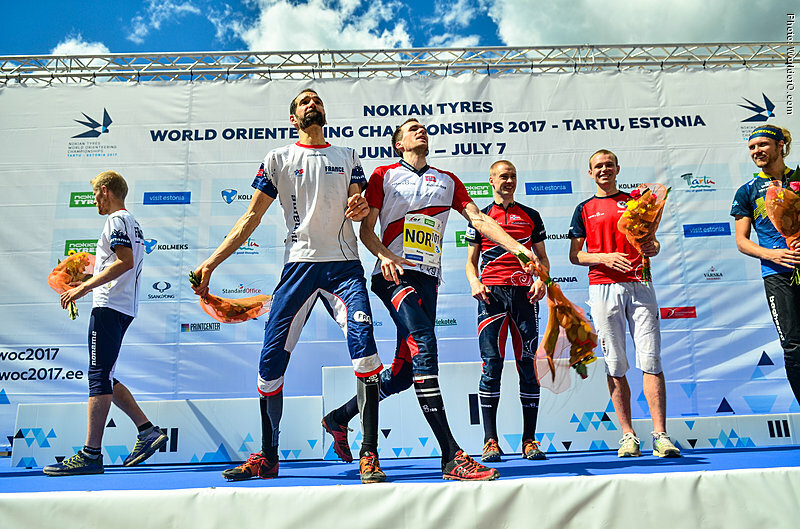 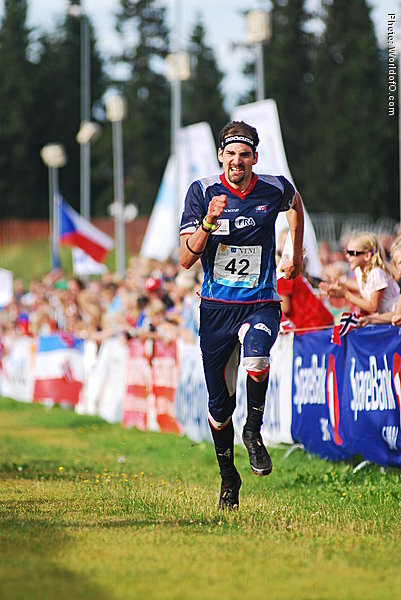 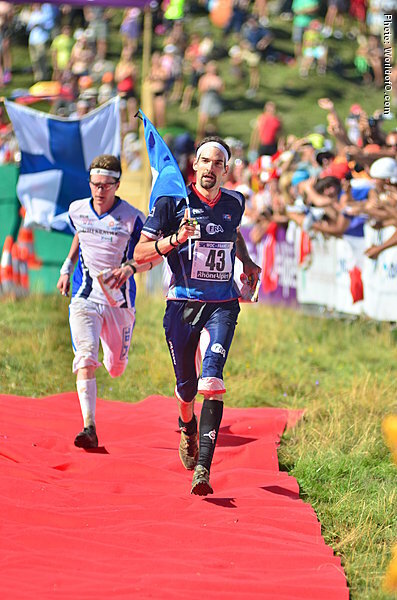 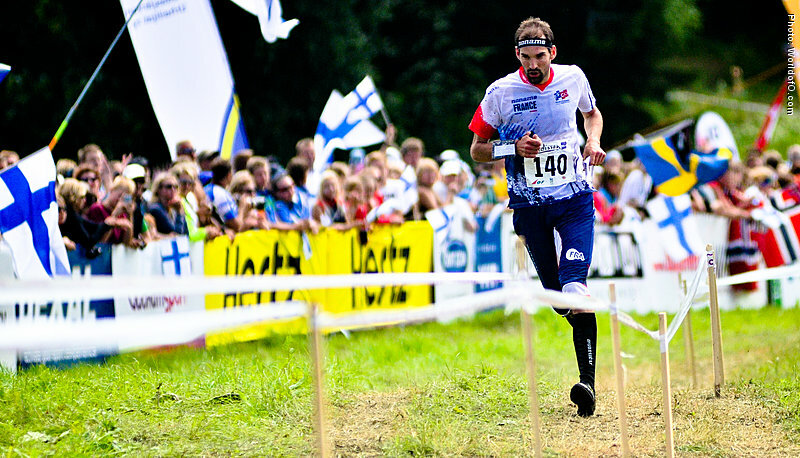 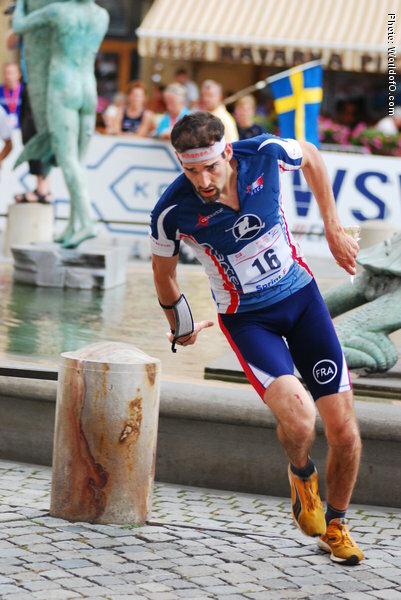 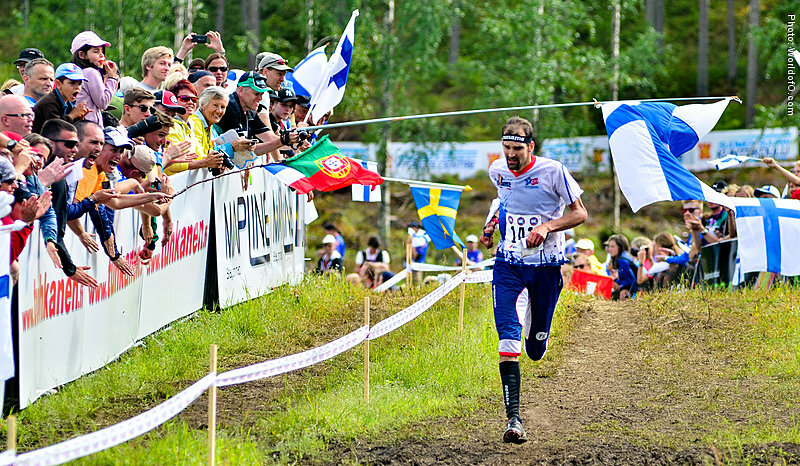 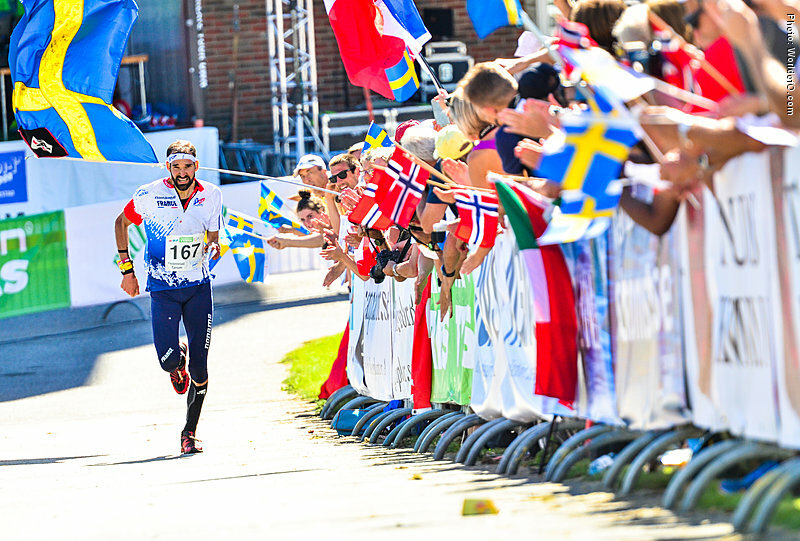 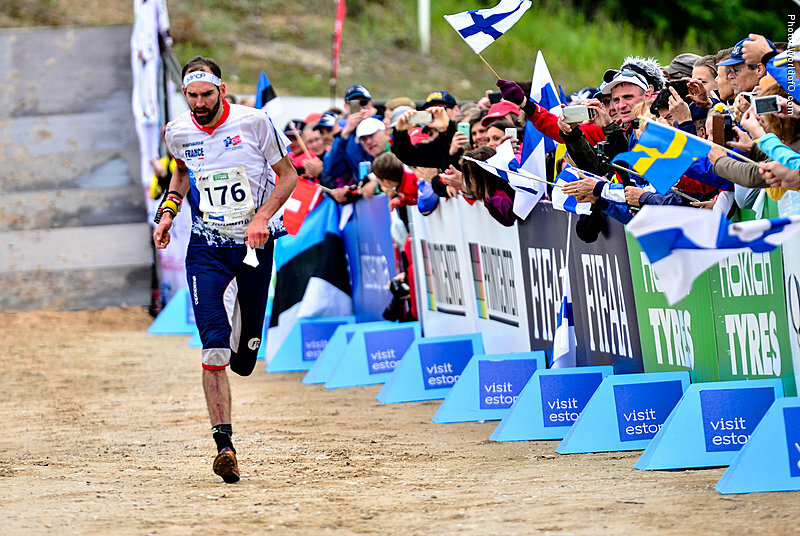 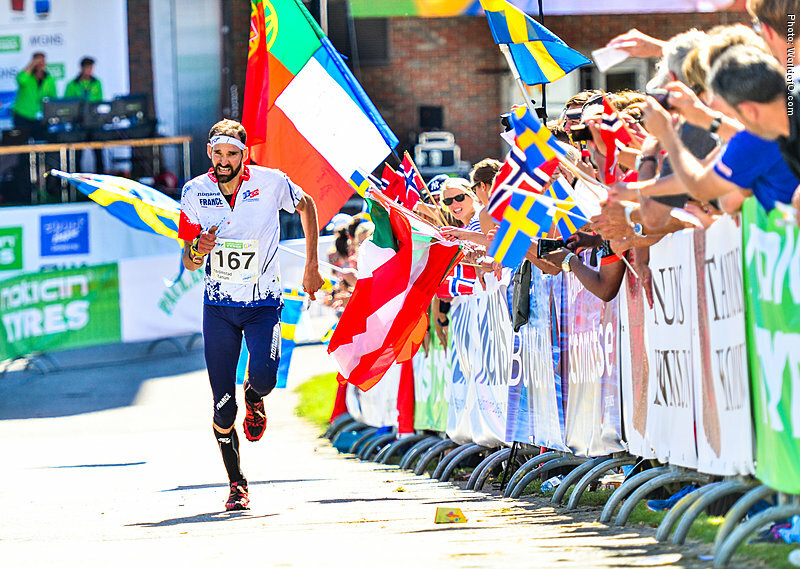 A somewhat similar situation happened at the relay in 2009 ; on the course to a medal on the last leg along with Norway, Sweden and Czech Republic he had to stop along with Norway and Czech Republic to help the Swedish runner Martin Johansson who was severely injured. 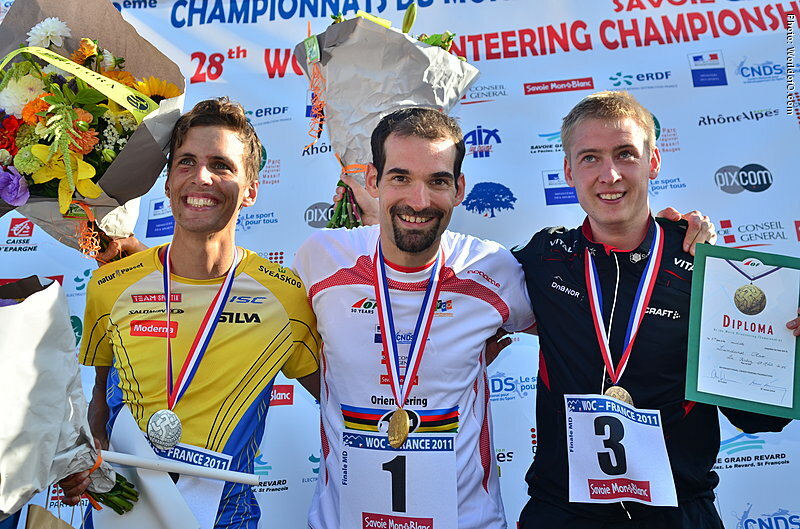 This earned him and his two fellow helpers several fair play prizes. 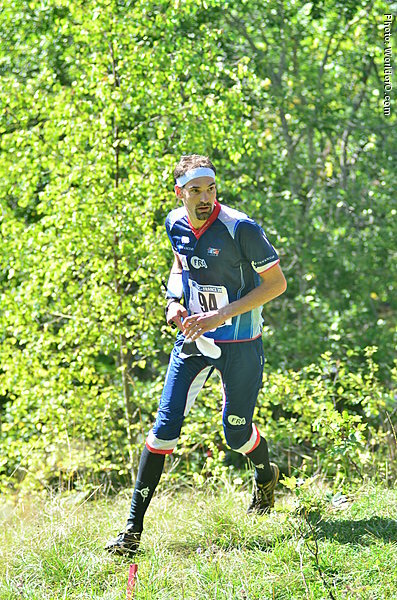 All good (or actually bad) things are three - in the WOC relay of 2010 he forgot a control after being close to the lead on the last leg. 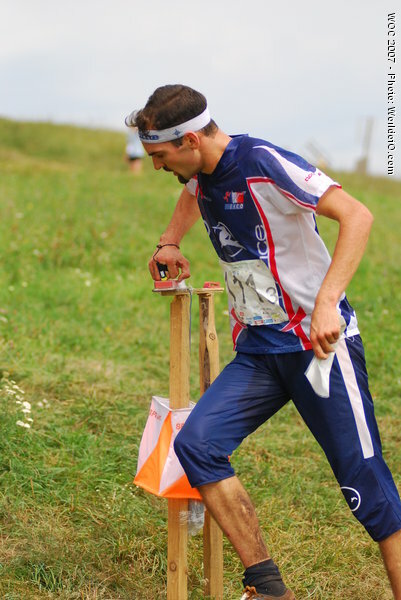 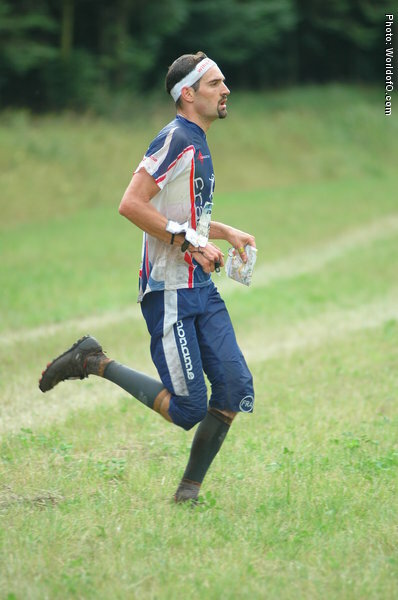 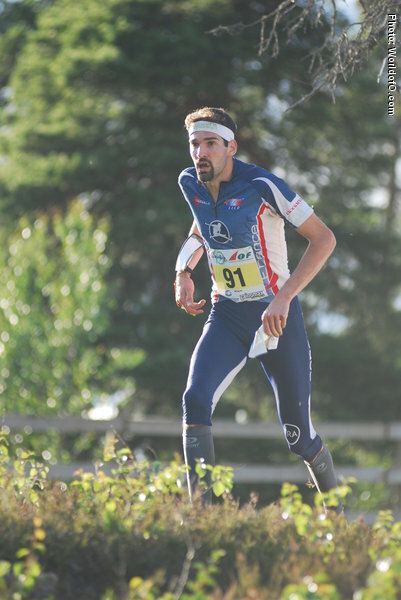 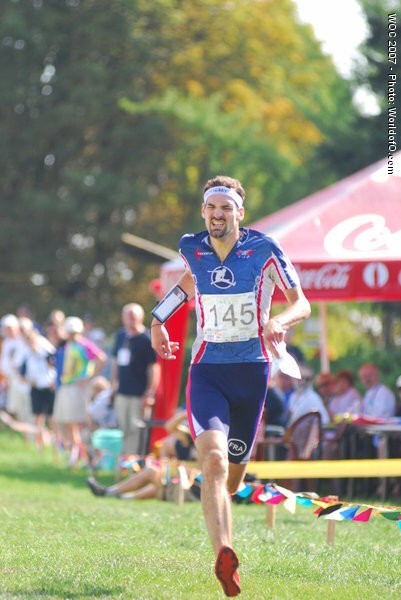 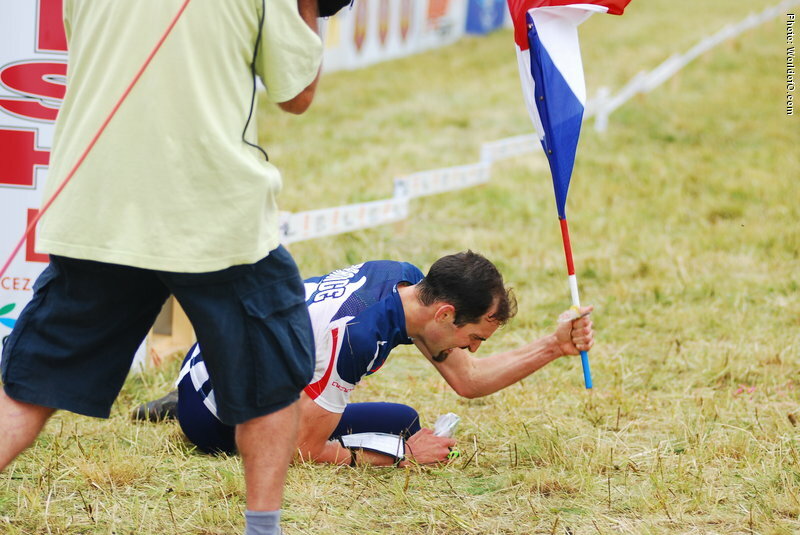 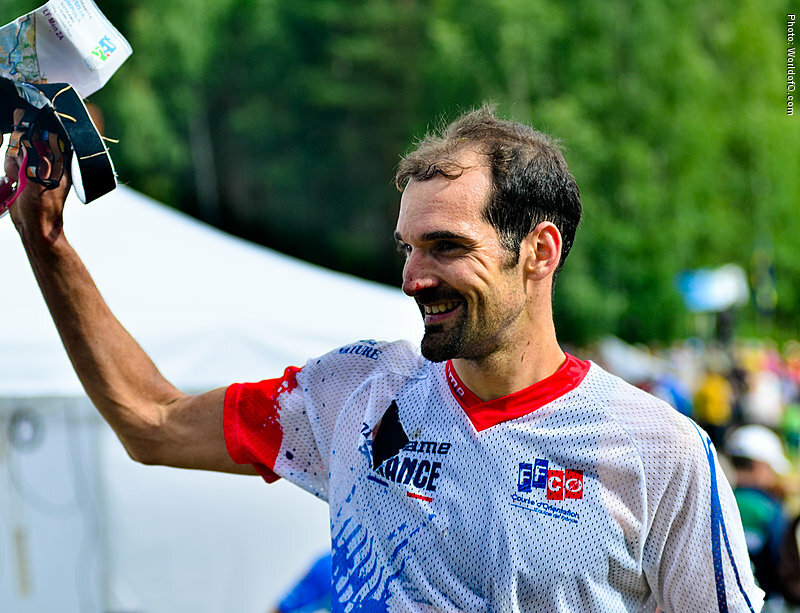 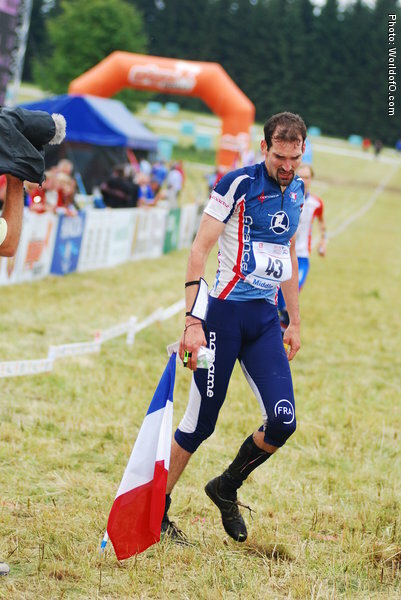 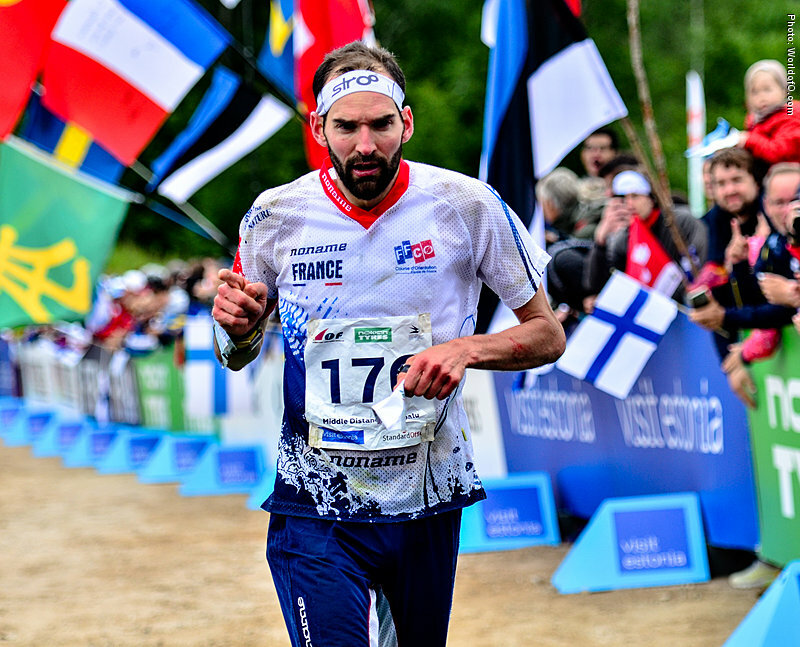 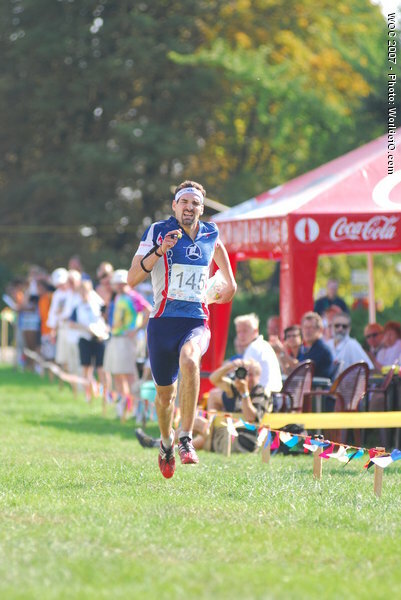 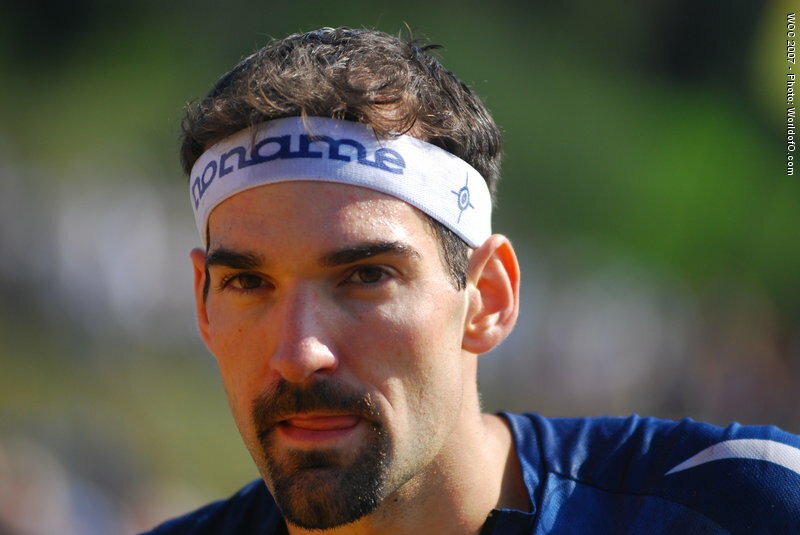 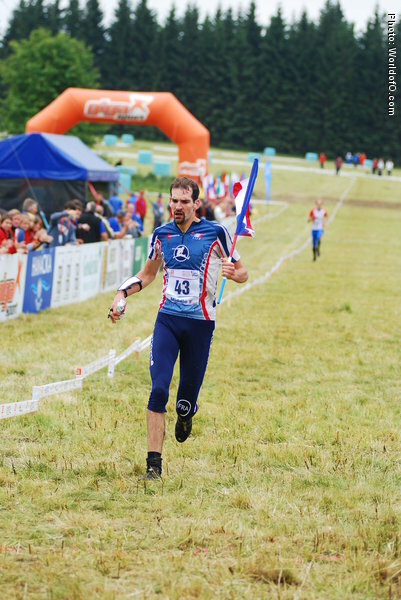 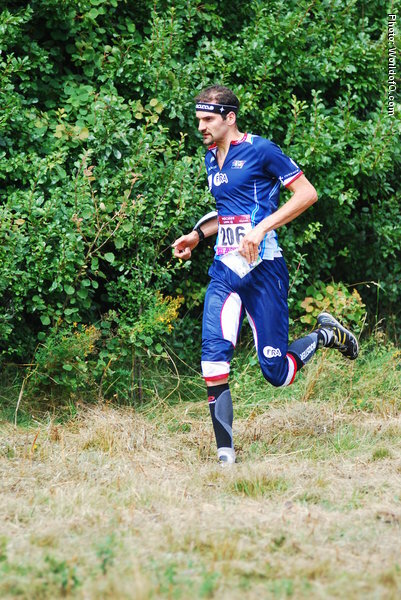 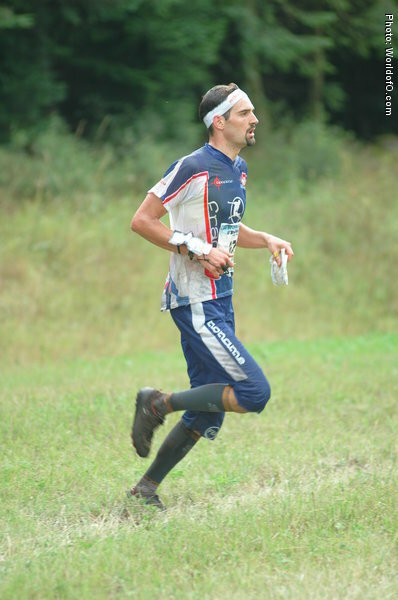 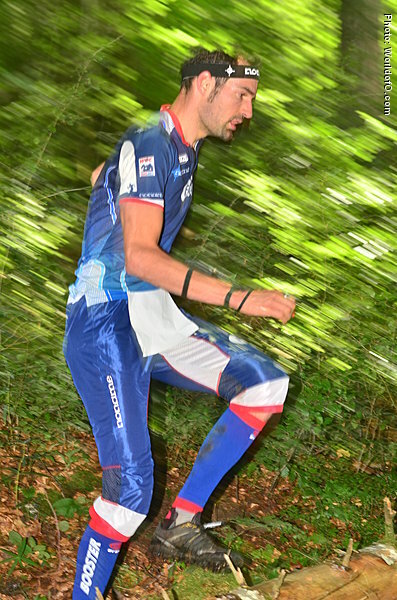 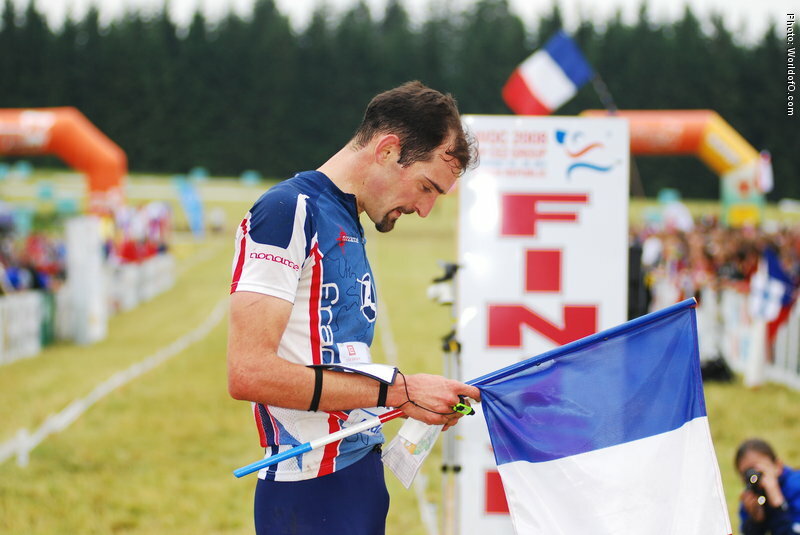 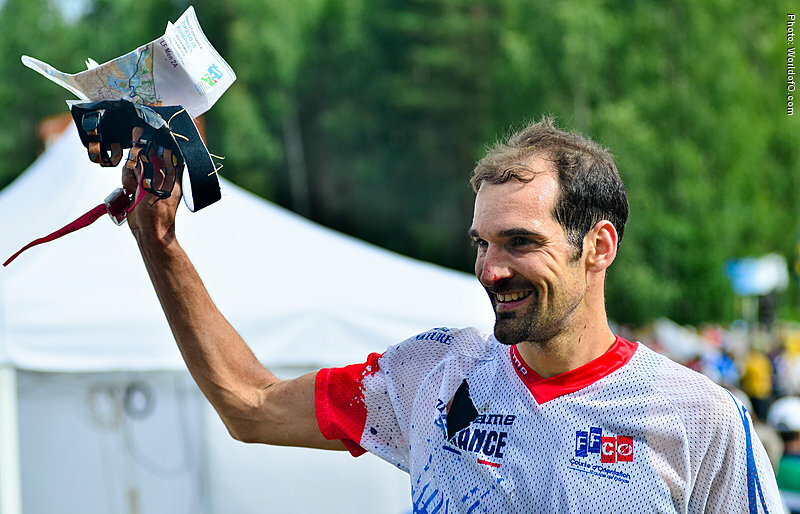 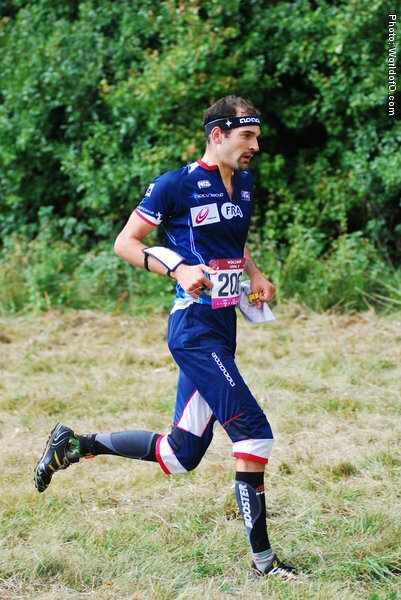 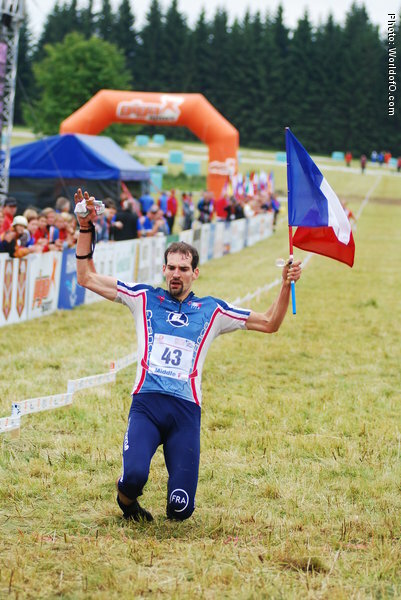 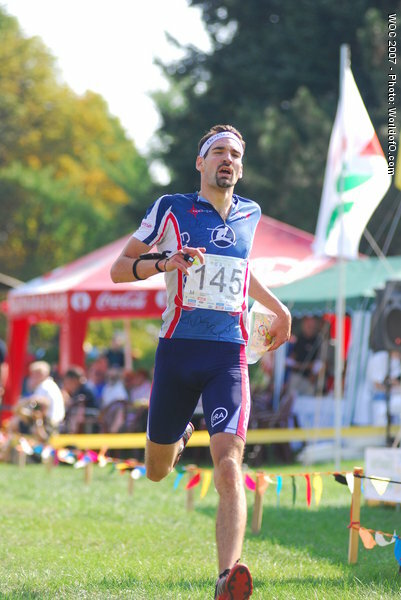 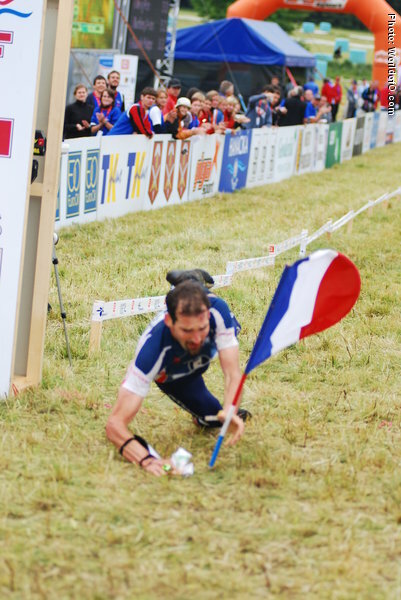 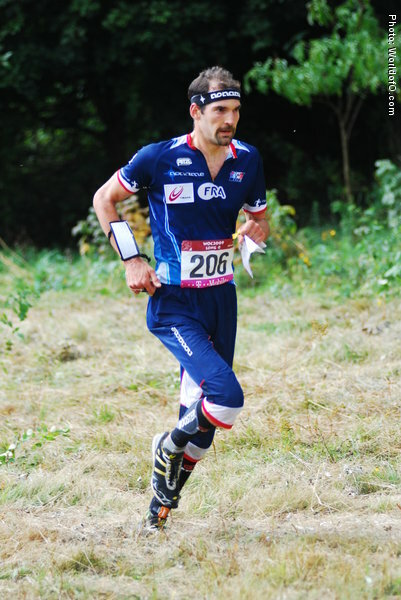 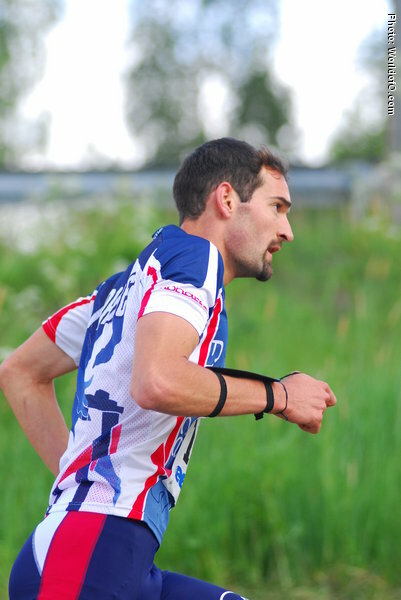 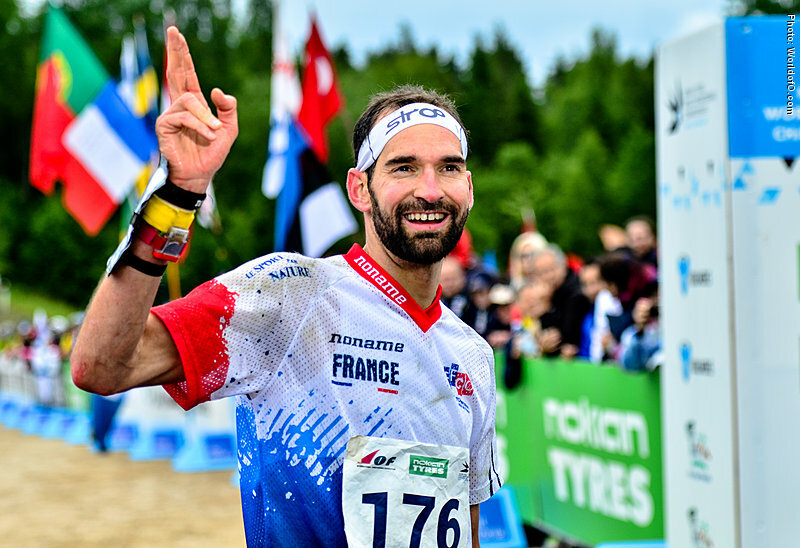 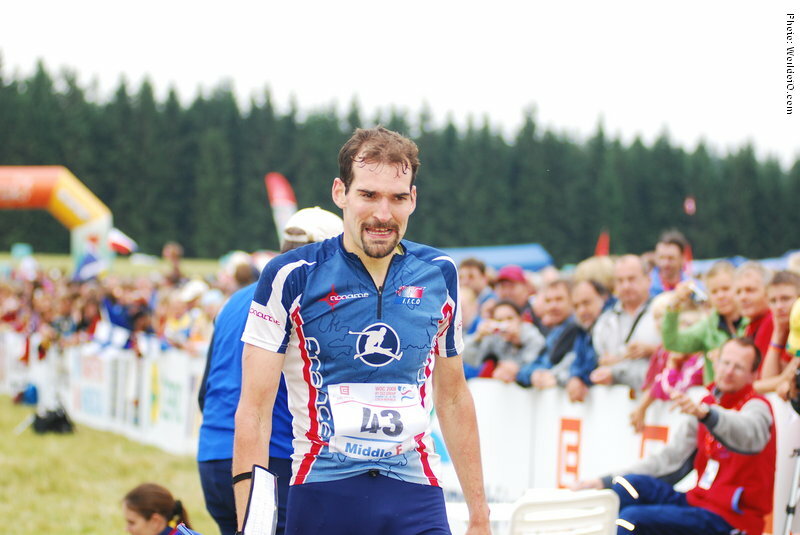 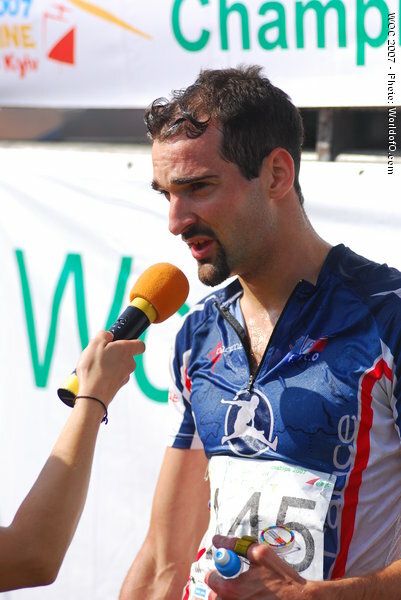 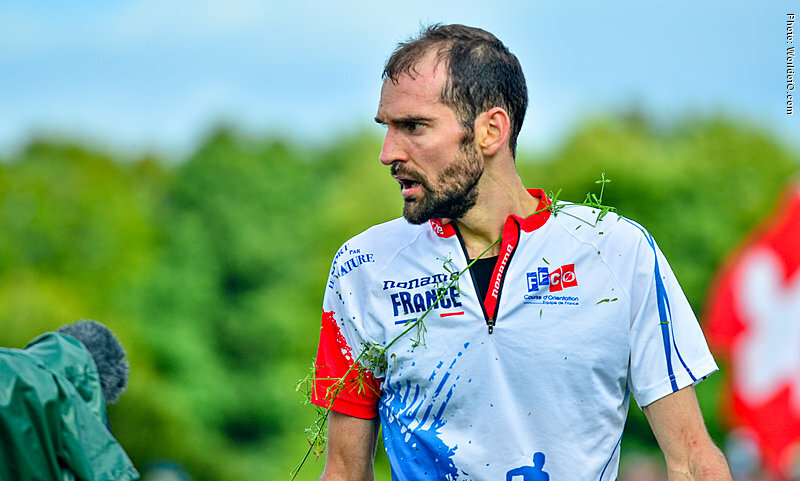 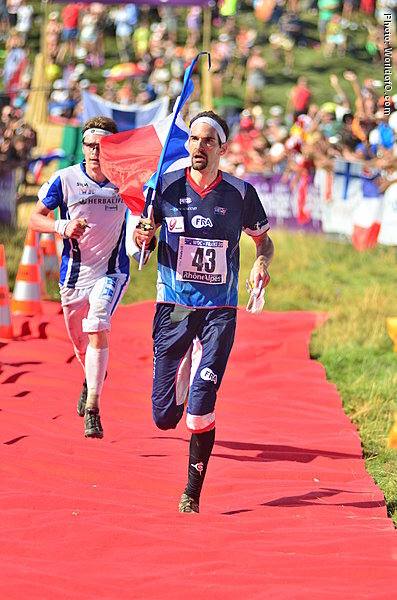 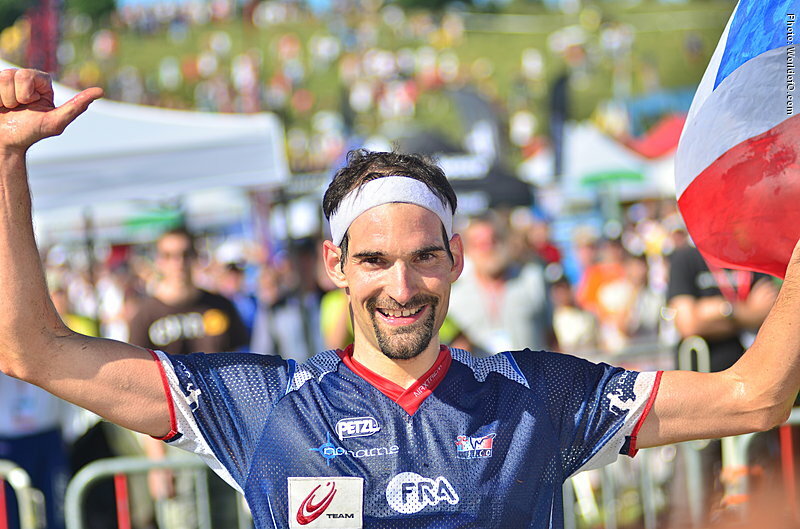 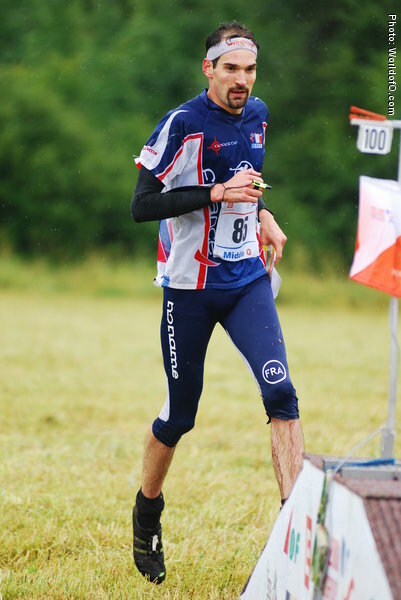 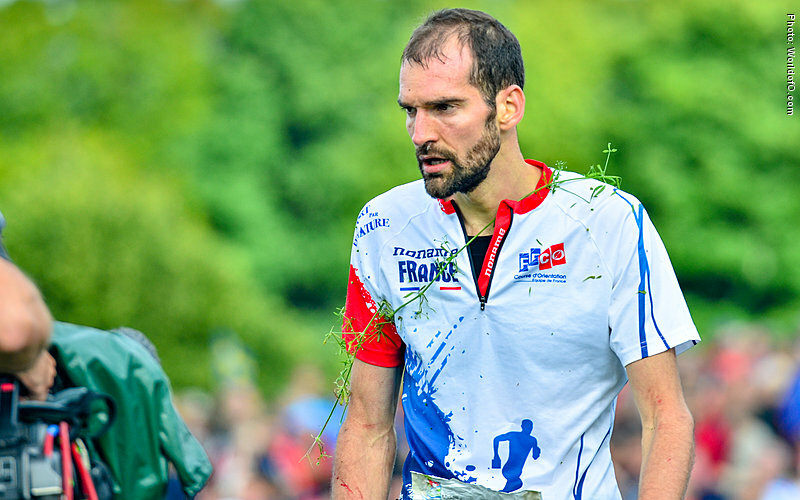 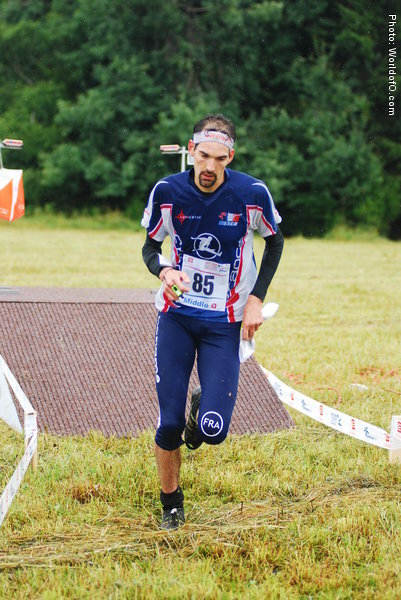 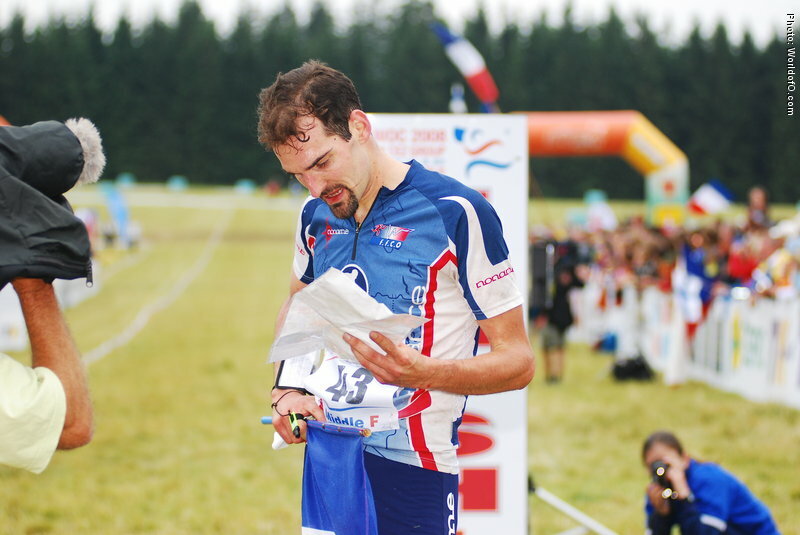 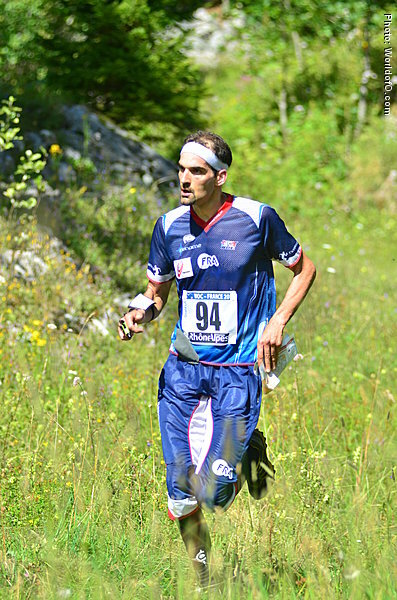 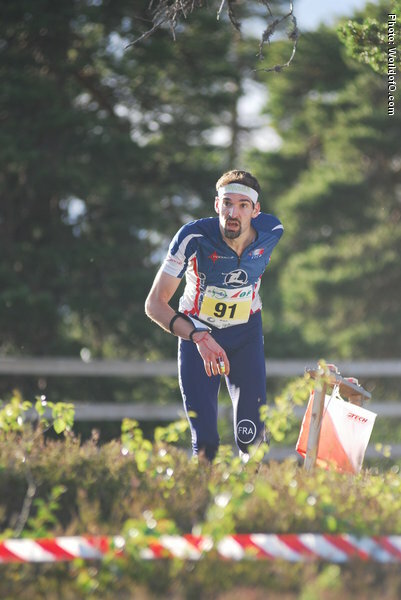 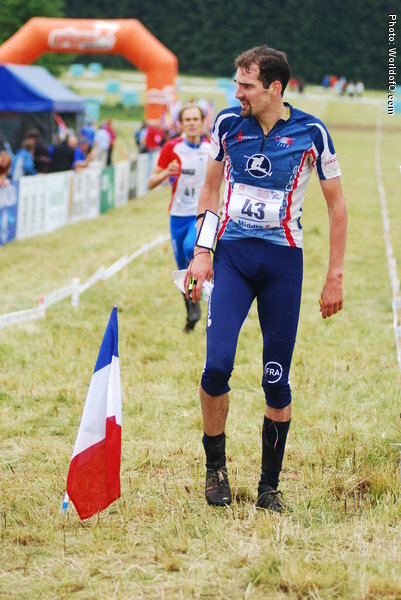 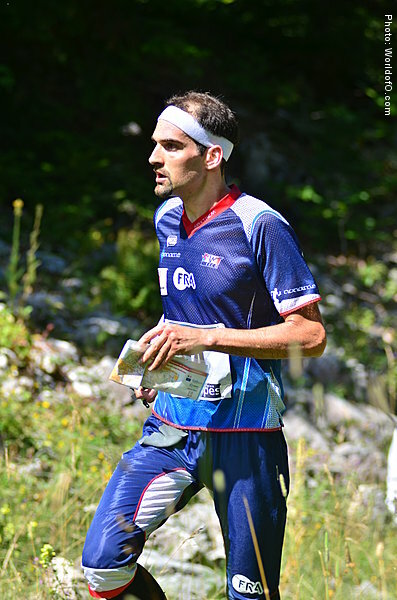 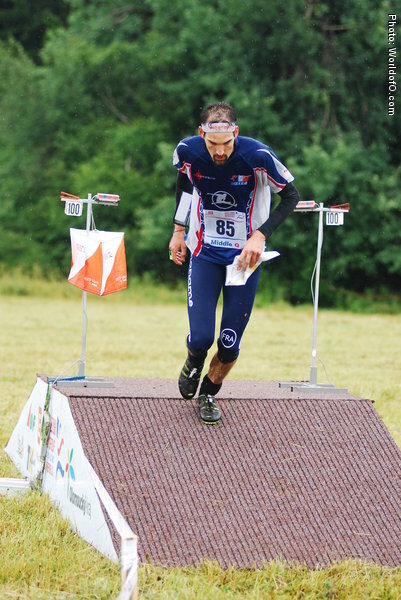 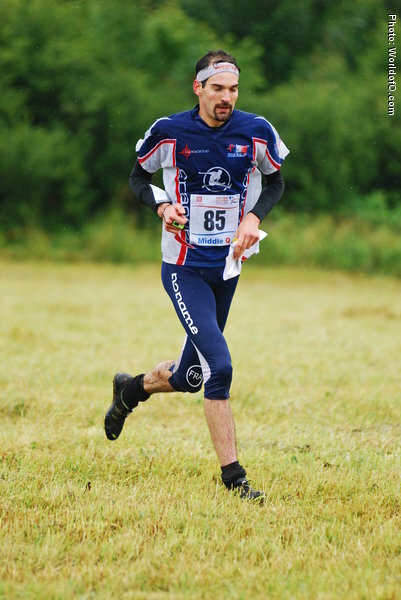 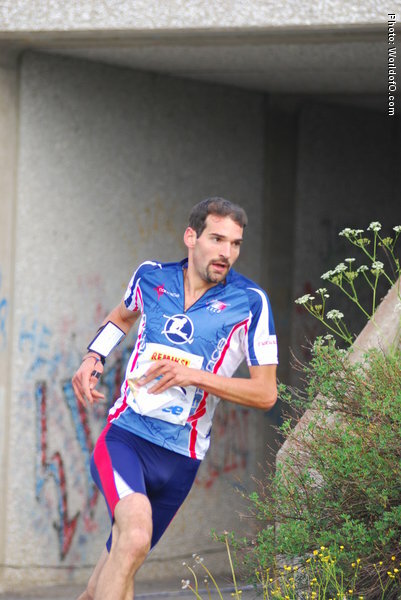 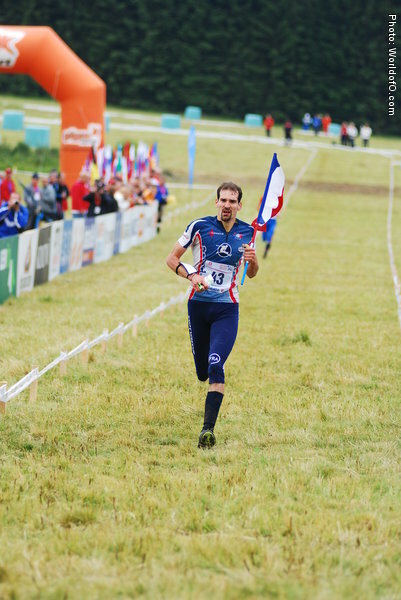 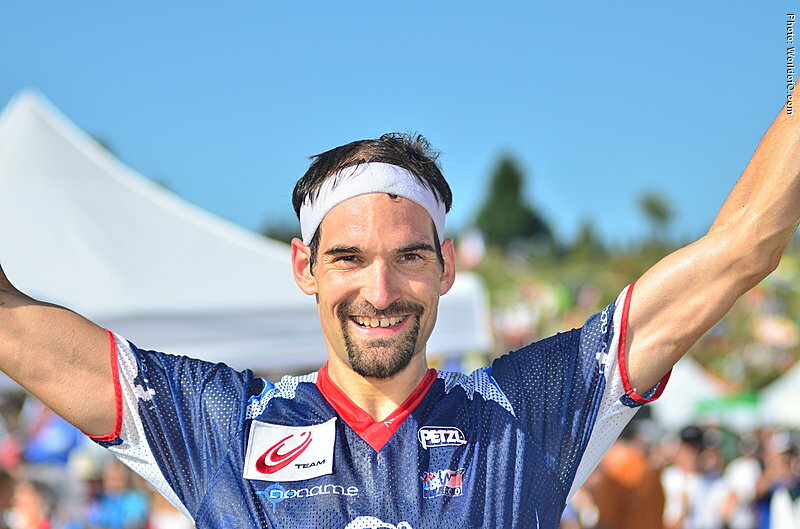 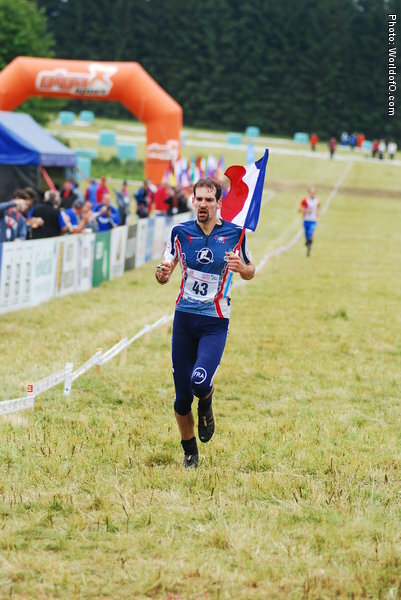 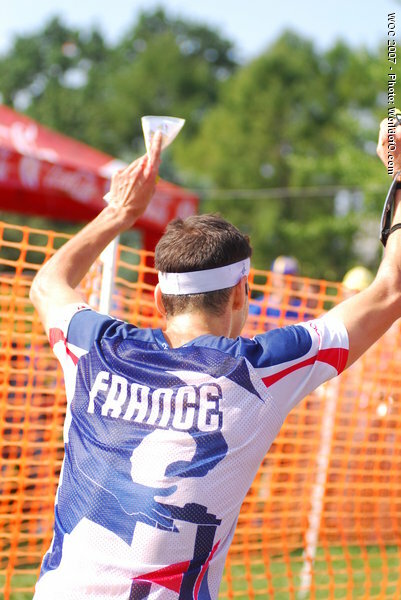 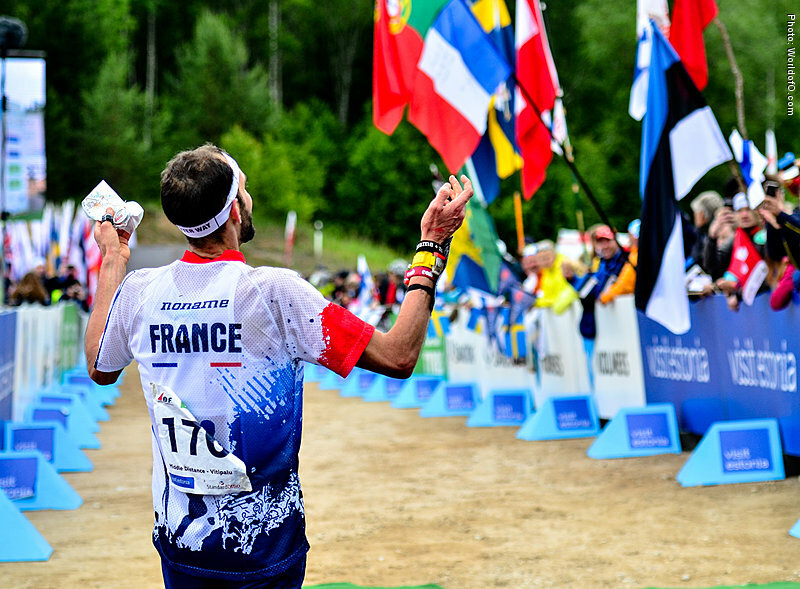 A role model for French orienteers. 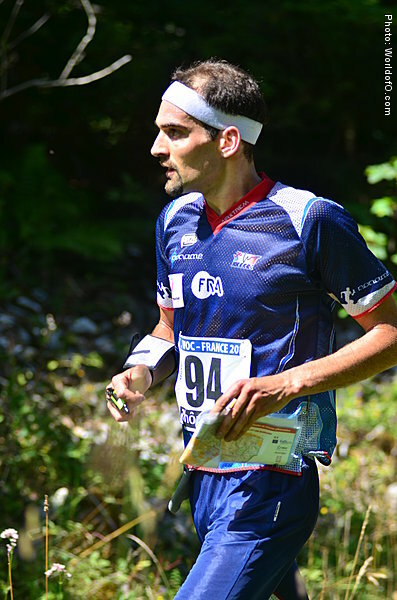 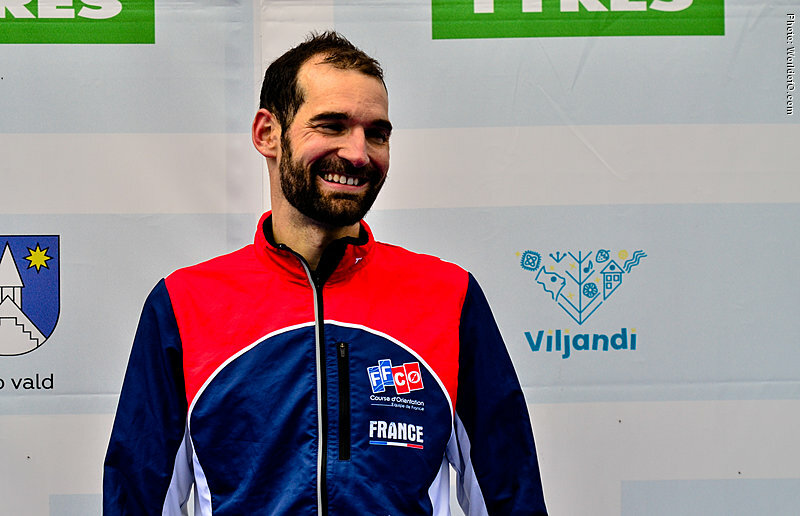 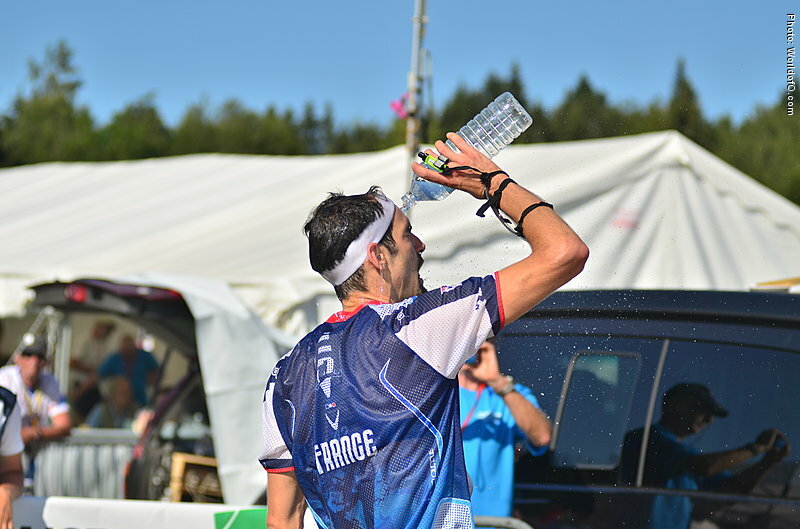 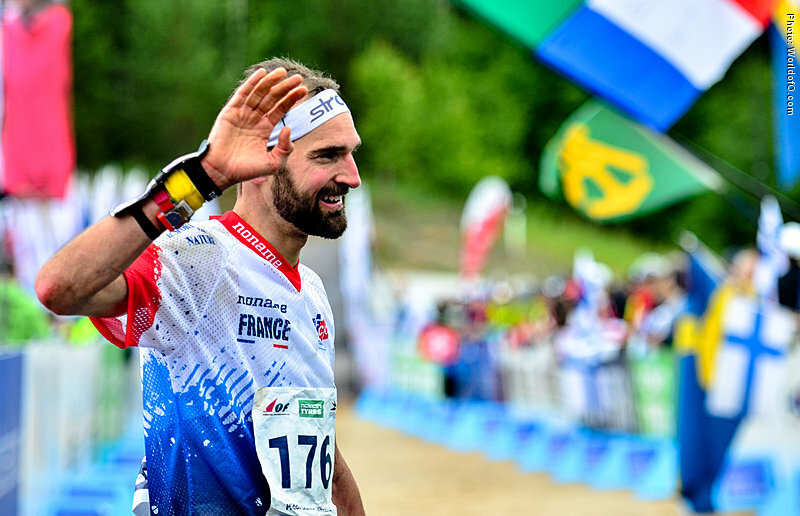 His father Michel was junior and senior coach for many years and has a been an important factor in the incredible development of French orienteering and Thierry Gueorgiou. 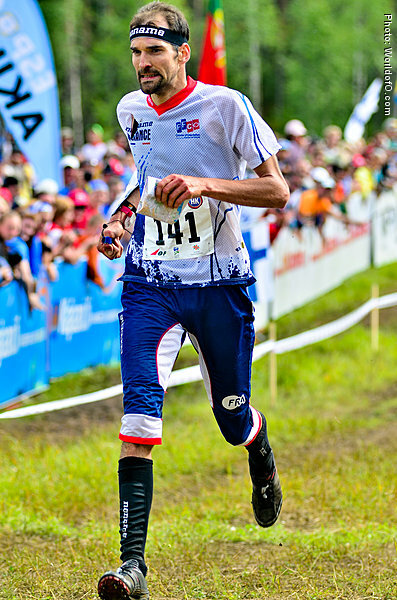 Diffcult name to pronounce, so he is called "Tero Kettunen" in Finland and "Terje Gundersen" in Norway. 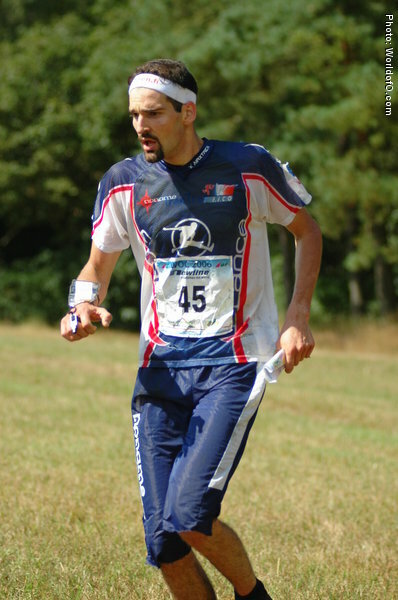 Thierry Guerorgiou (1 times) Thierry Guergiou (5 times) Thierry Gueorgiou (242 times) .